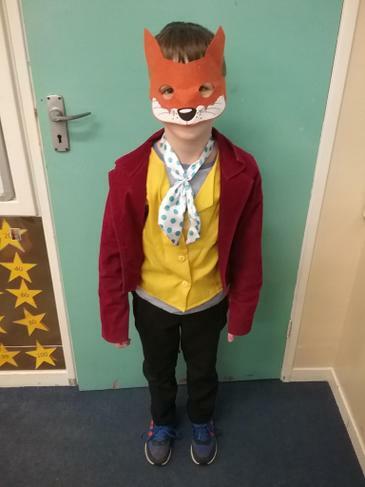 Hello and welcome to the Meerkat's class page. 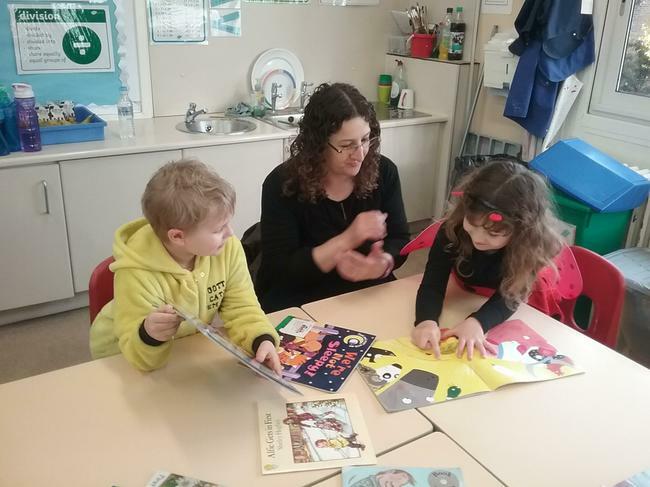 Mrs Taylor teaches the Meerkats and Miss O'Brien supports the learning. 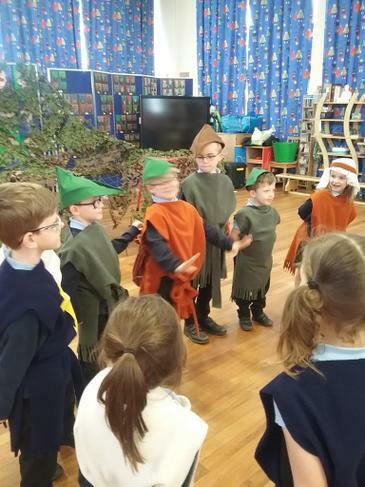 Today we enjoyed taking part in a Robin Hood drama workshop. 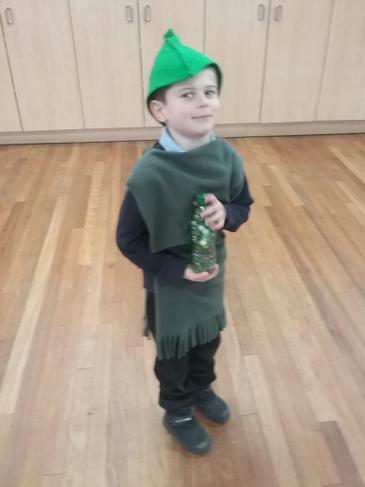 We learned about how Robin Hood formed his famous band of merry men and lived as outlaws in Sherwood Forest. 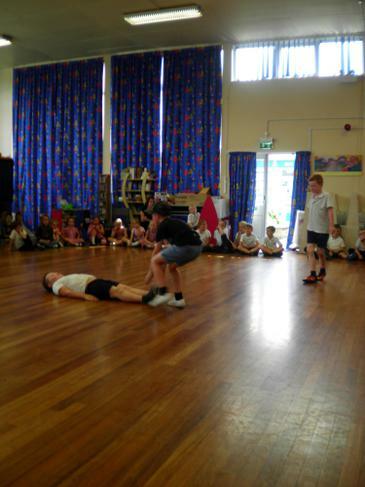 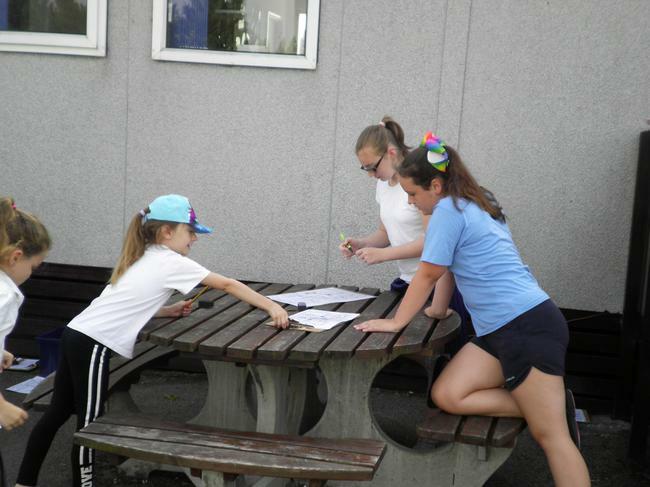 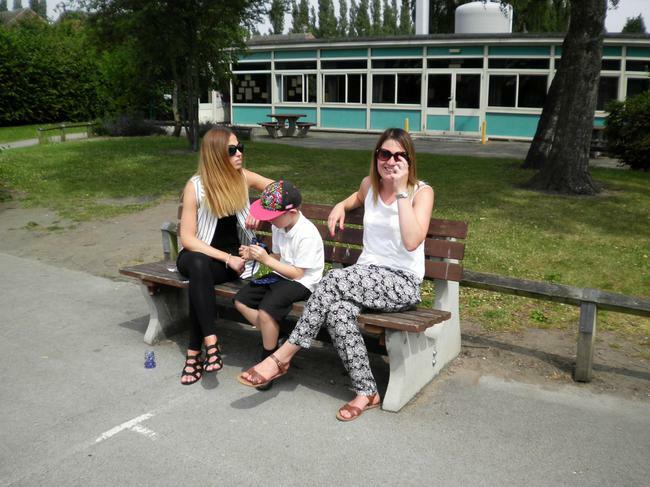 Below are some pictures of us acting out the story! 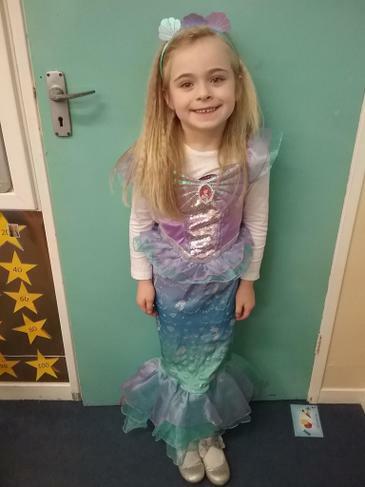 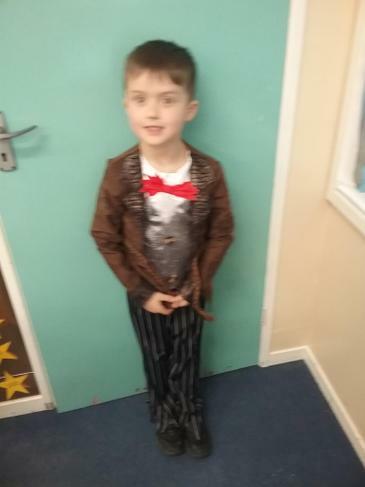 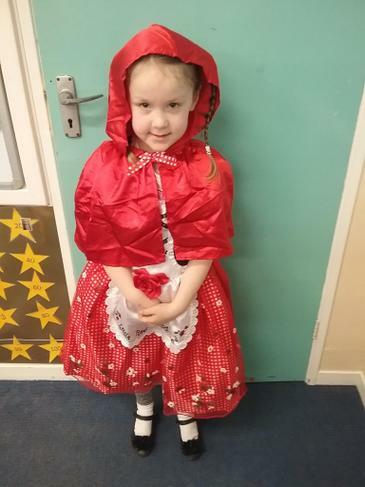 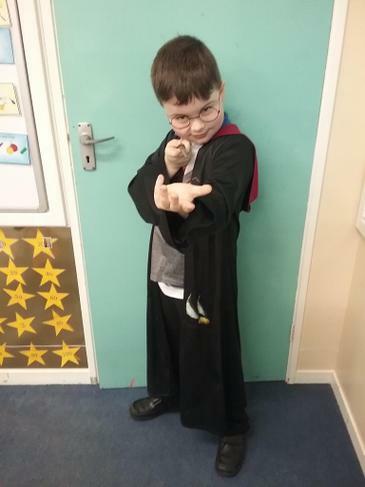 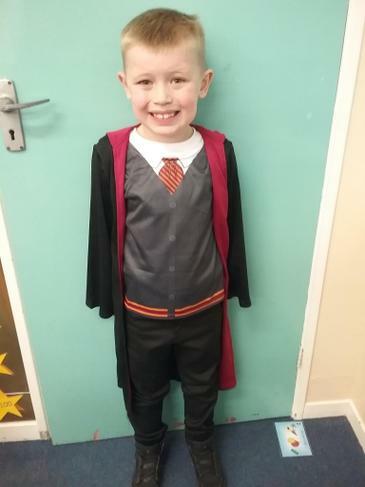 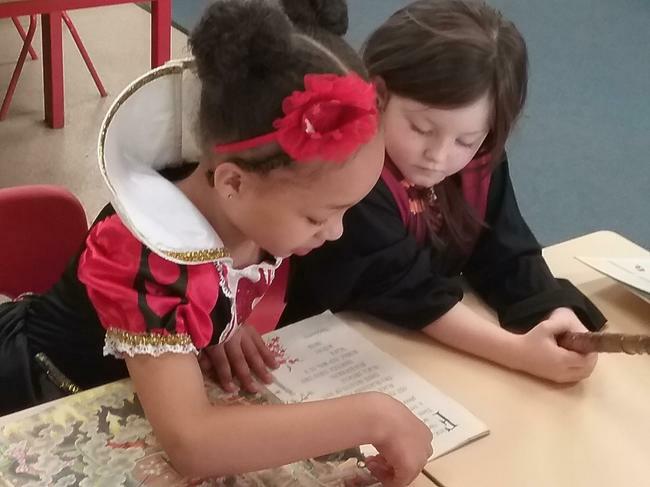 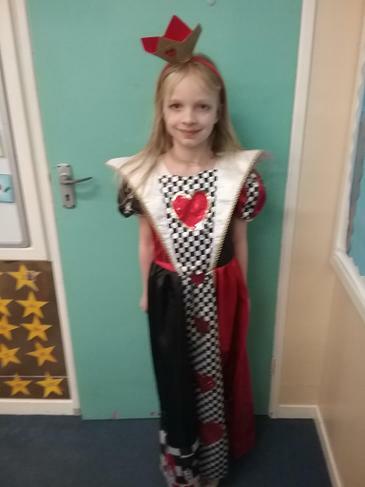 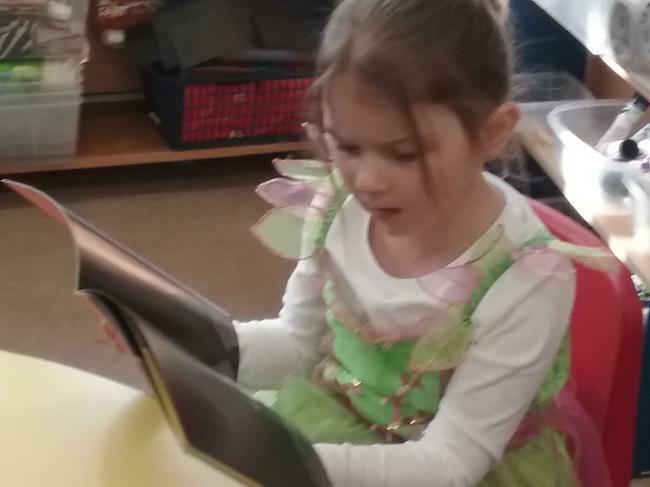 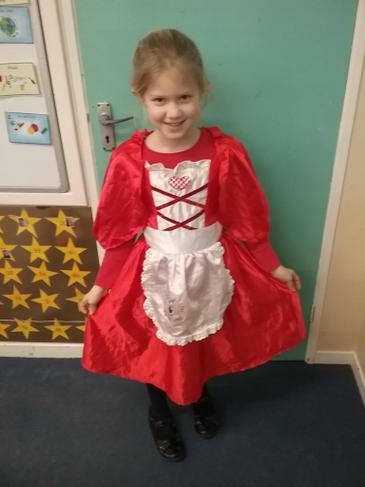 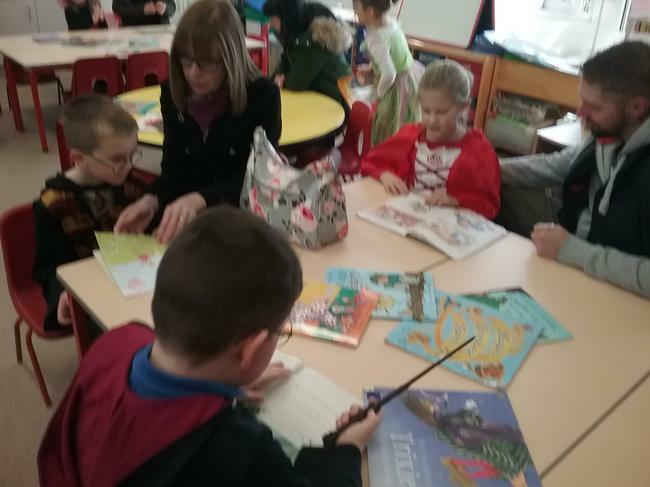 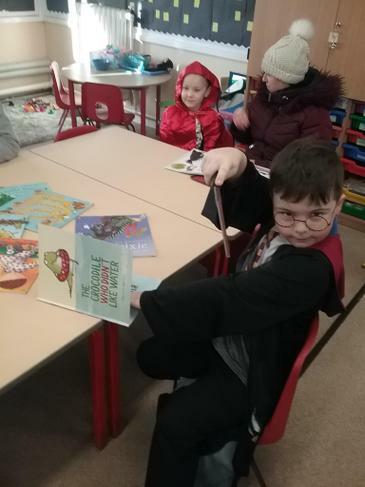 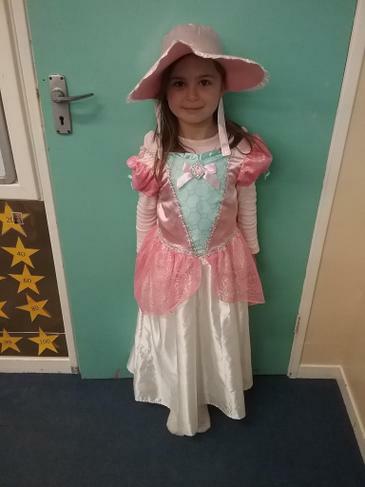 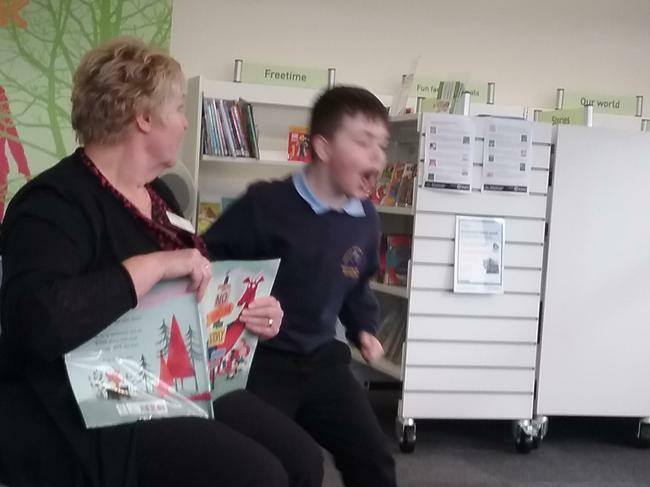 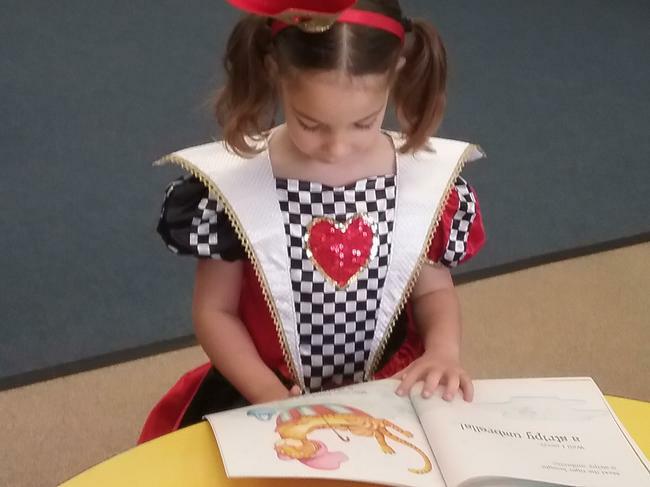 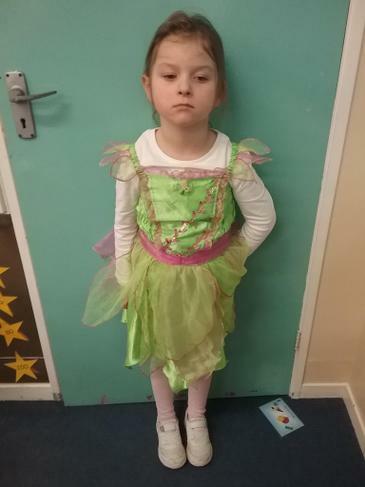 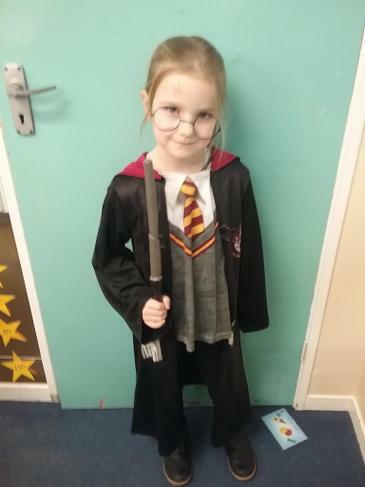 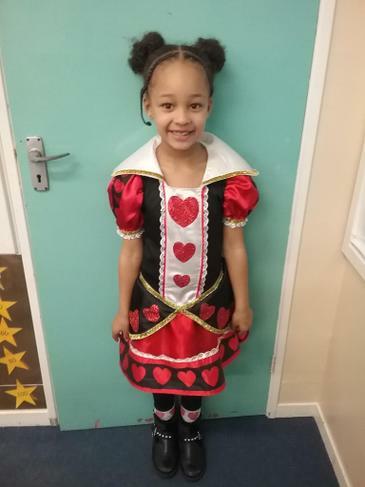 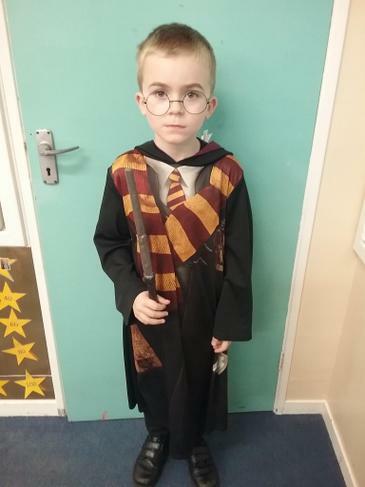 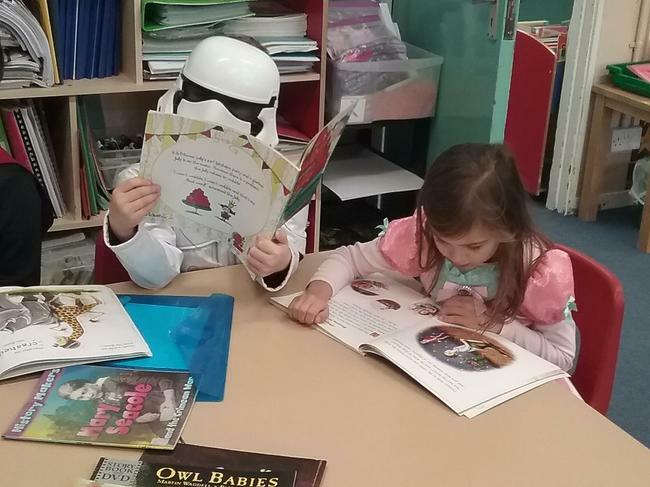 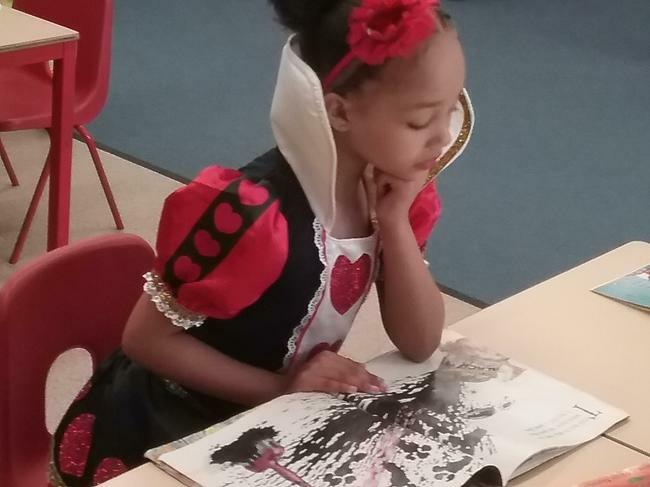 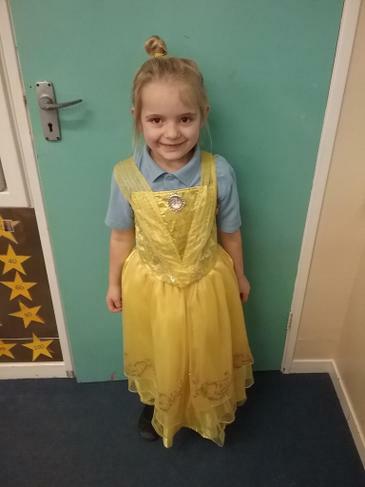 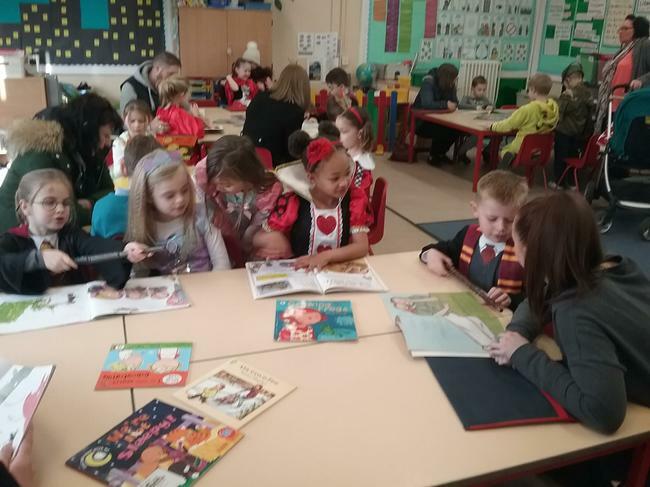 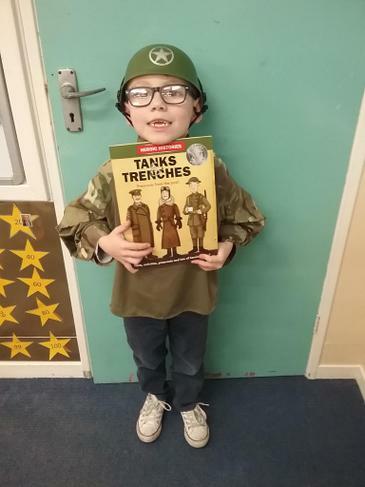 This week we have held a Manor Park Book week! 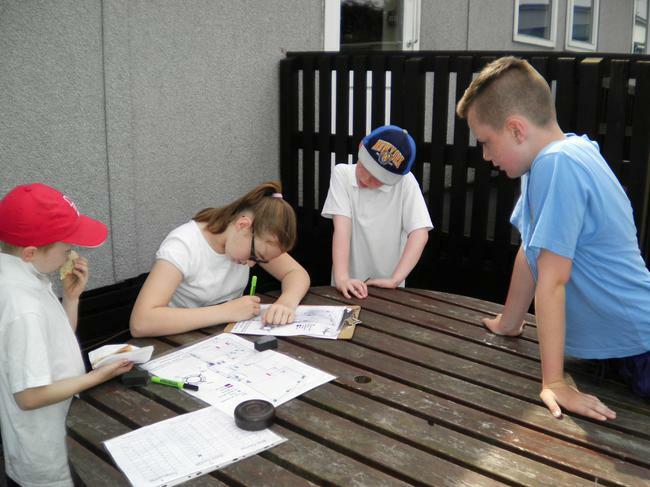 As part of our Dungeons and Dragons topic the children completed a piece of extended homework. 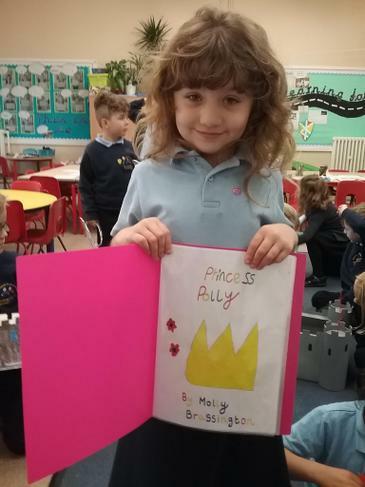 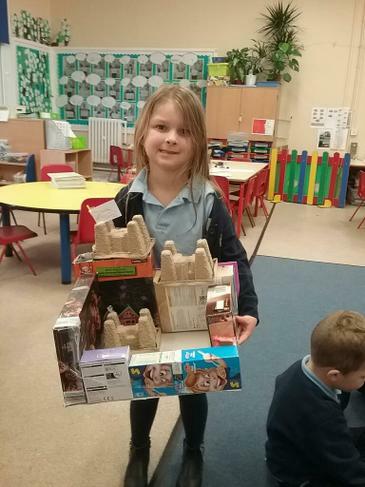 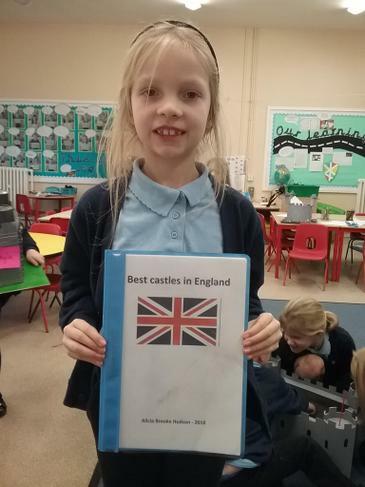 Some chose to make castle models and others wrote stories, information books, posters, etc. 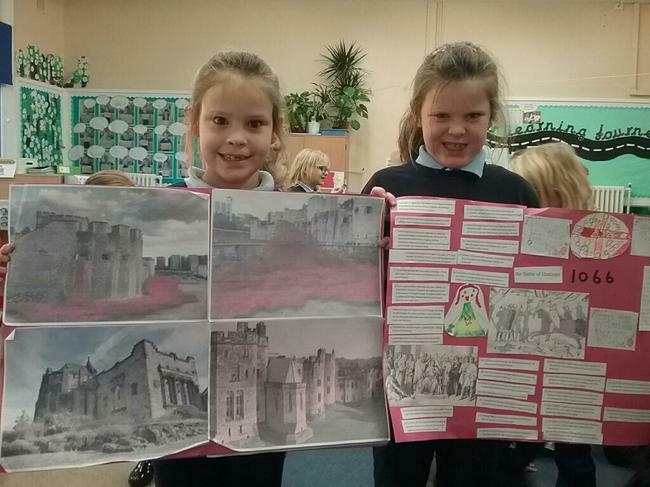 Here are some lovely examples of their work. 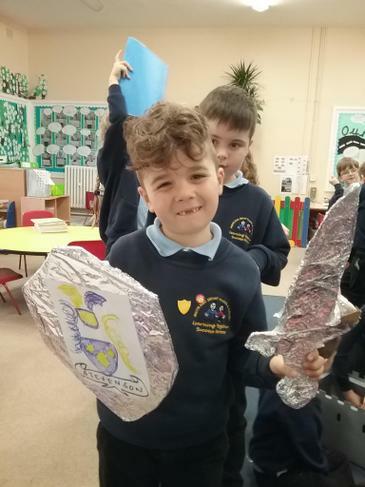 As part of our Dungeons and Dragons topic, we have been learning all about William the Conqueror and the Battle of Hastings in 1066. 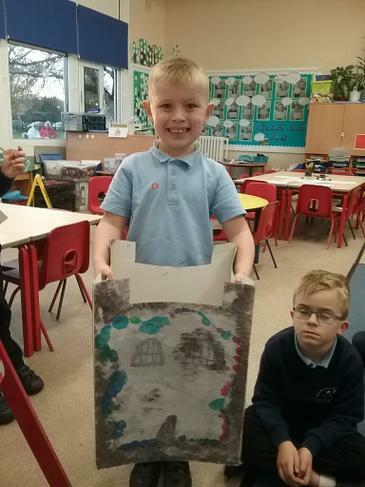 Following his victory, we learned that William built many Motte and Bailey castles all around England. 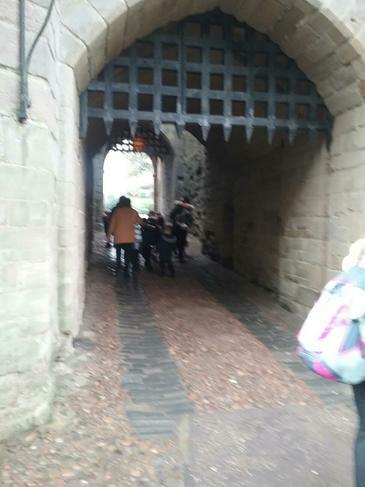 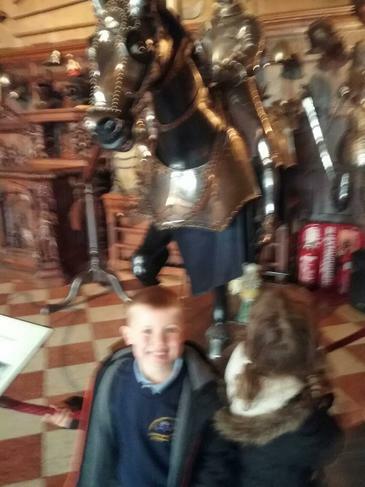 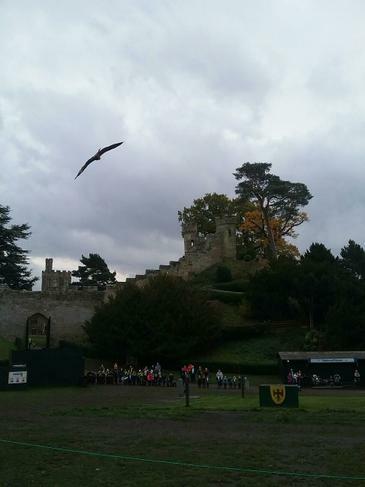 We visited Warwick Castle which still had features originating from Norman times..
Wow, what a busy half term we have had in Key Stage 1. 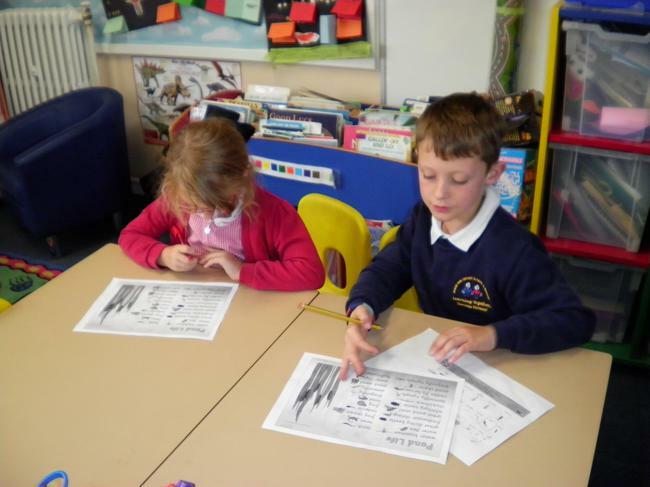 The children have been looking at the topic Journeys. 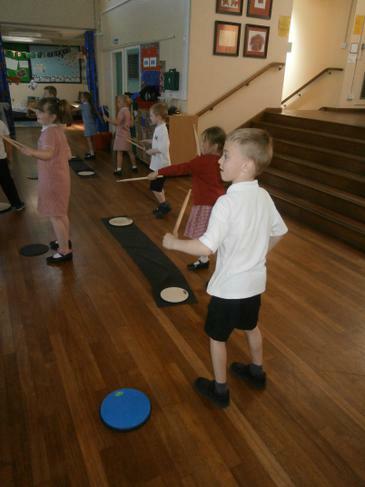 We have journeyed around the world and we are now journeying through time. 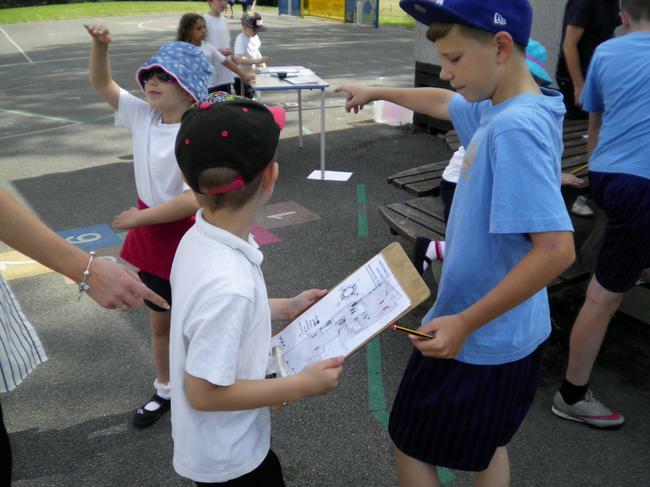 The children have time traveled back to 1912 and studied how the Titanic sank. 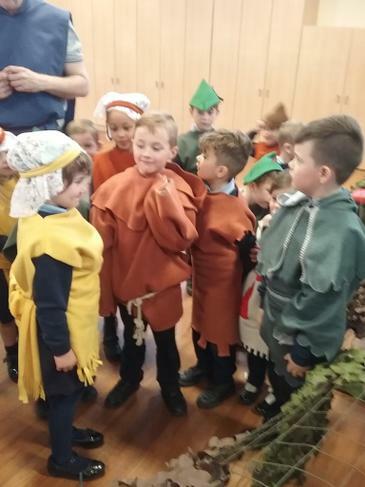 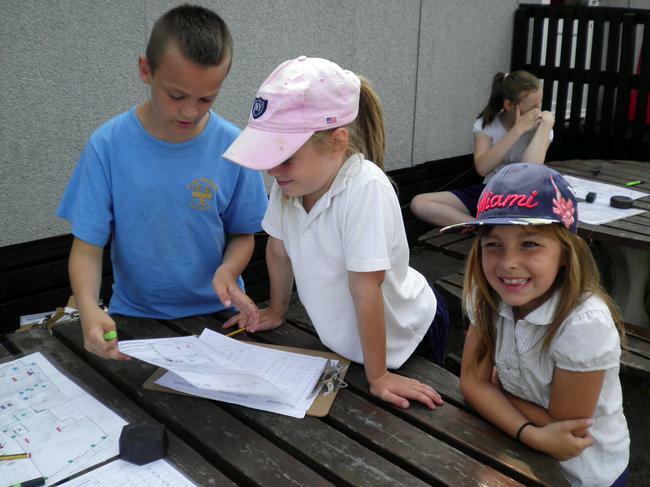 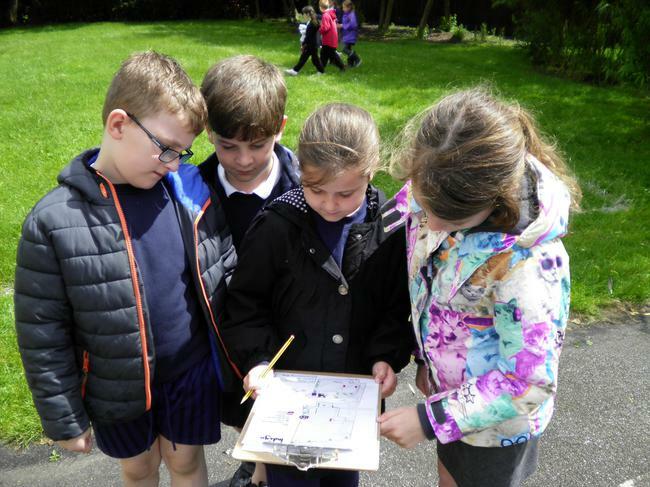 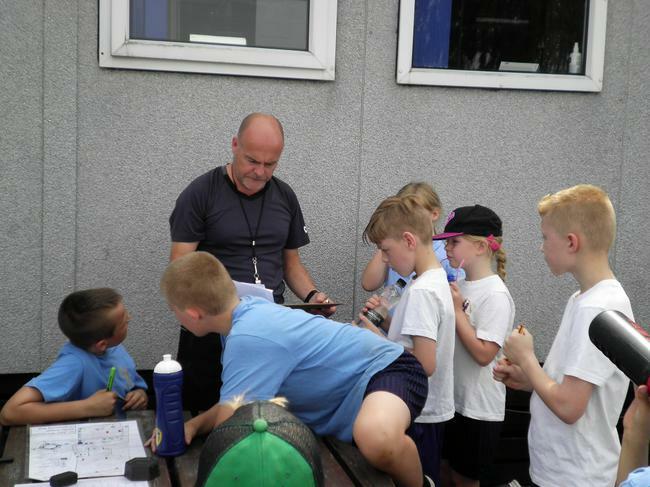 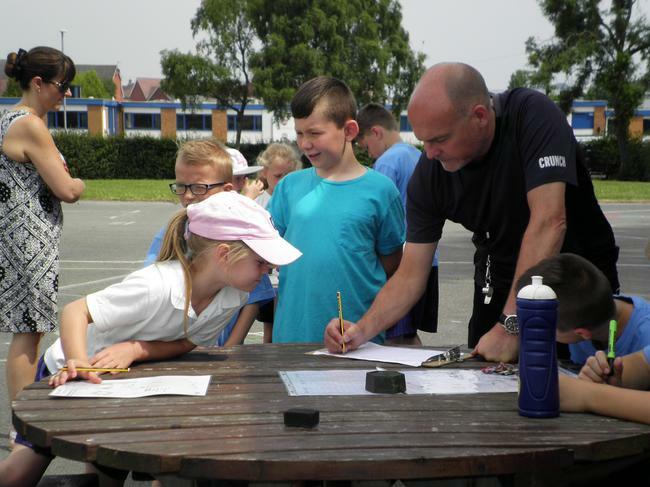 The children have looked at the ship, the different types of passengers (1st, 2nd and 3rd class), the food on board and the different activities that people could enjoy. 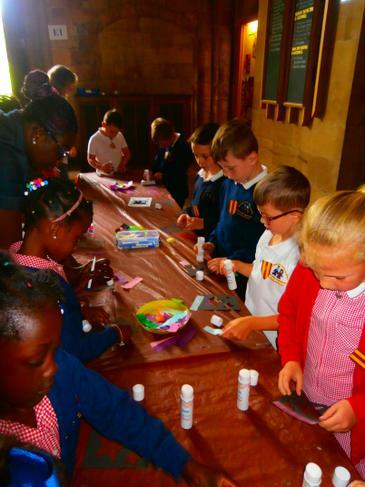 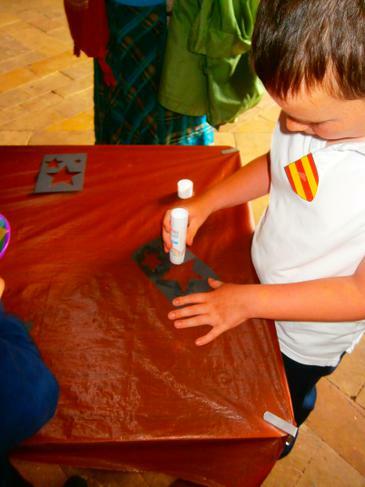 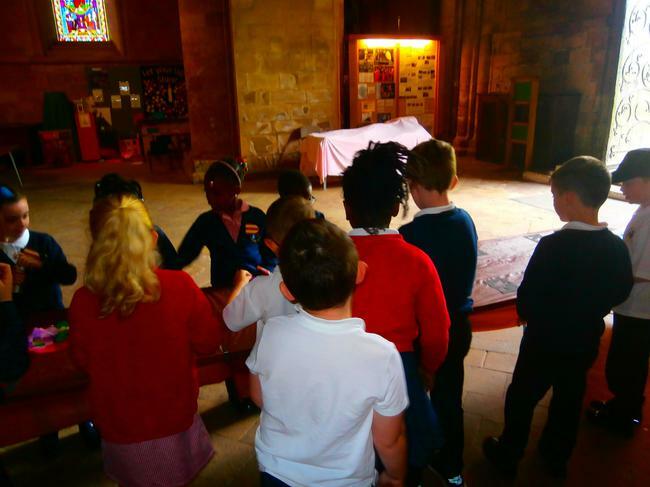 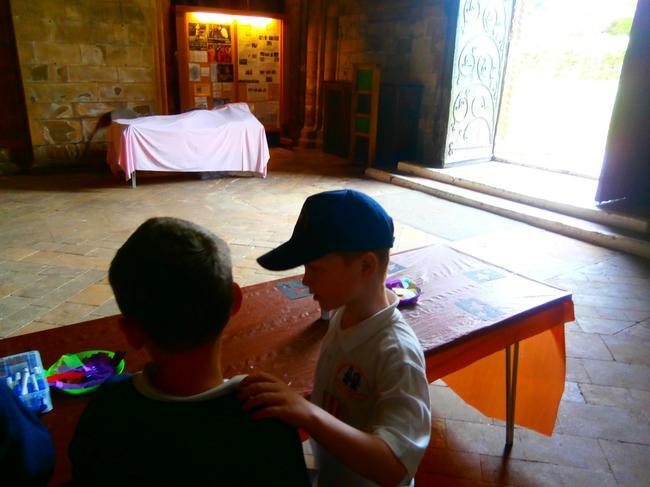 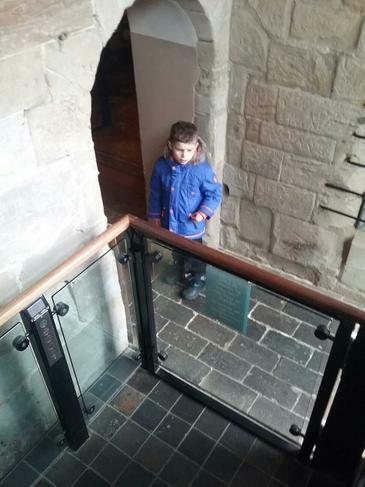 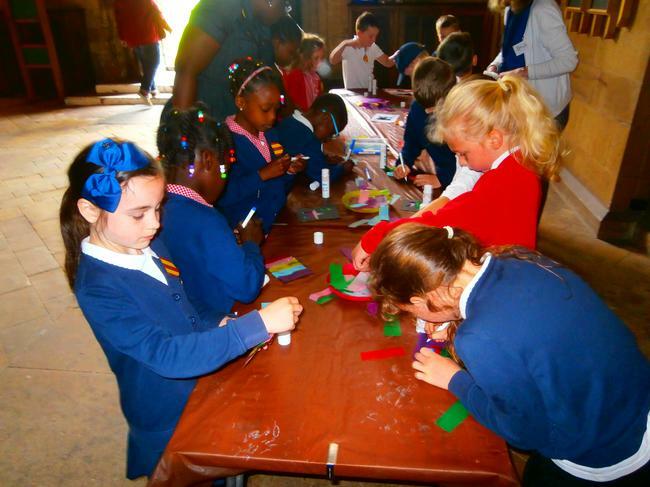 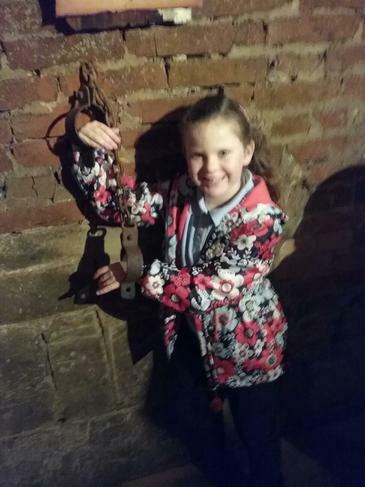 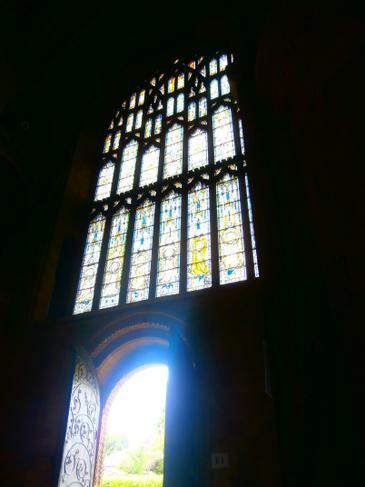 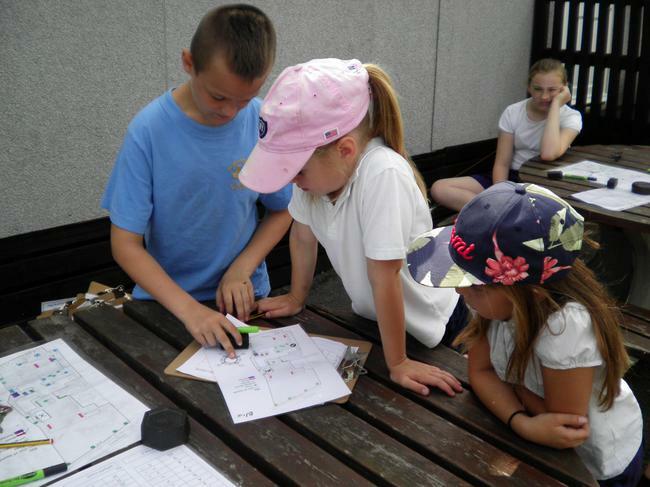 The year 2 children have also been busy completing their SATs, and they went on a trip to Southwell Minster. 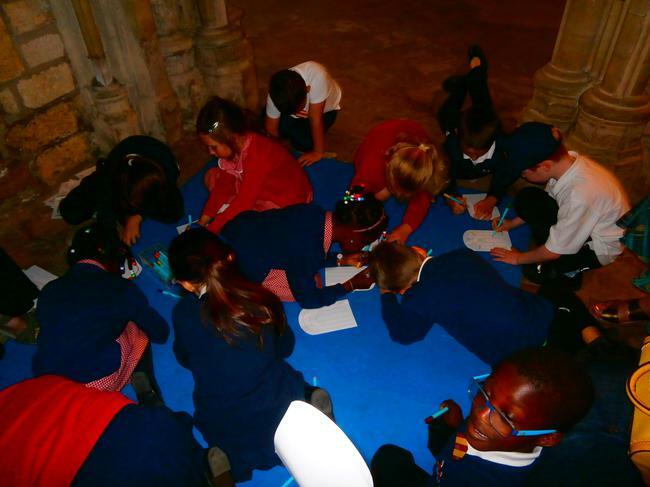 The children enjoyed meeting the choristers and looking around the cathedral. 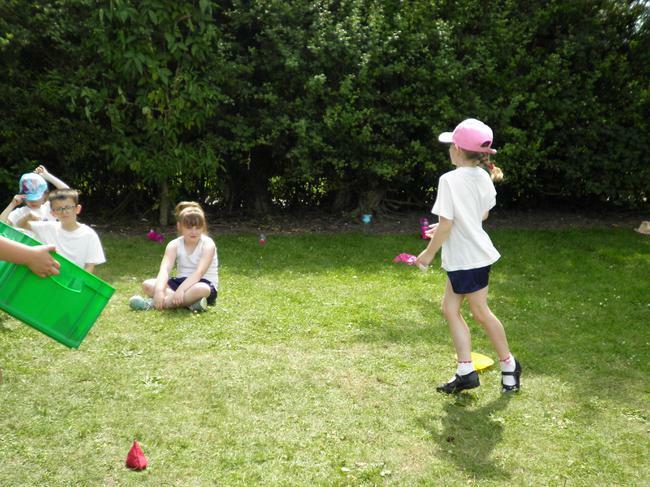 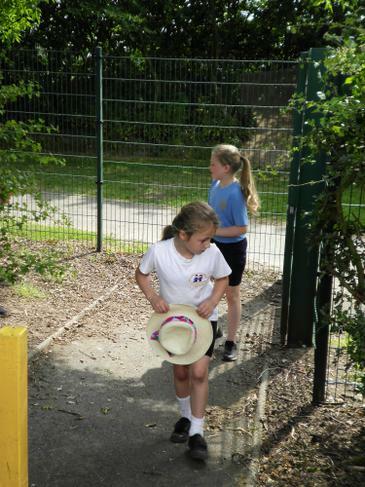 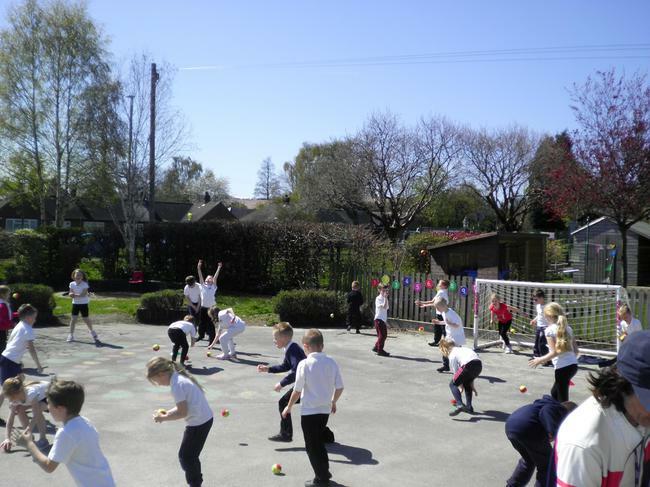 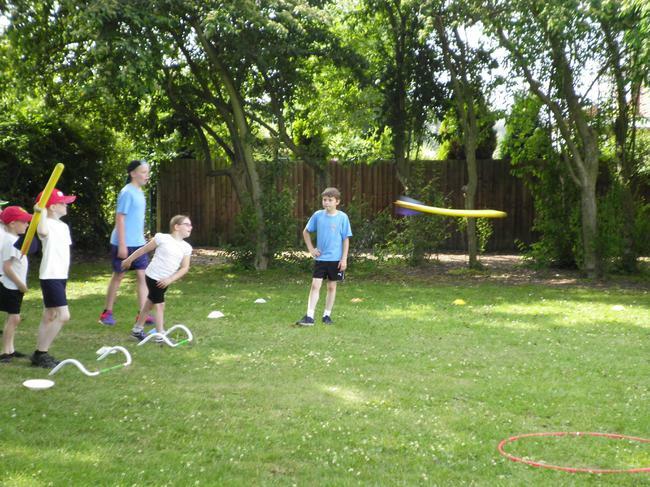 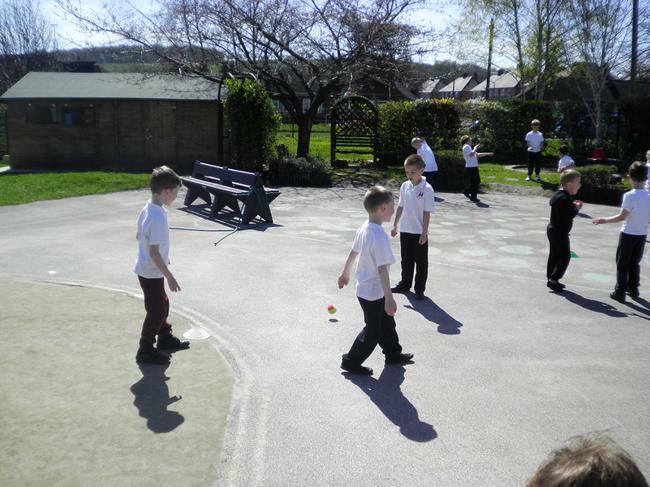 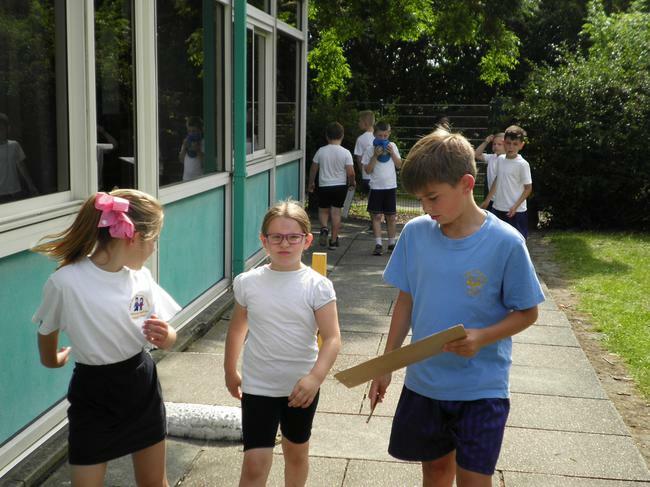 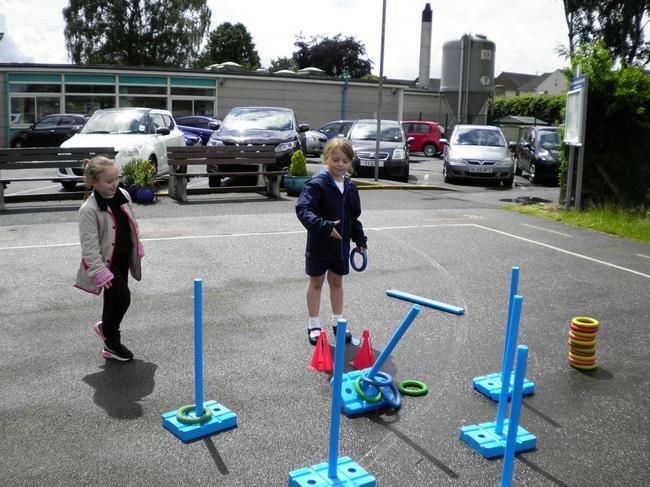 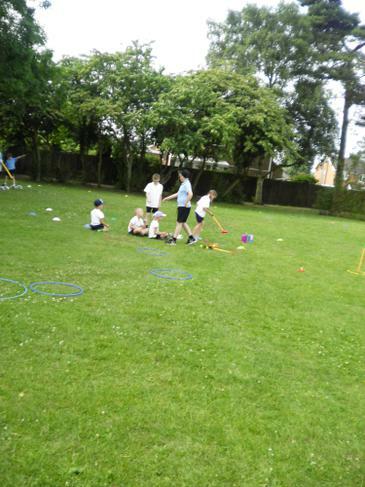 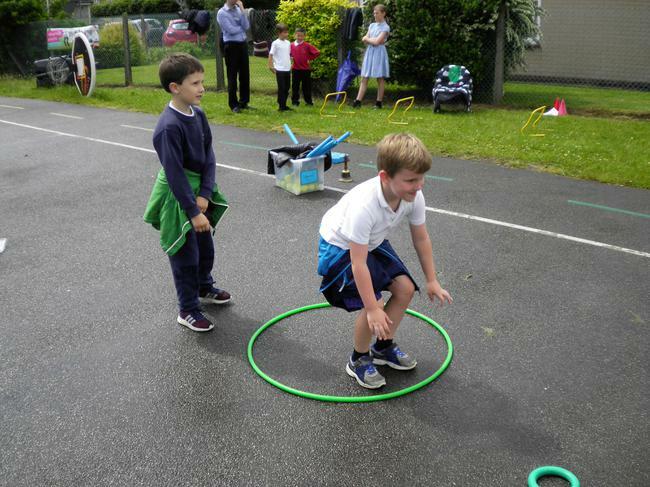 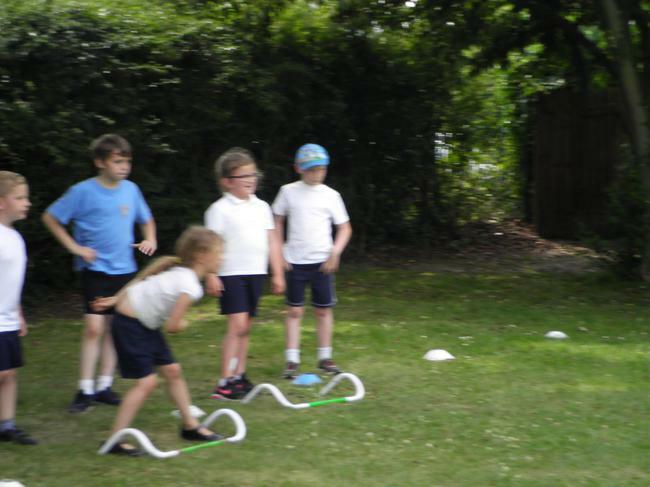 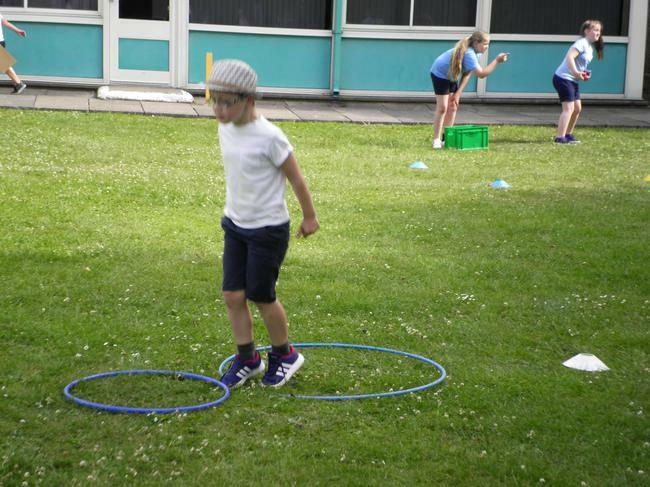 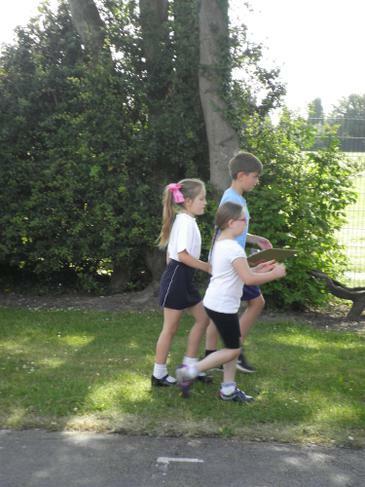 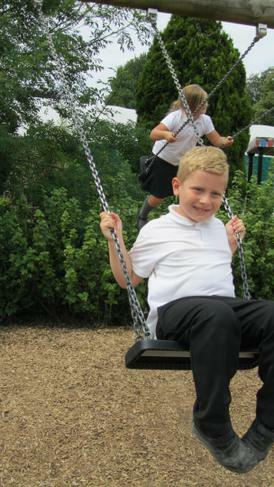 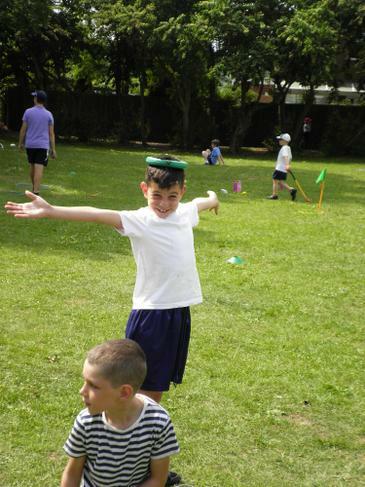 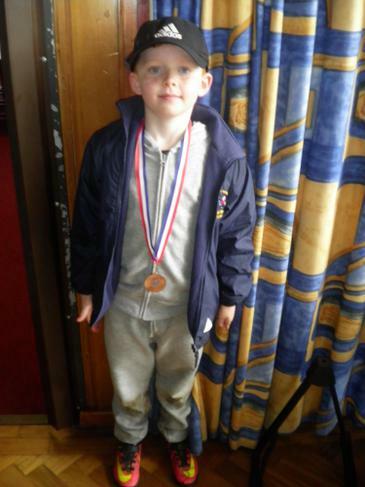 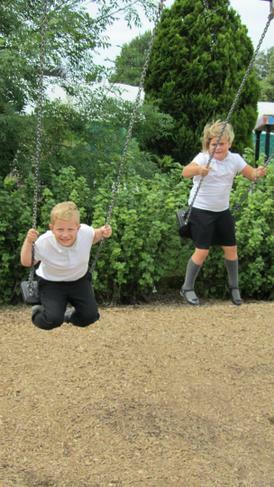 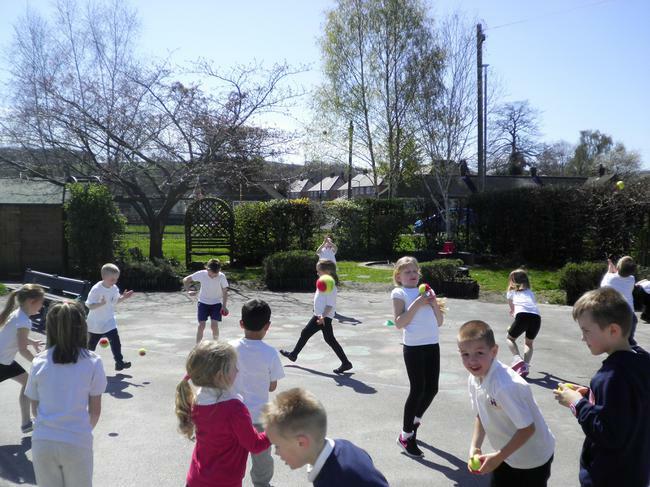 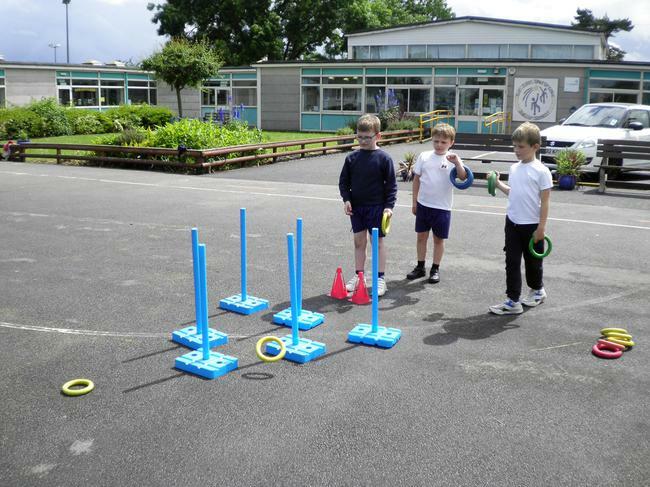 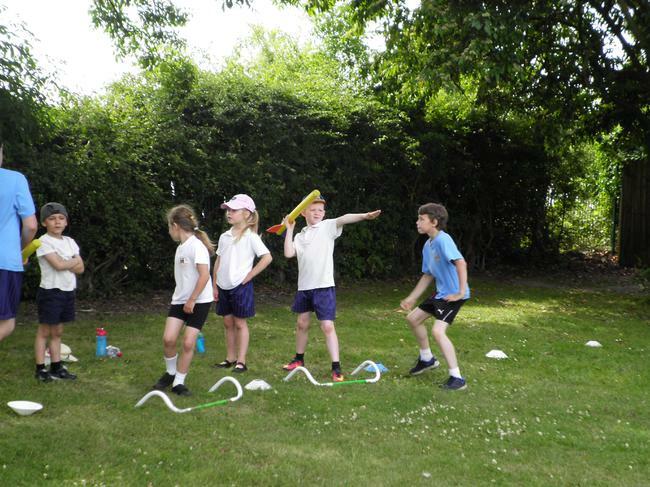 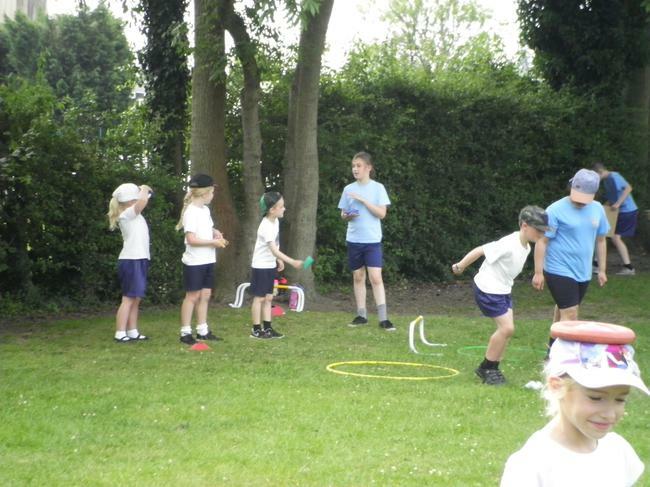 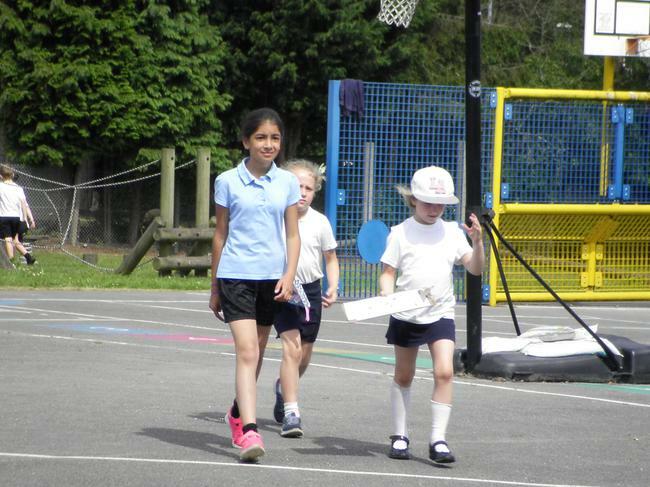 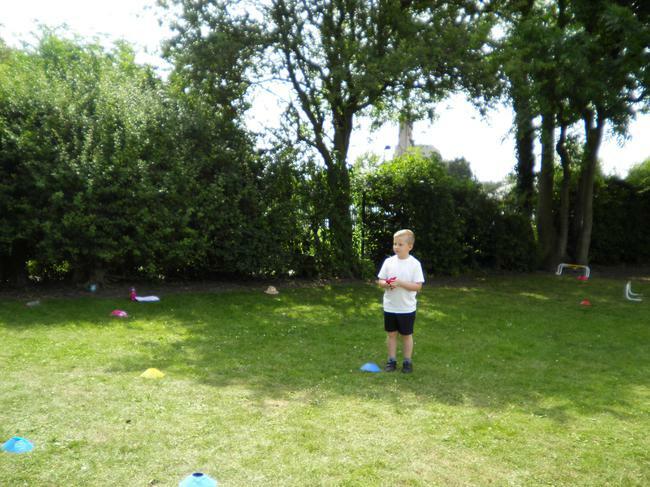 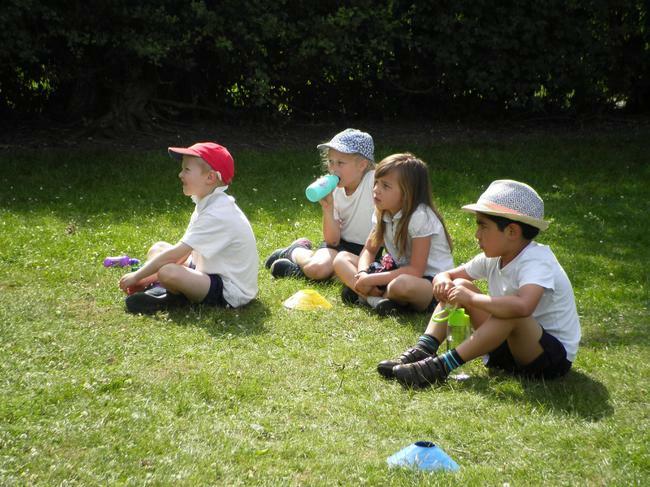 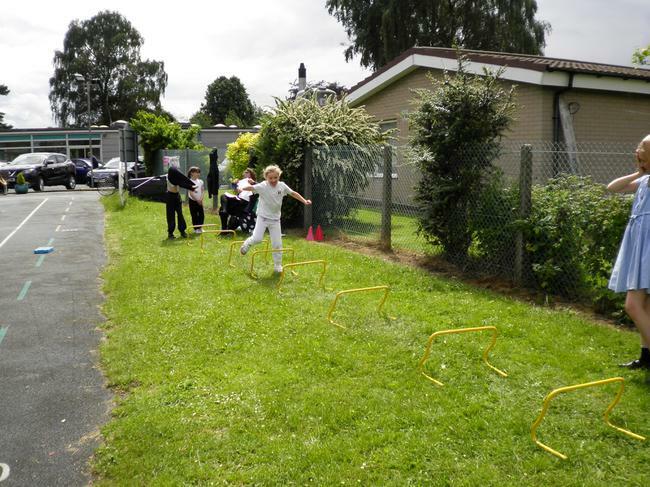 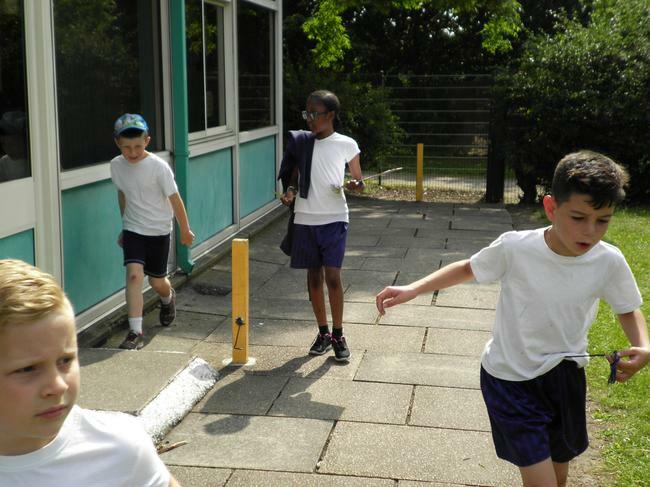 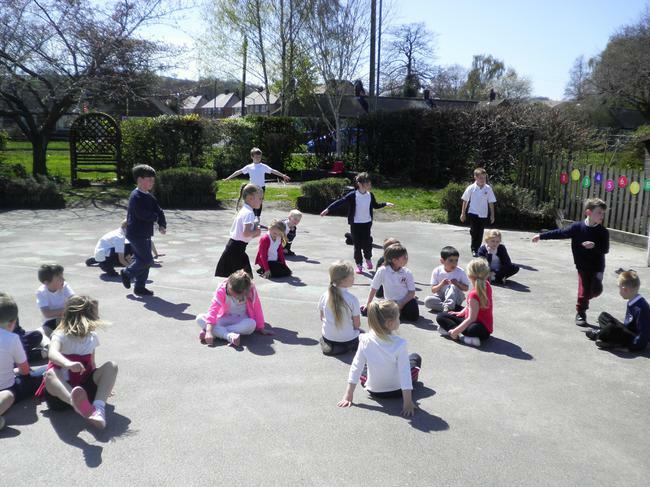 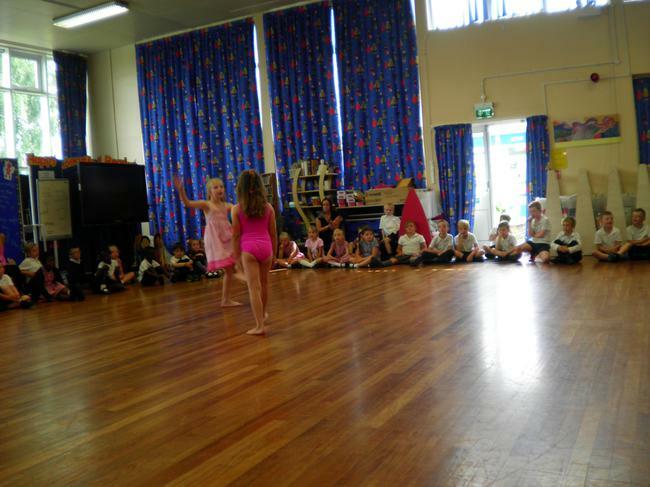 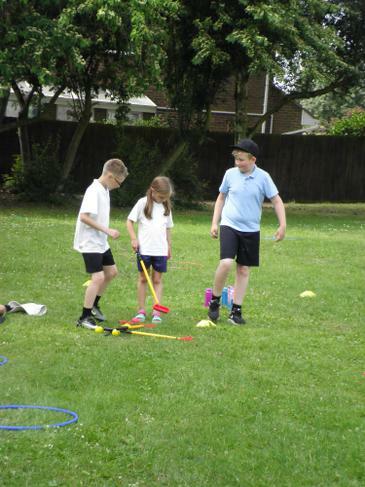 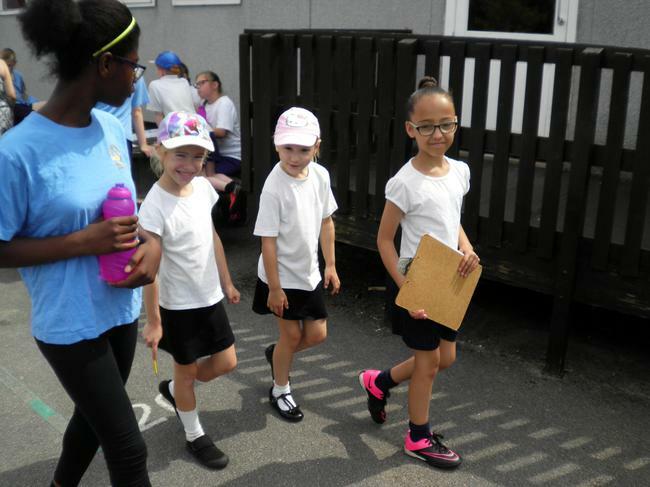 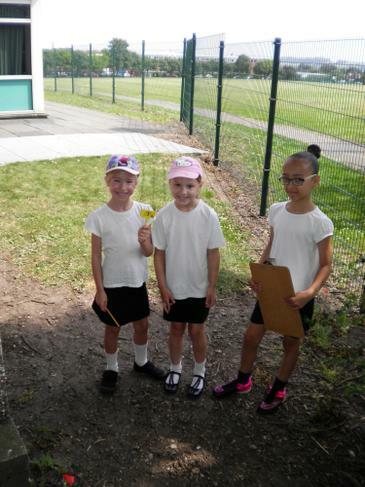 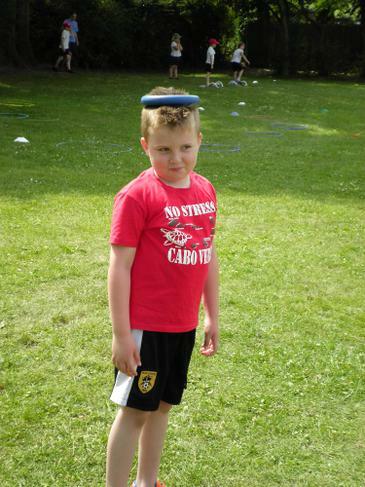 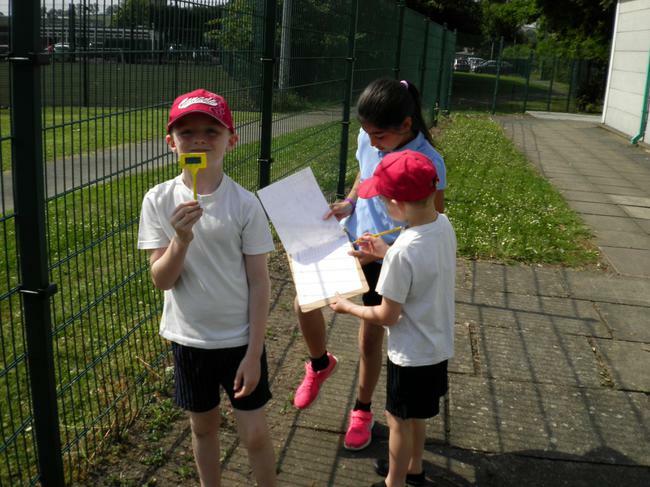 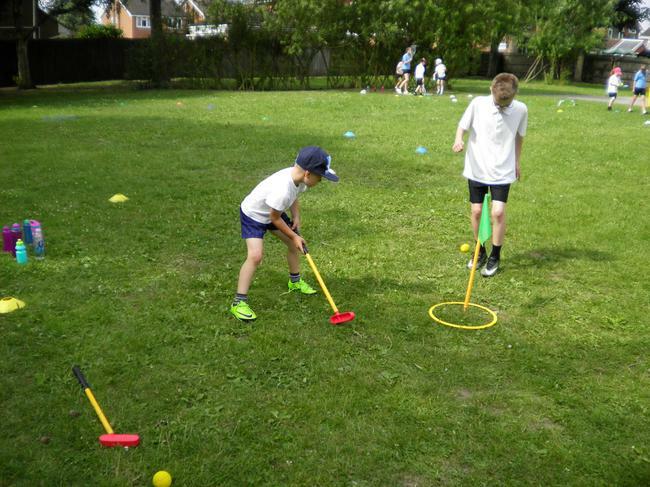 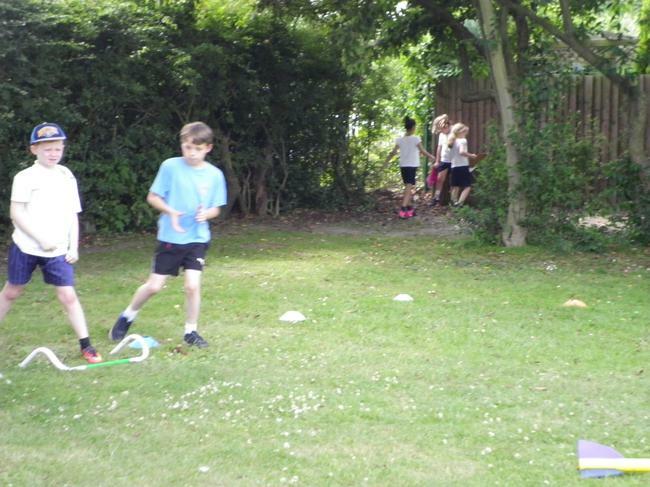 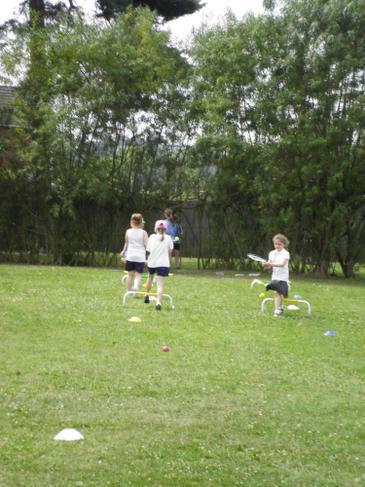 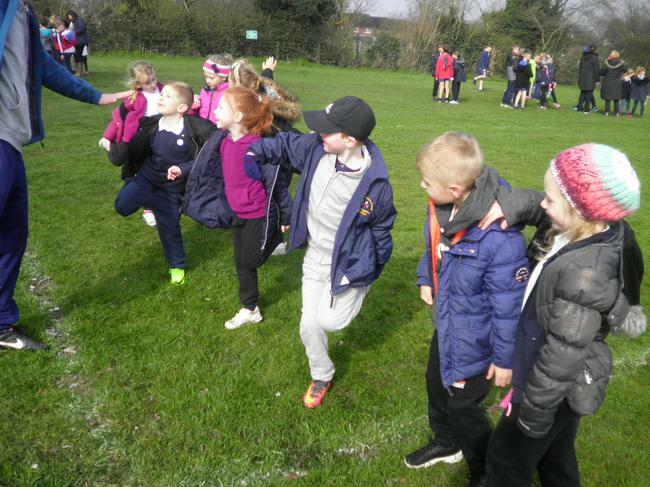 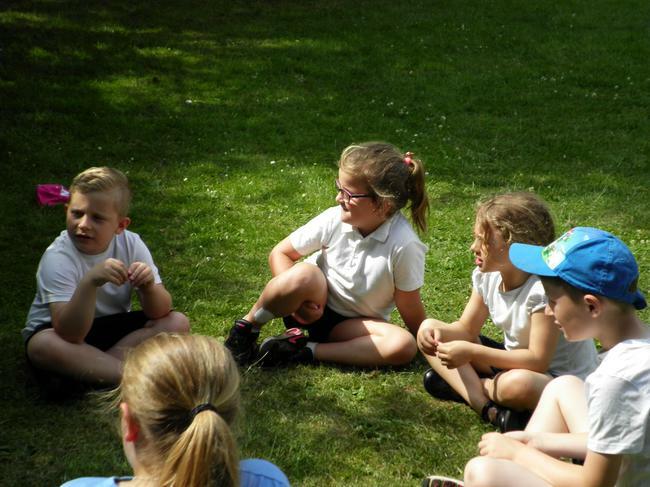 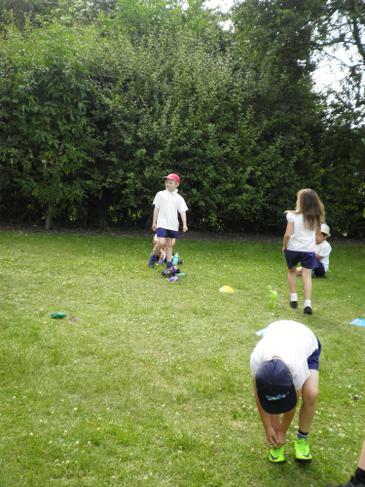 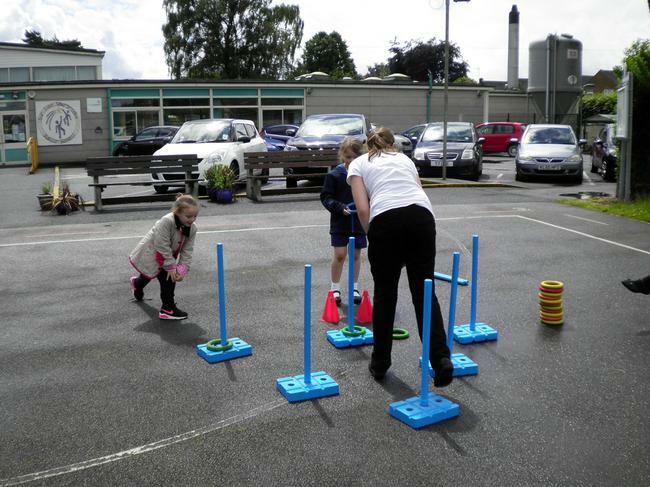 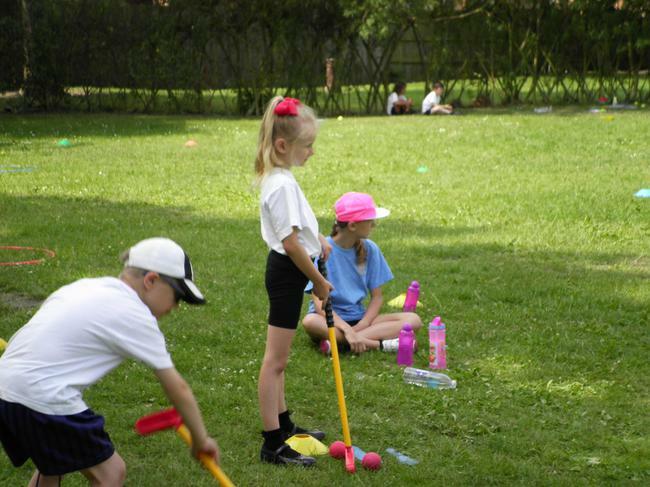 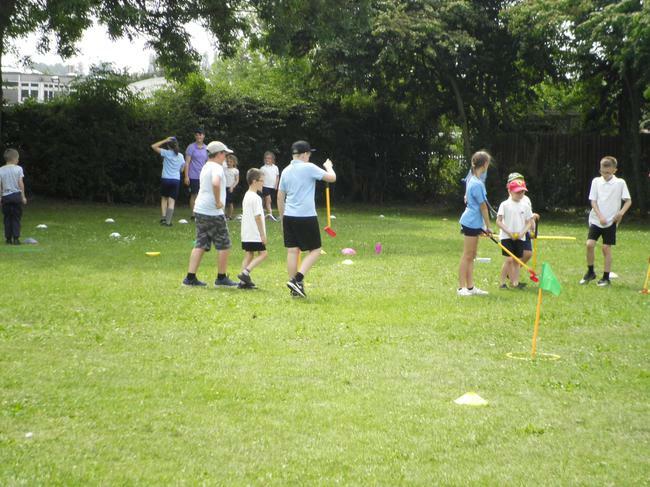 The year 1 children enjoyed a day trip to Woodborough Woods Foundation School and participated in a multi skills event. 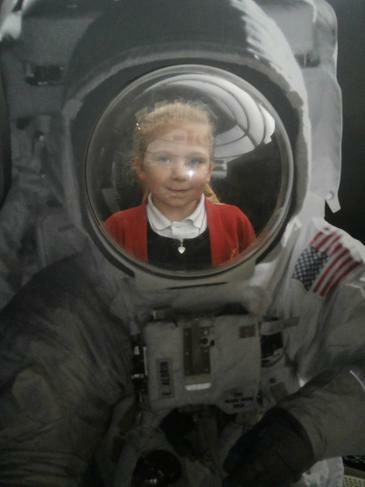 This term we have been looking at space. 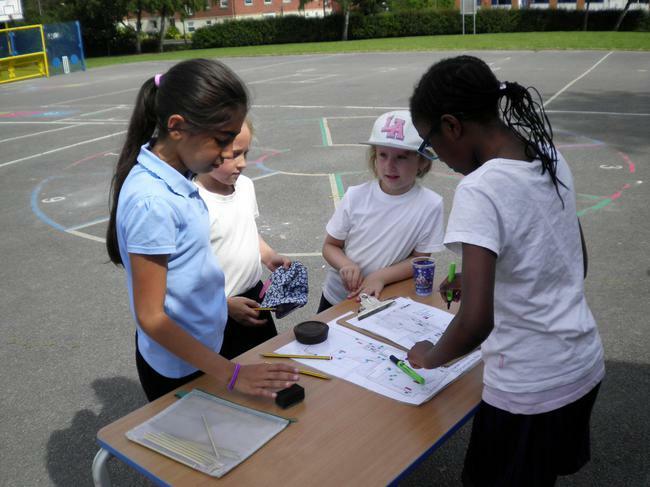 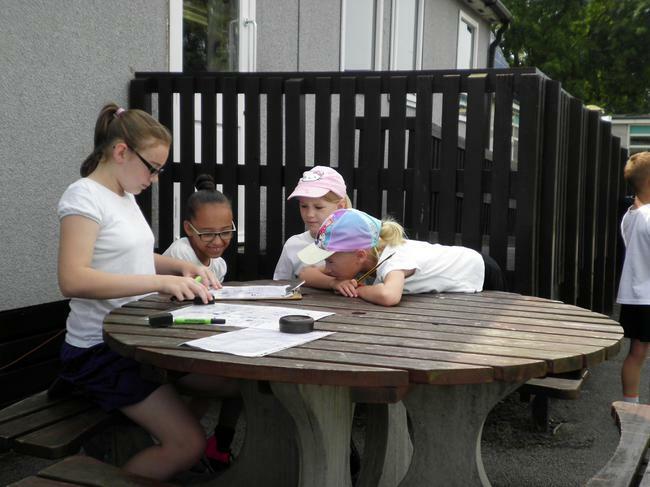 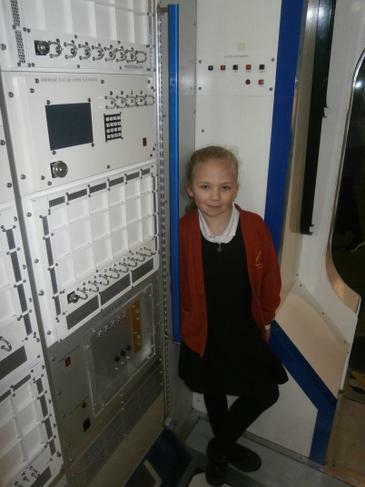 The children have learnt about the space race, the solar system and the 1960's. 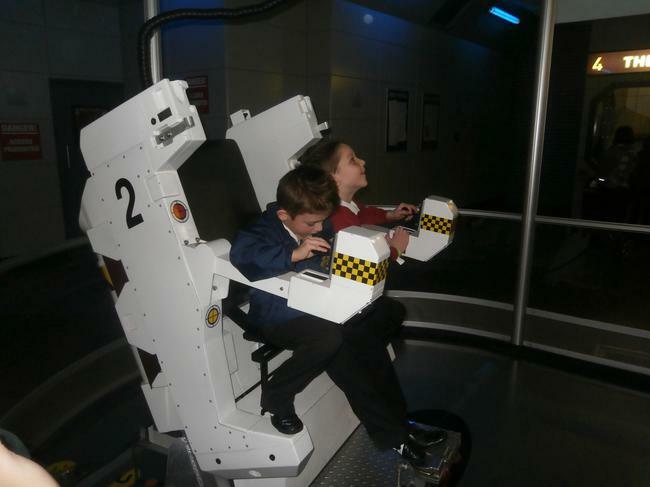 The children also went to the National Space Centre where they enjoyed all the different exhibits and the amazing planetarium show. 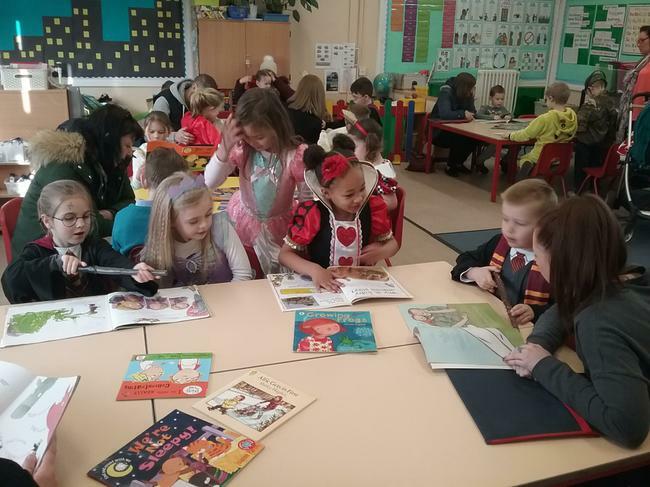 Wow, what an amazing term we have had. 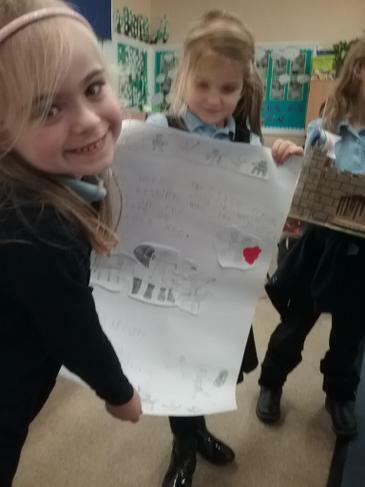 The children have been learning about Kenya through our topic 'Our colourful world'. 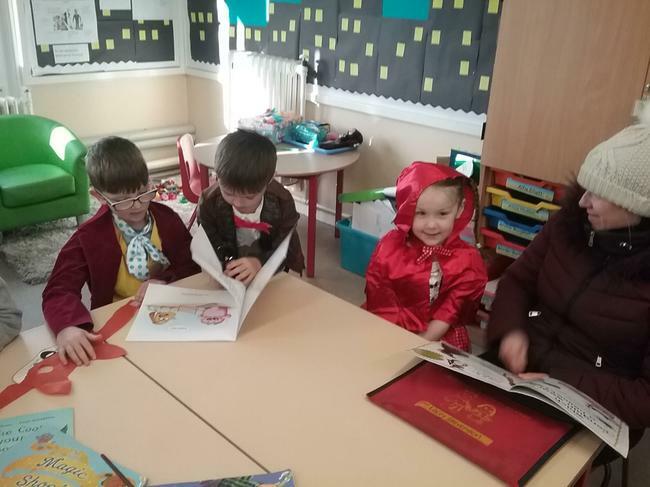 We have been learning about Kenya by studying the book Lila and the secret of rain by David Conway. 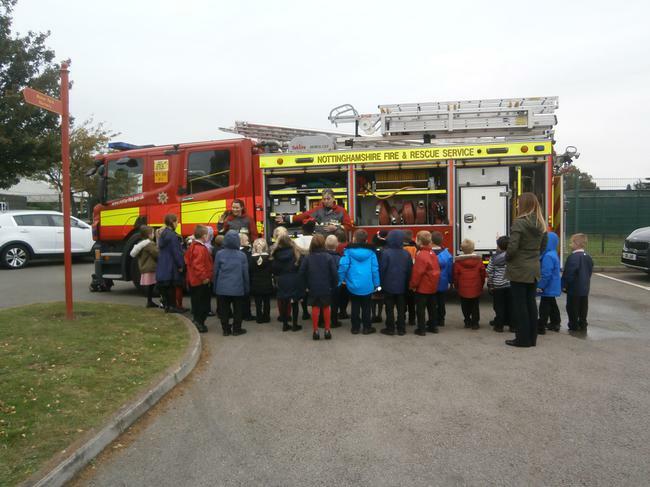 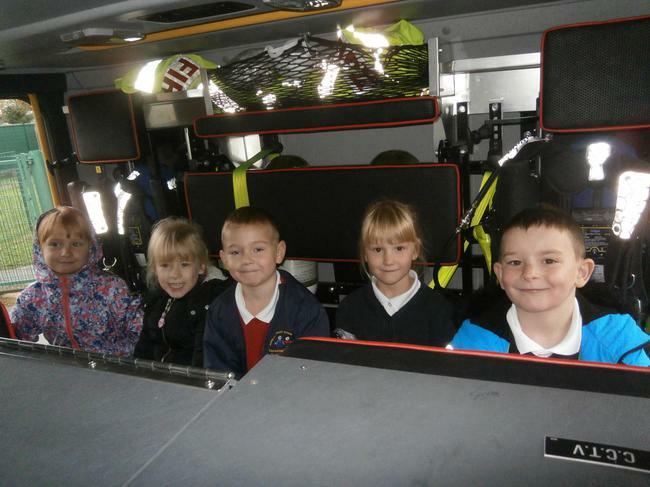 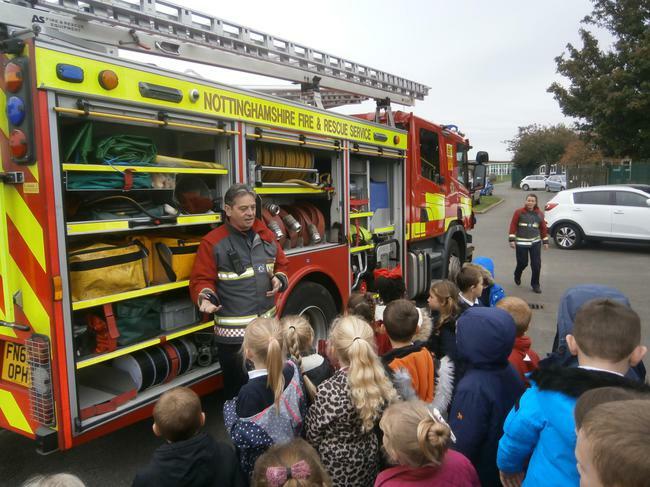 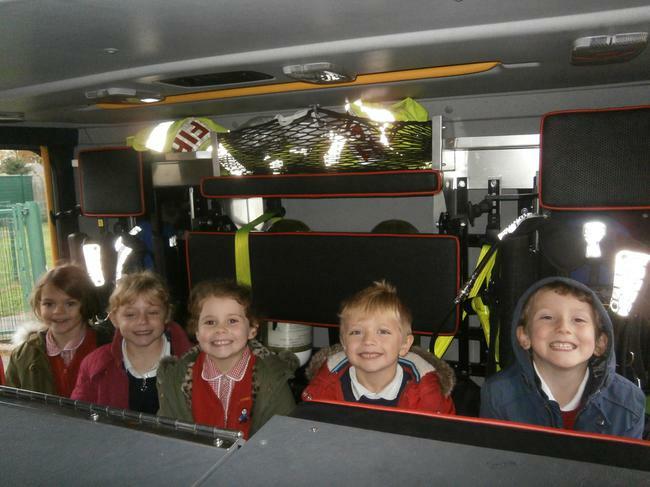 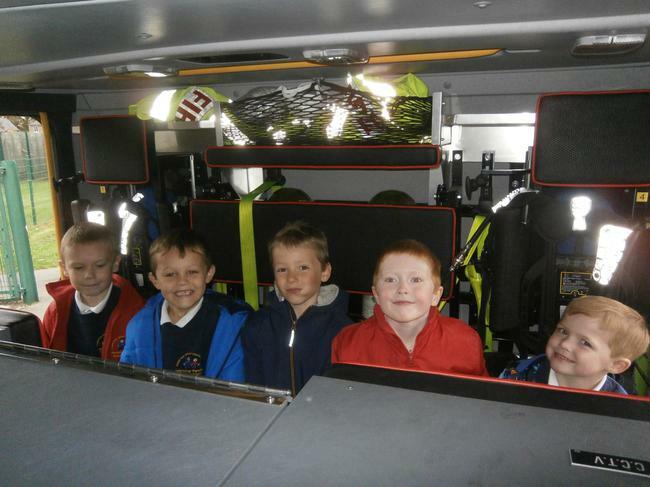 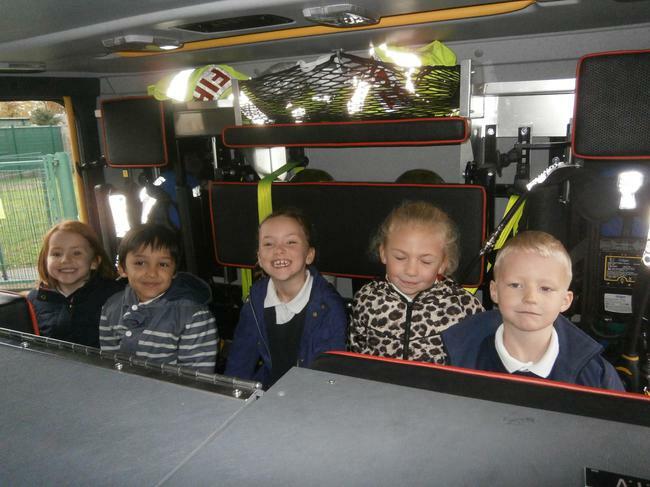 During the autumn term, we also had Arnold fire service come and visit. 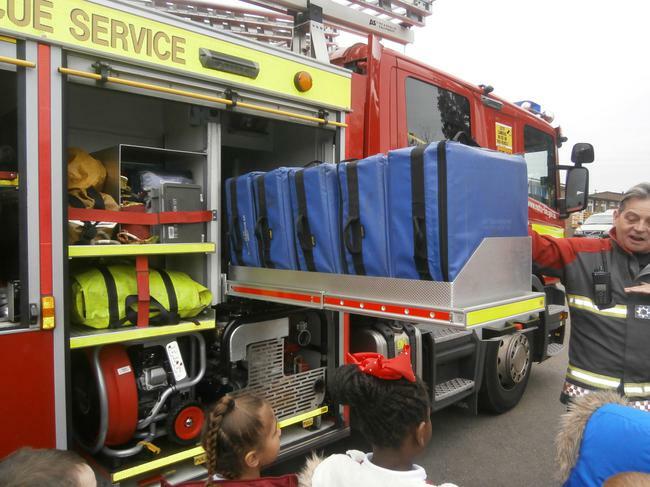 The children really enjoyed learning about fire safety and were able to experience a fire engine and all the equipment it carries. 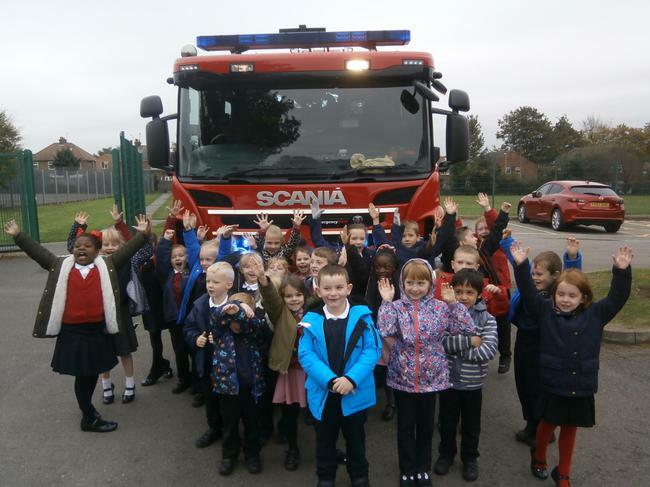 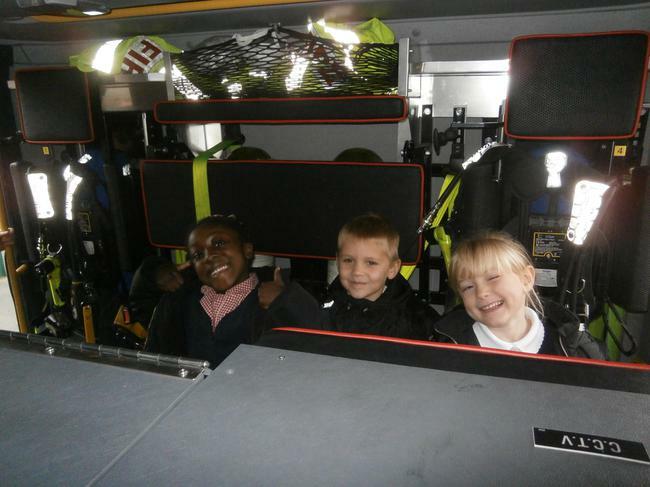 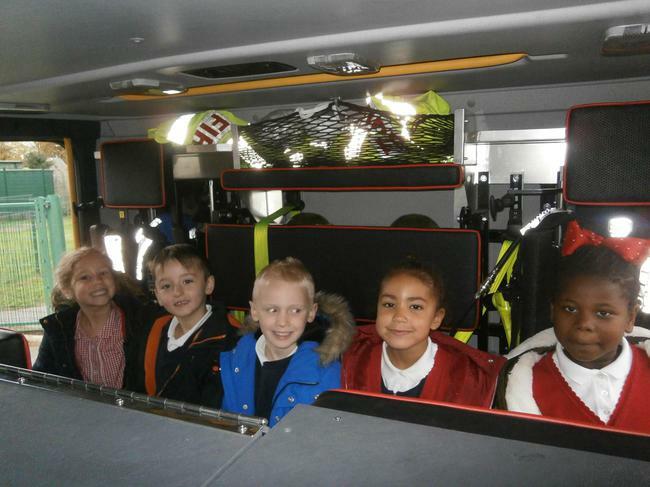 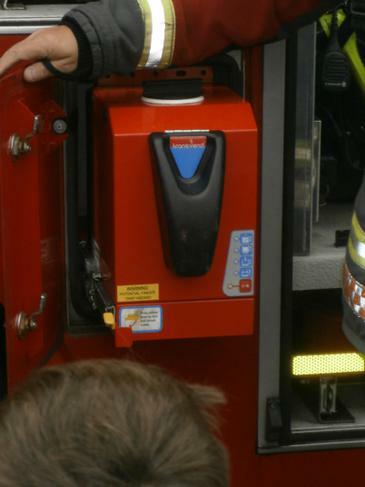 Many of the children now want to be firefighters when they are adults. 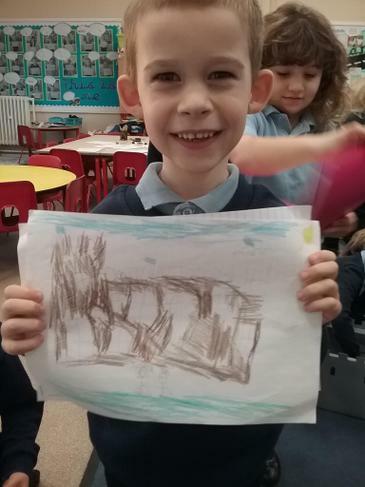 We have been learning about the rainforest. 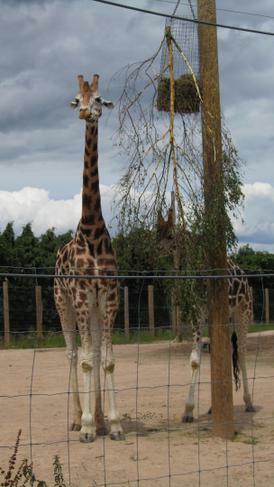 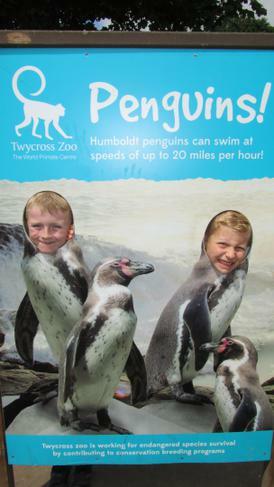 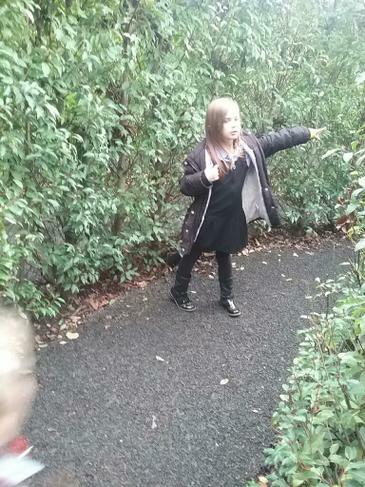 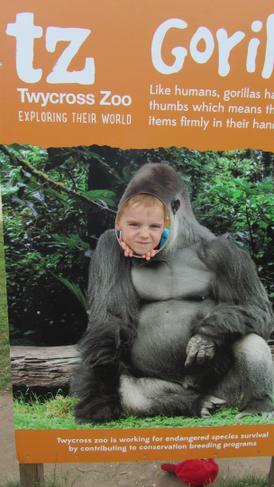 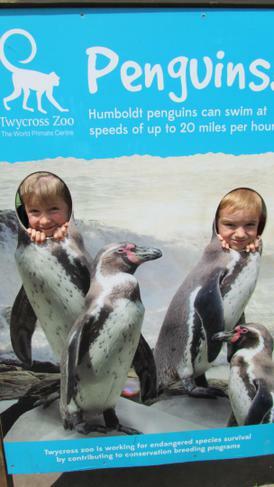 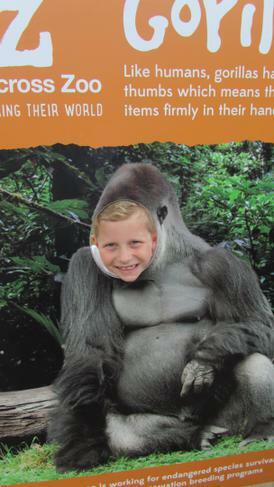 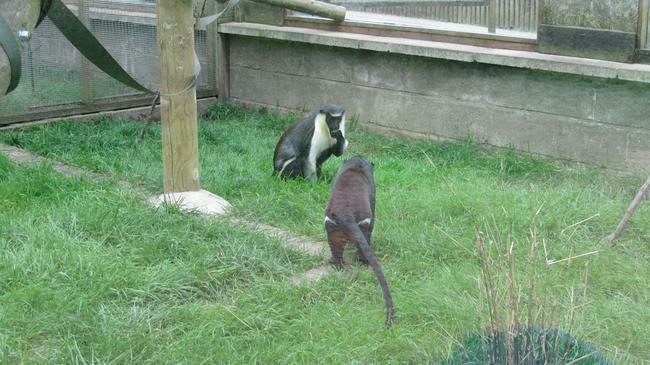 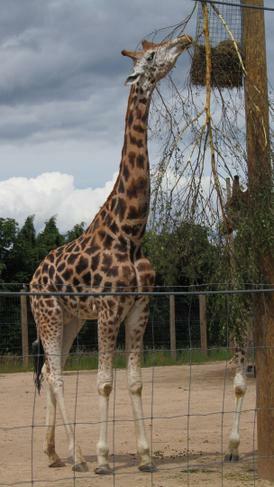 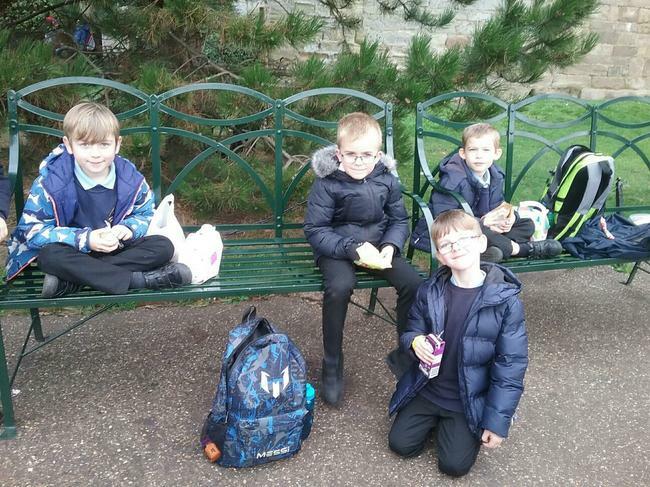 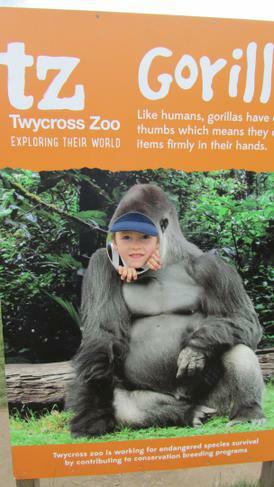 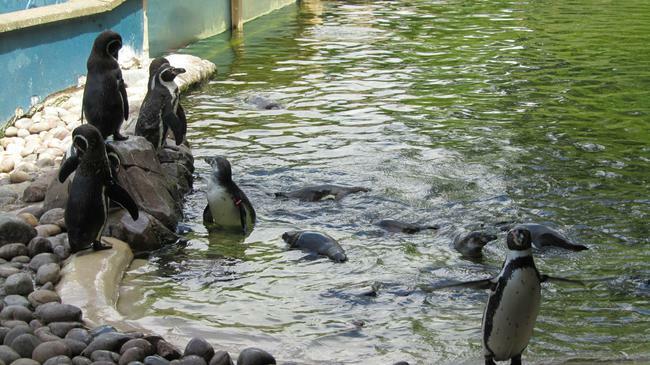 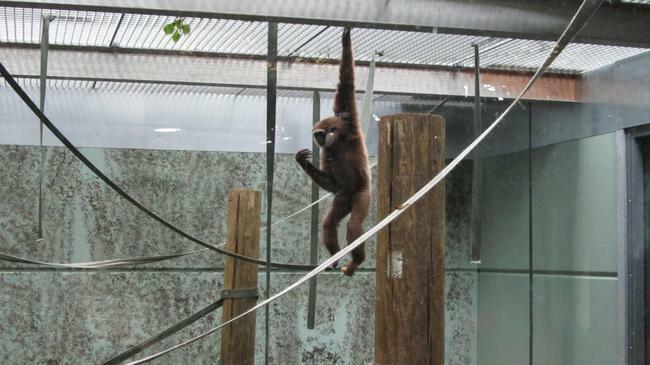 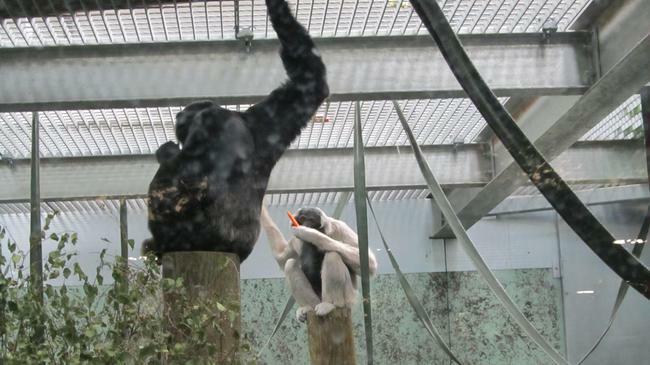 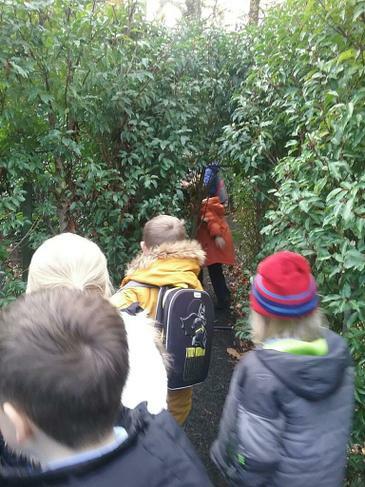 To help us learn more about the rainforest all the Key stage 1 children went to Twycross Zoo. 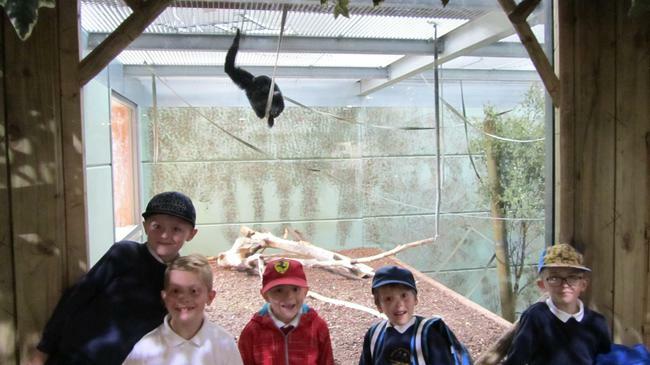 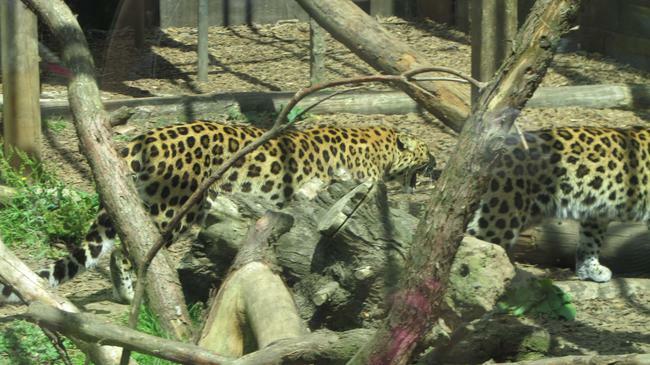 At the zoo we saw many rainforest animals as well as animals from different habitats. 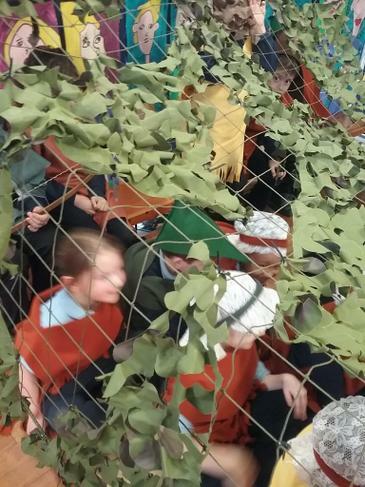 The children even stroked a Chinchilla and a Cockroach!! 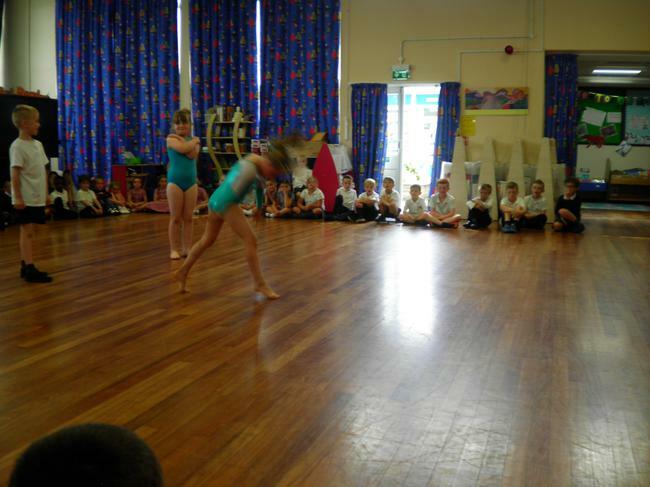 The Manor Park Dance Competition. 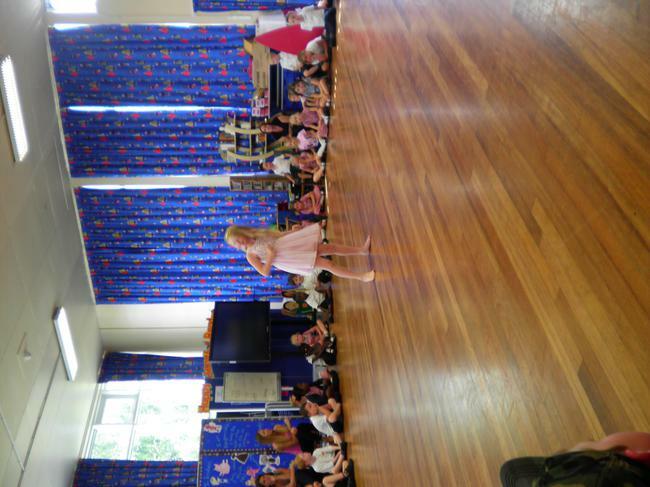 Well done to all the competitors. 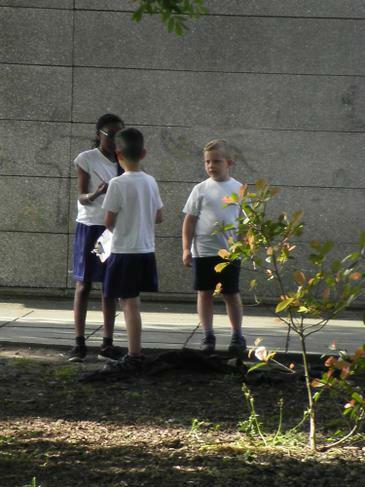 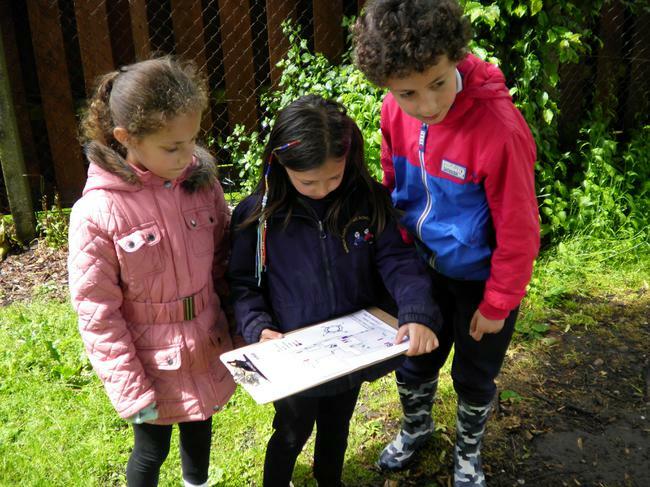 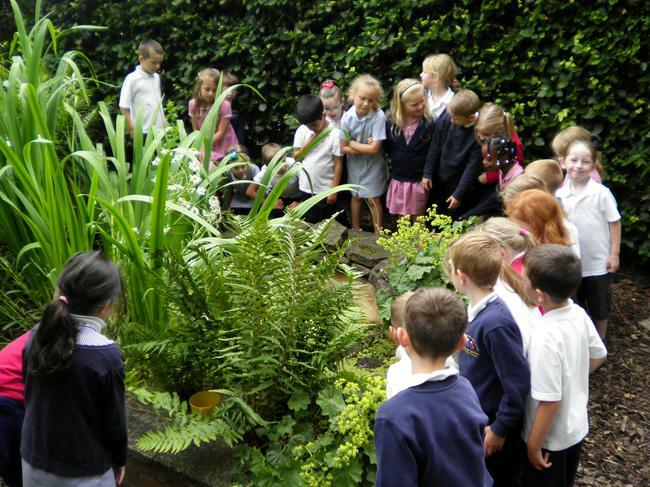 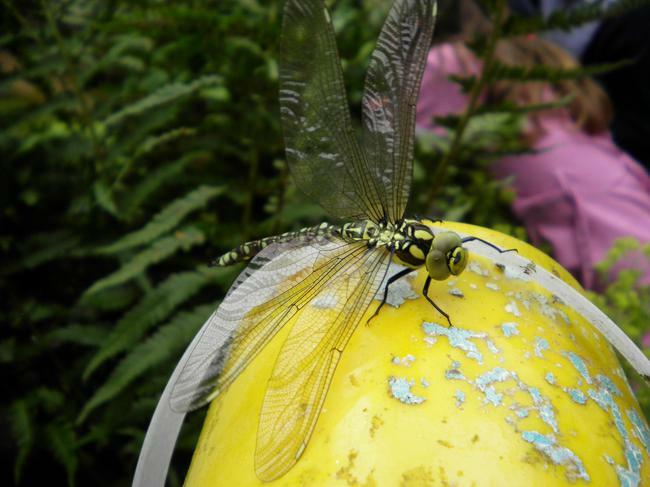 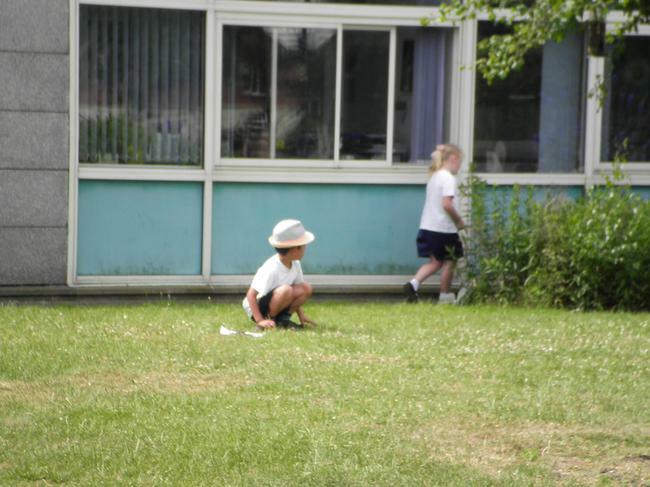 The children have been learning about different habitats. 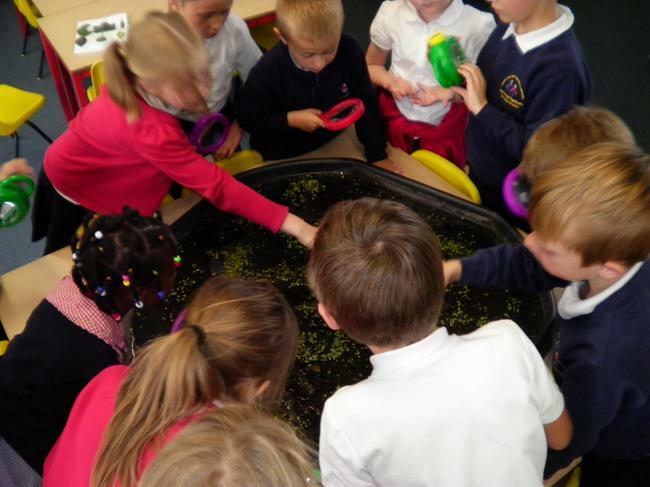 We have been identifying animals that live in our pond. 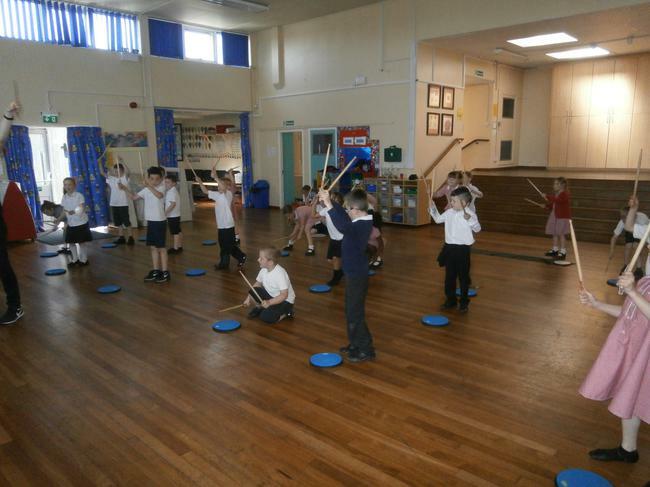 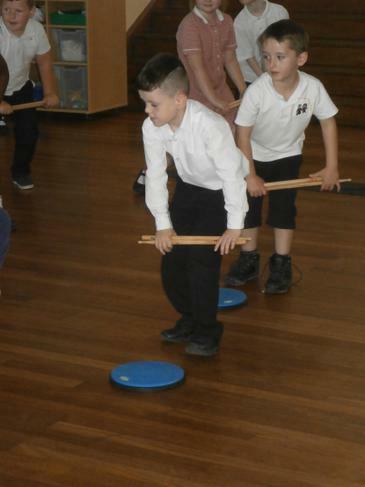 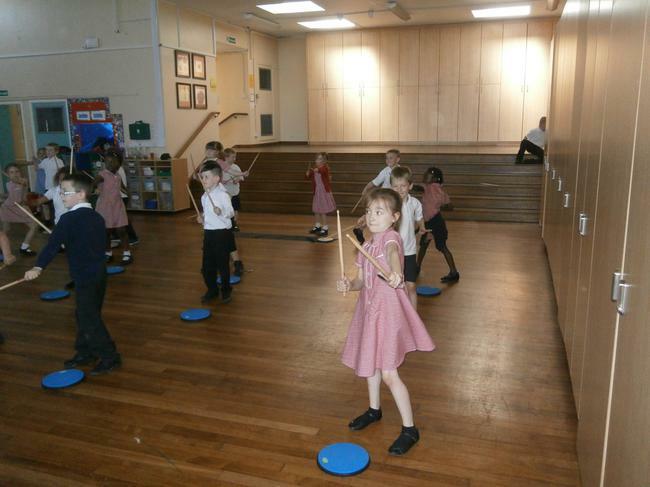 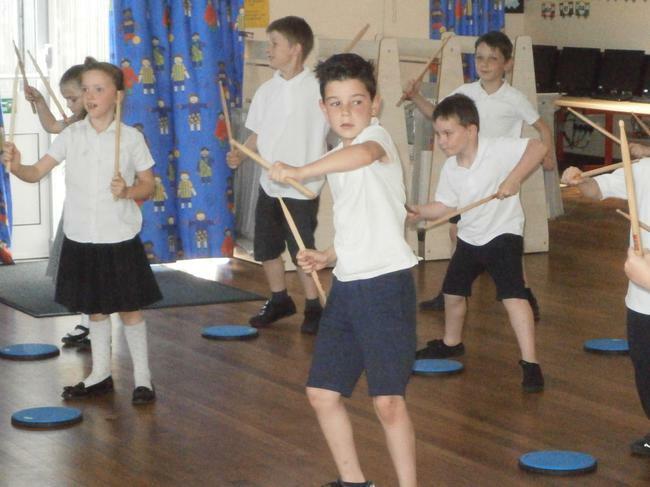 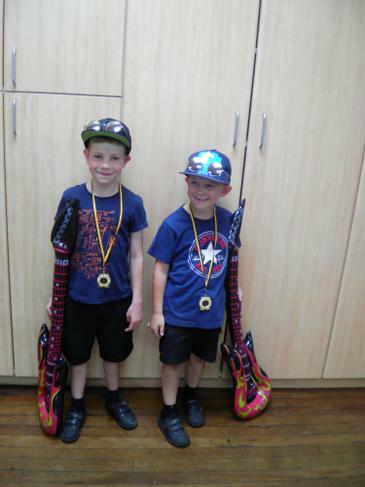 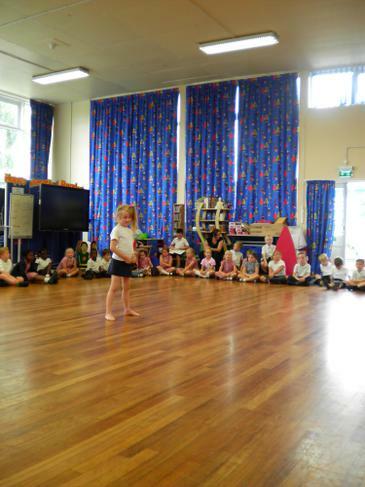 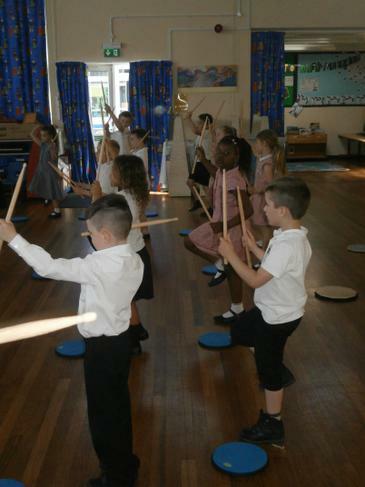 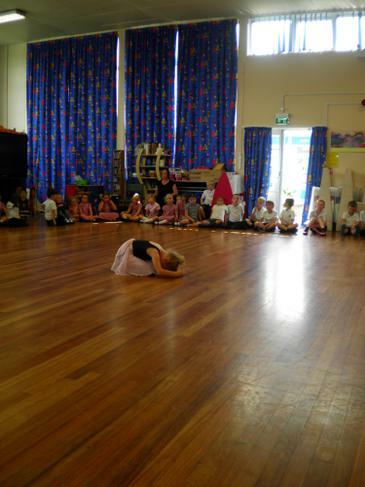 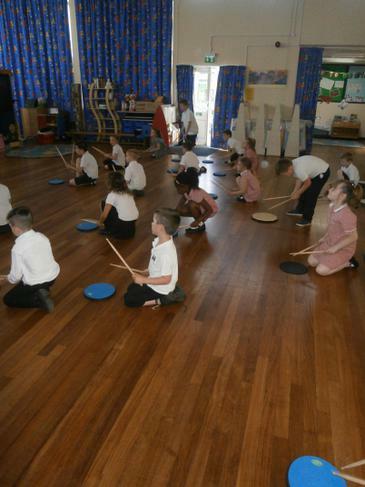 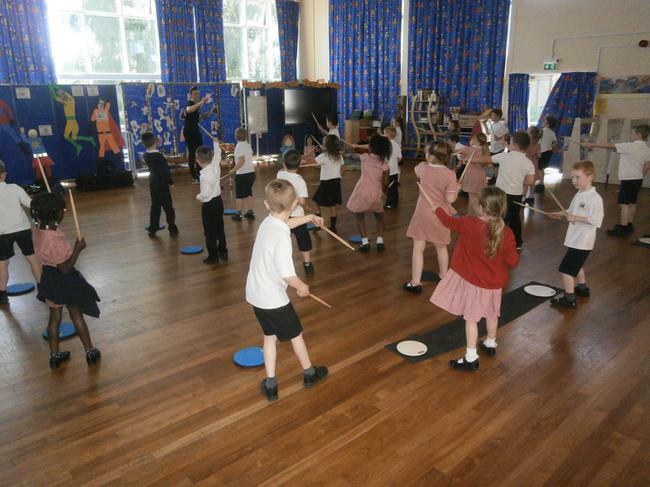 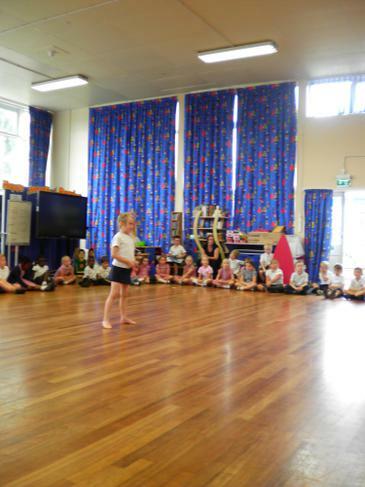 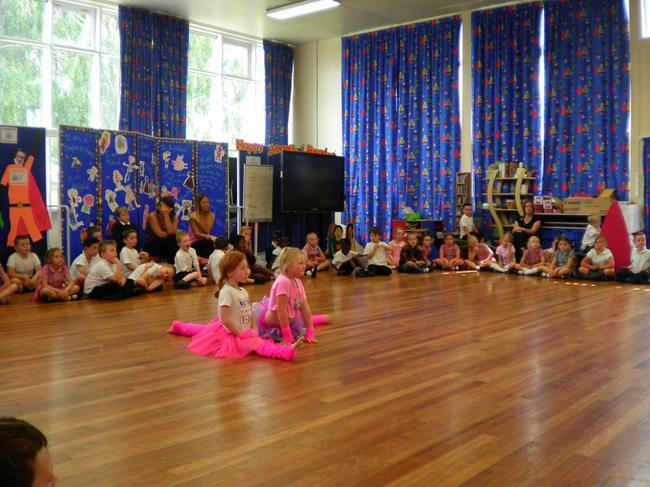 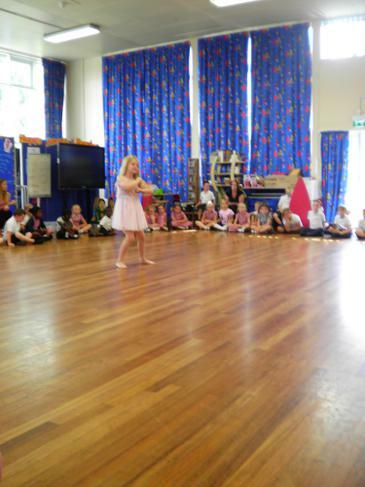 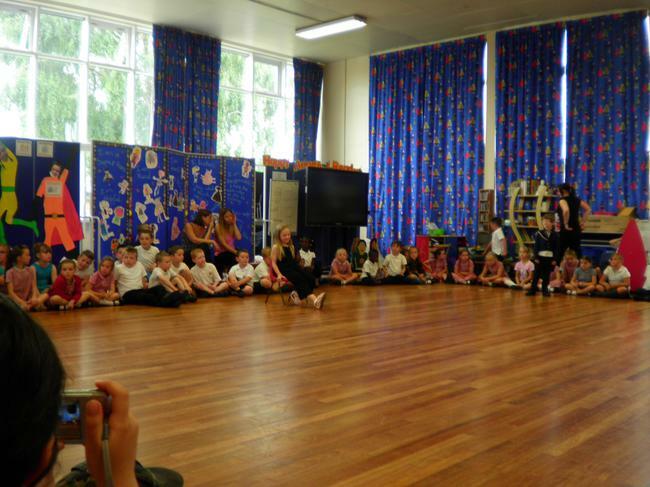 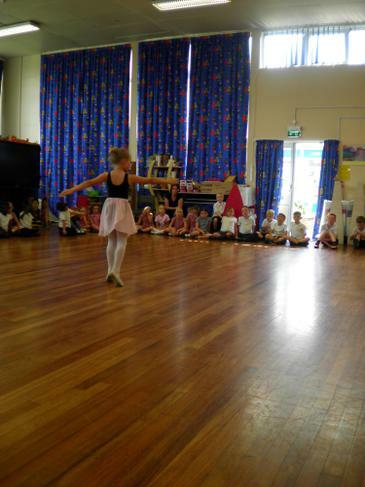 On Friday 26th May the Key Stage 1 children had an opportunity to drum. 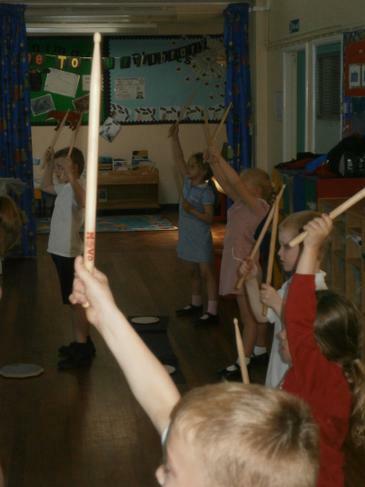 The children had a wonderful time using drums and drum sticks. 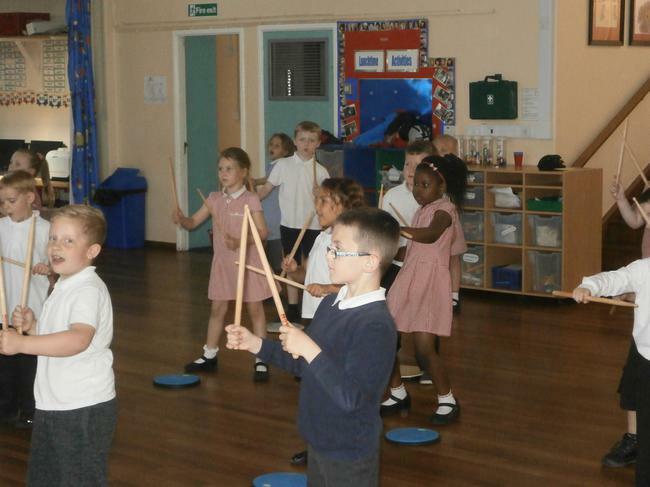 The children learnt some drumming terms and phrases and even exercised whilst they were drumming. 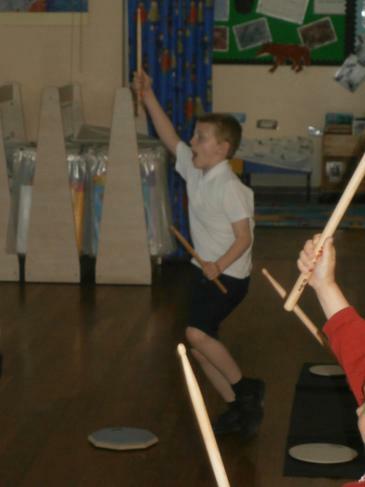 Daniel made the workshop fun and upbeat. 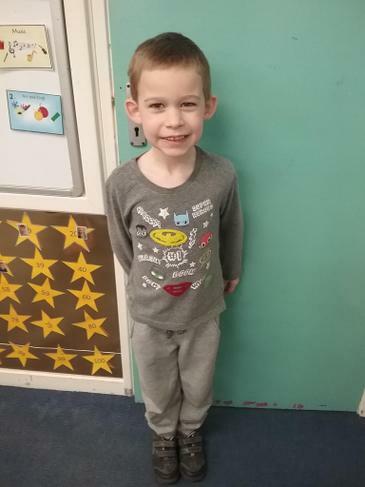 Thank you Daniel! 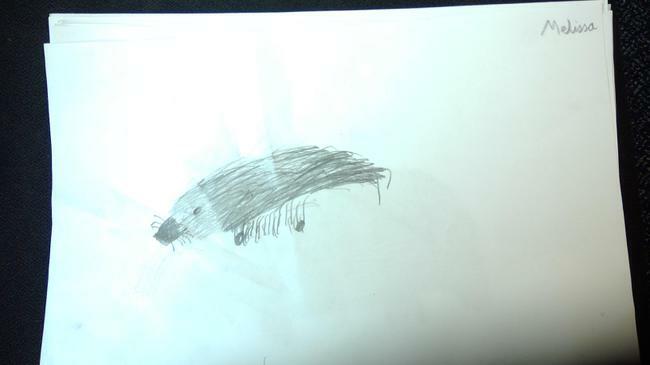 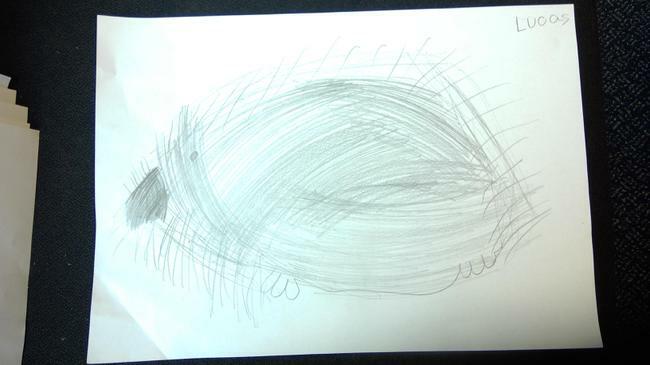 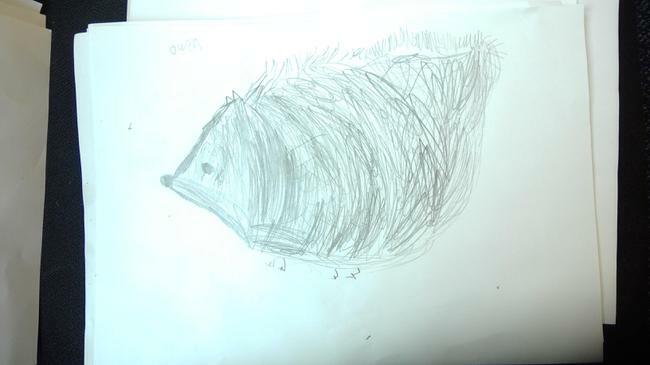 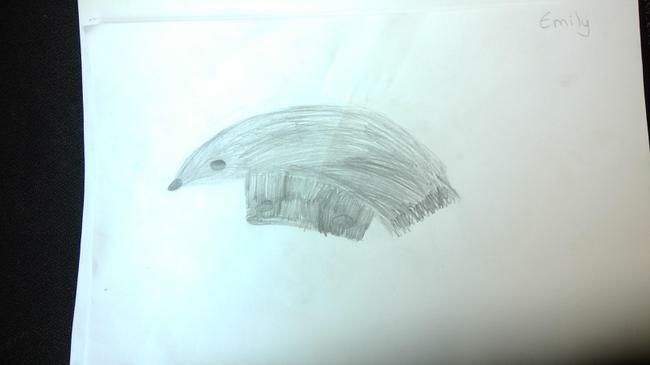 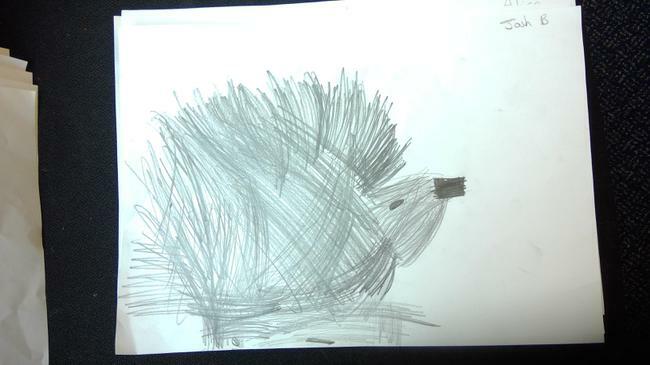 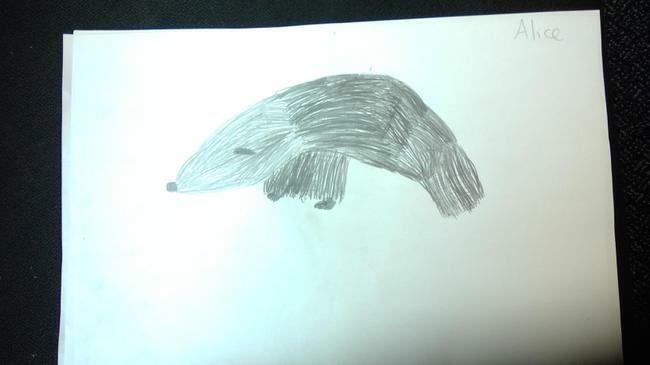 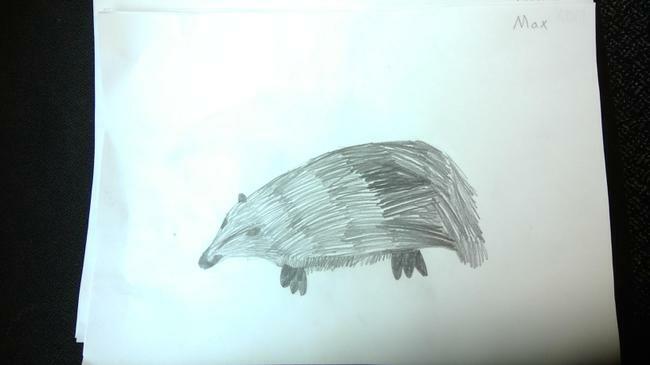 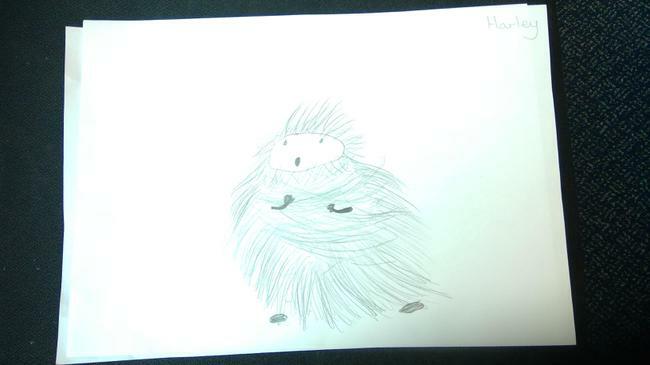 We have been looking at nocturnal animals closely and have created these amazing observational drawings. 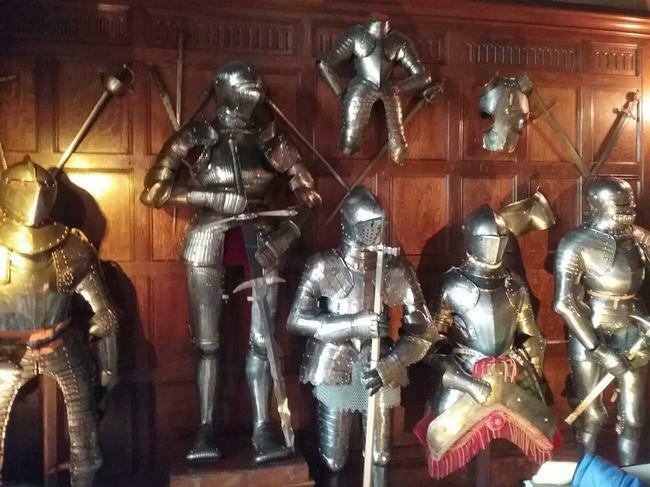 Take a look, which one is your favourite? 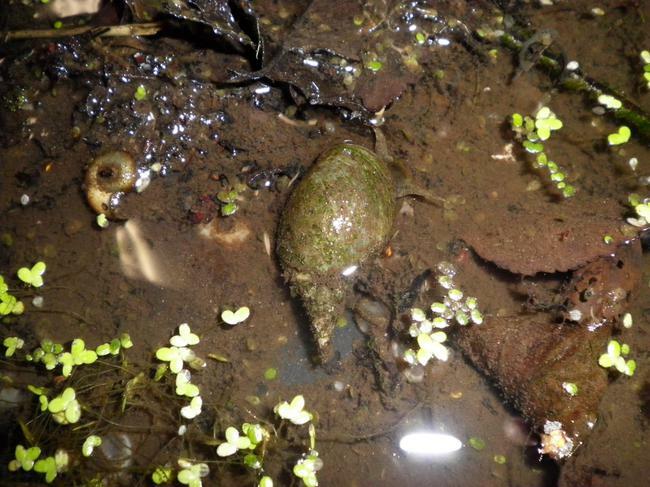 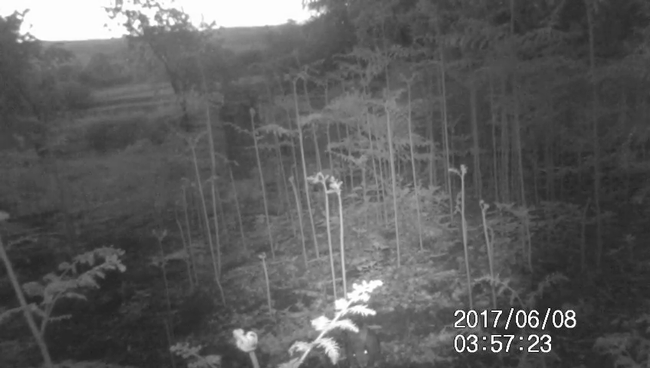 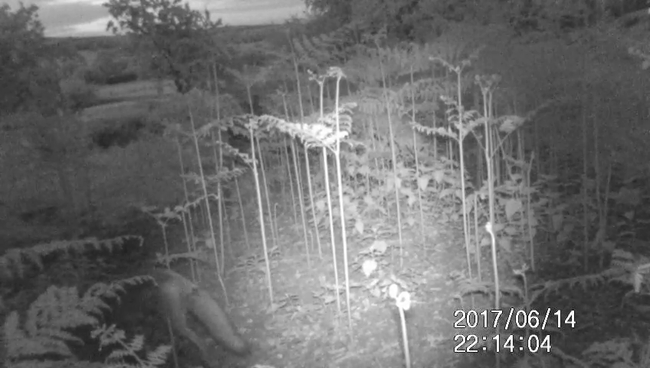 We set up a 'Nighttime' camera in Calverton to see what animals were about at night. 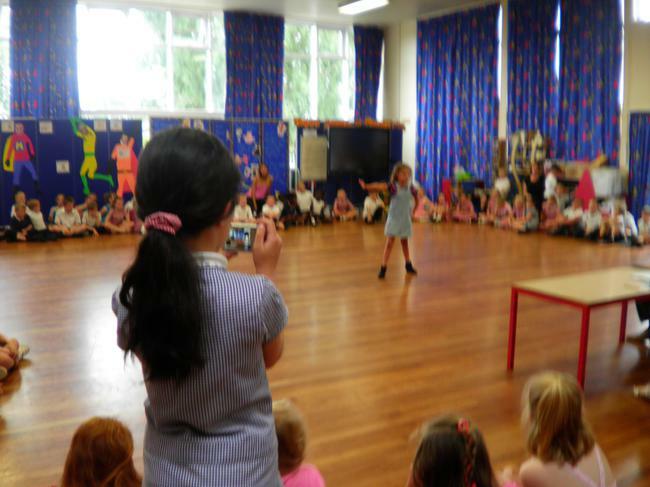 Thank you to Louie and Eddie Brown for donating the camera. 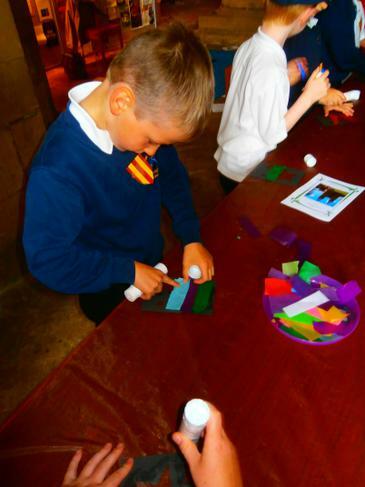 Lots of superheroes come in to contact with slime when they are defeating their enemies! 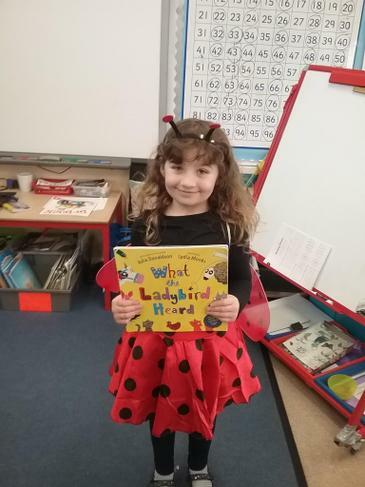 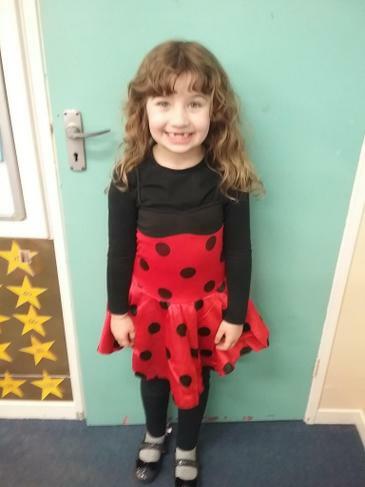 We are loving World Book Day! 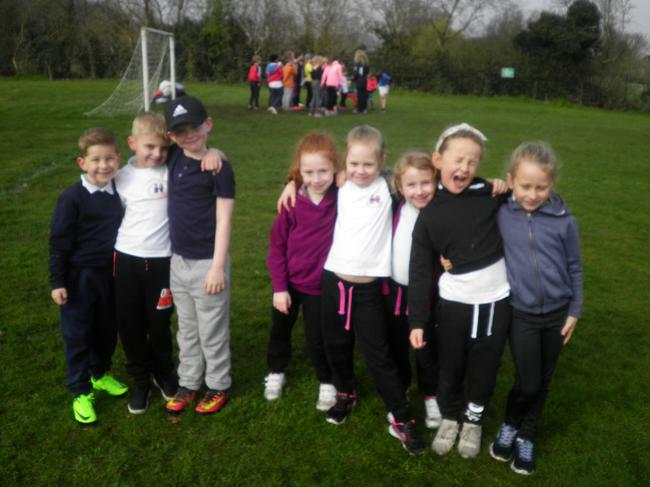 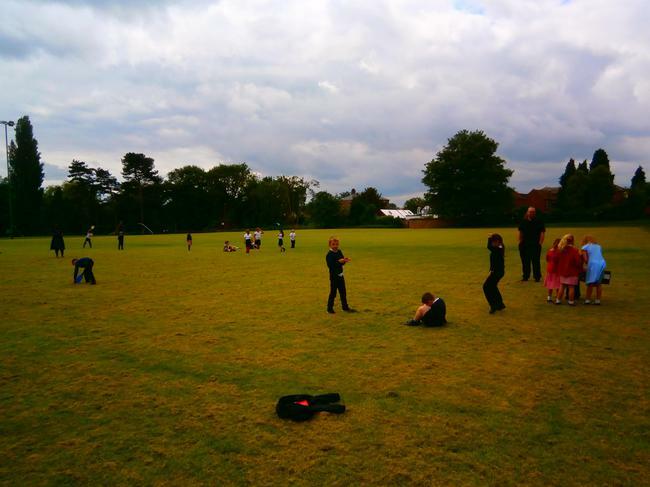 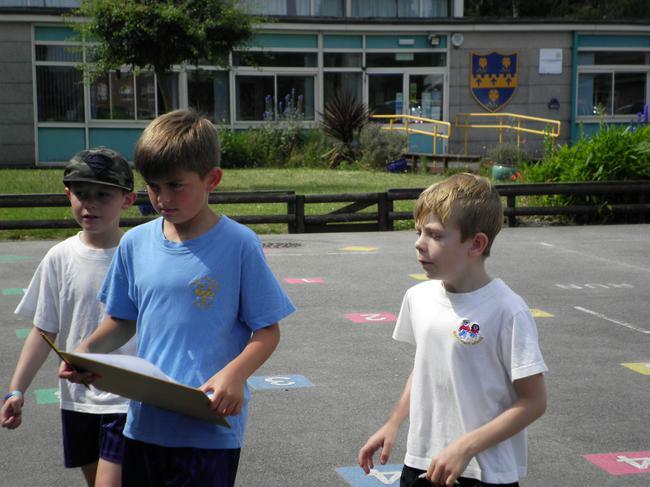 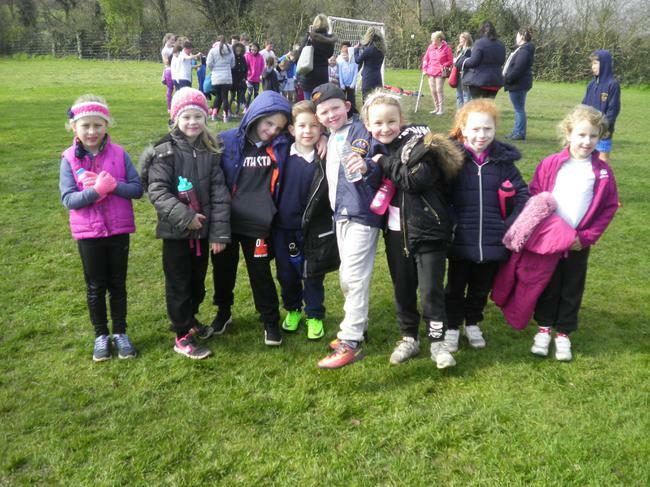 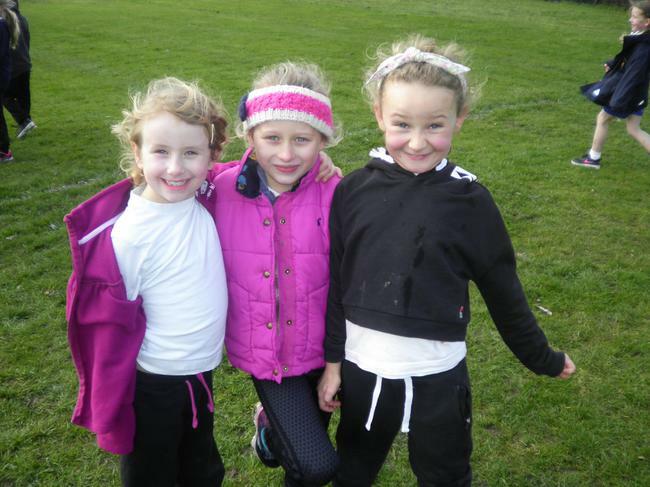 Year 2 Cross country event at St. Wilfrid's school. 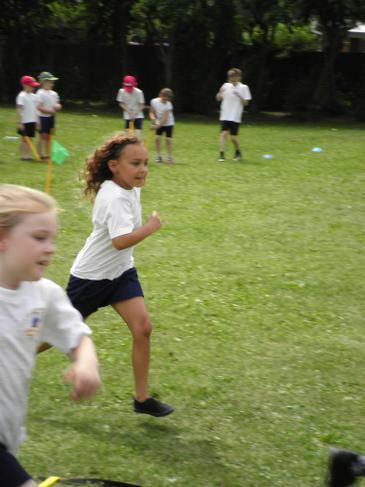 Well done to all those that raced. 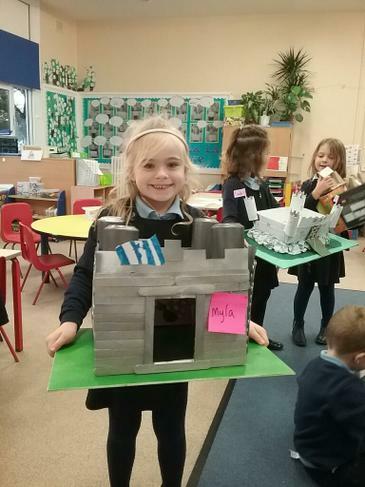 We have had such an amazing term learning about castles and the life of the people that lived inside them. 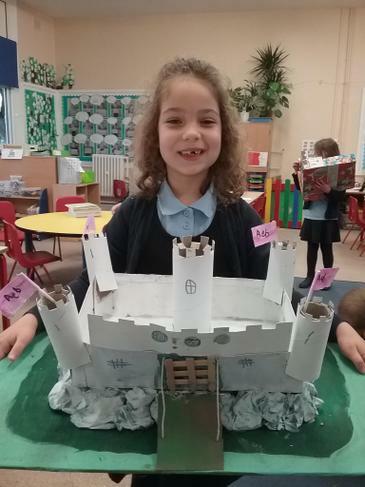 The children have learnt about the different people that lived in castles and the jobs that they did. 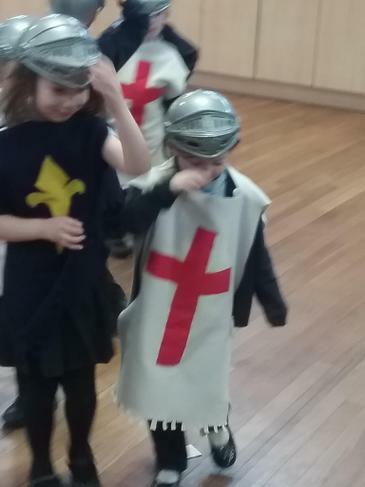 We also learnt about William the Conqueror and the Normans. 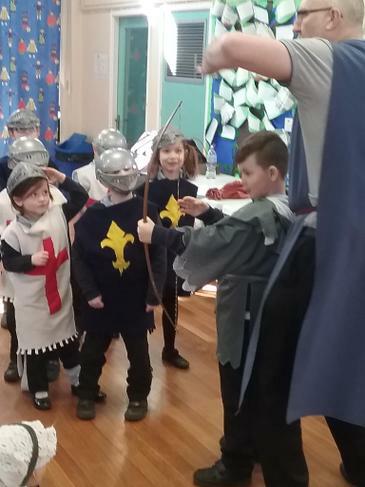 We learnt how William's army invaded England, defeated King Harold's army and killed King Harold. 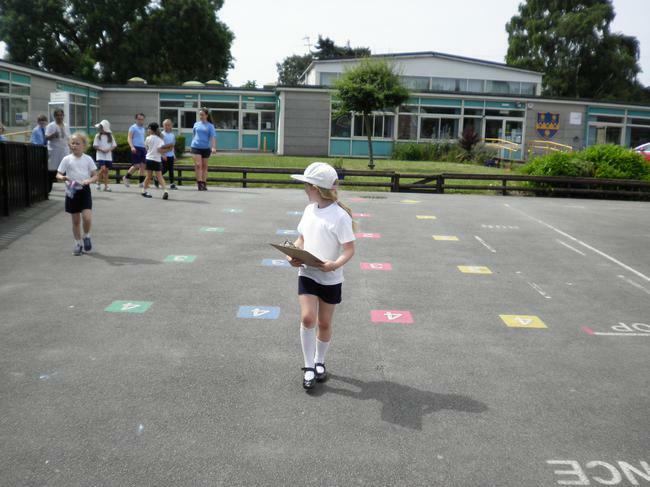 In Key Stage 1 we have started our new topic; Curious about Calverton. 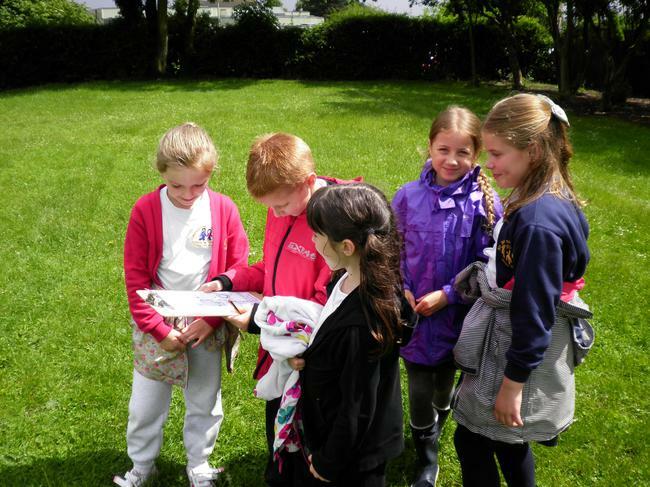 The children have been investigating their own village through the character Binky Bear. 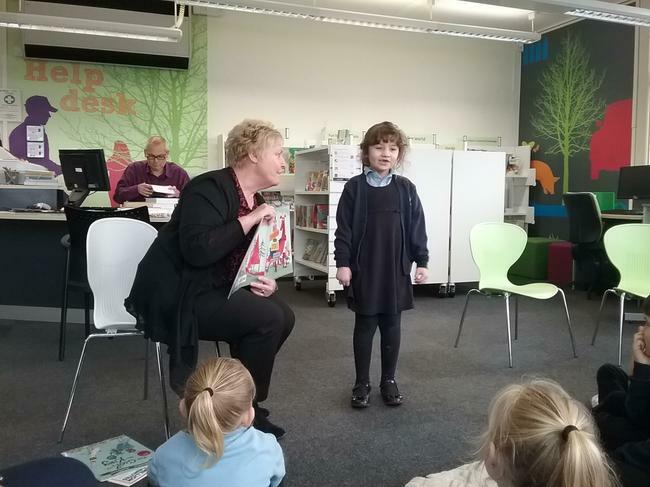 Binky Bear is a character from the book Binky Bear's Big Adventure by Moira Blackwell. 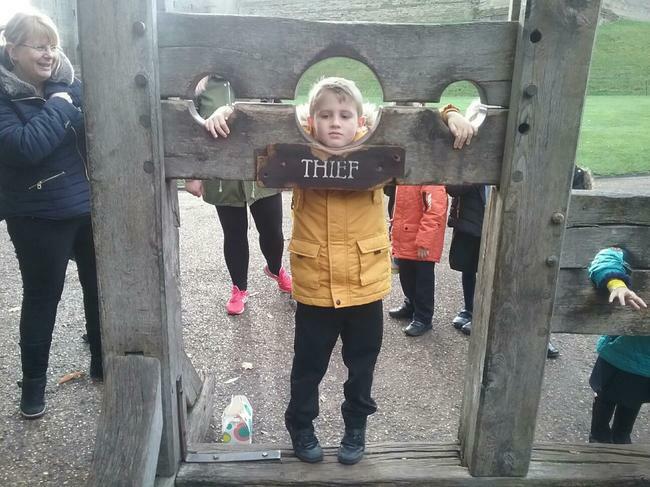 Binky travels around Alresford and unfortunately gets himself into terrible danger. 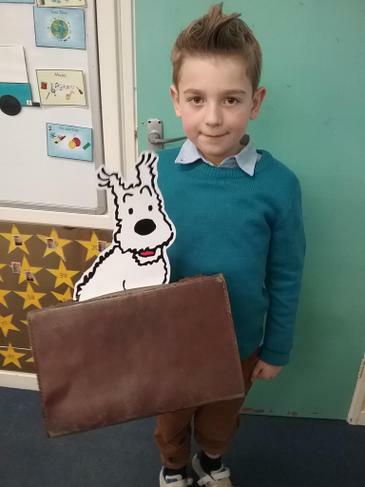 Fortunately he is saved by an enormous dog and reunited with his owner Katy. 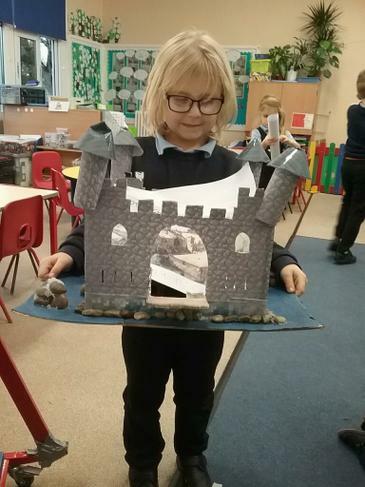 The children have enjoyed placing Binky Bear around Calverton and they have used their imagination to construct potentially dangerous situations that Binky needs to overcome. 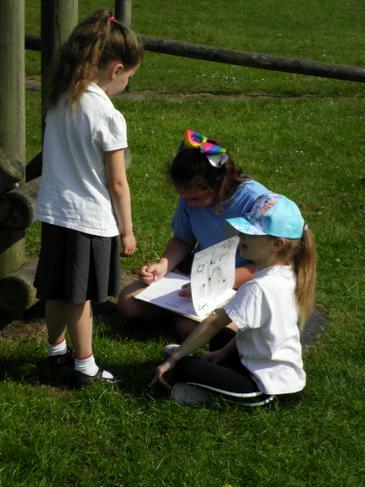 The children will begin writing their new Binky Bear stories soon, so look out for the new adventures on this web page. 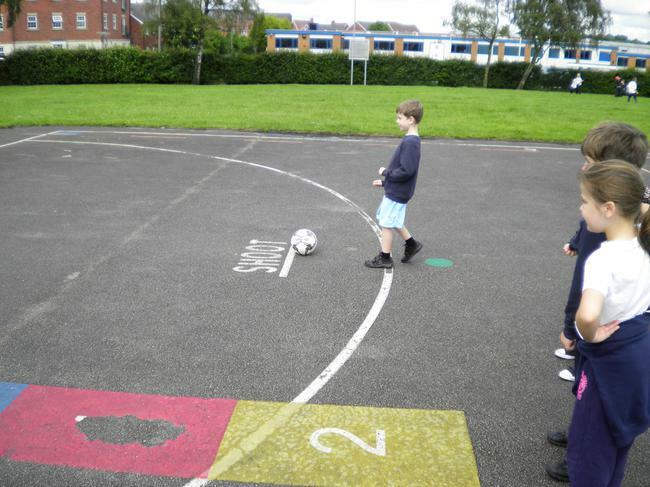 Should you be going in there Binky? 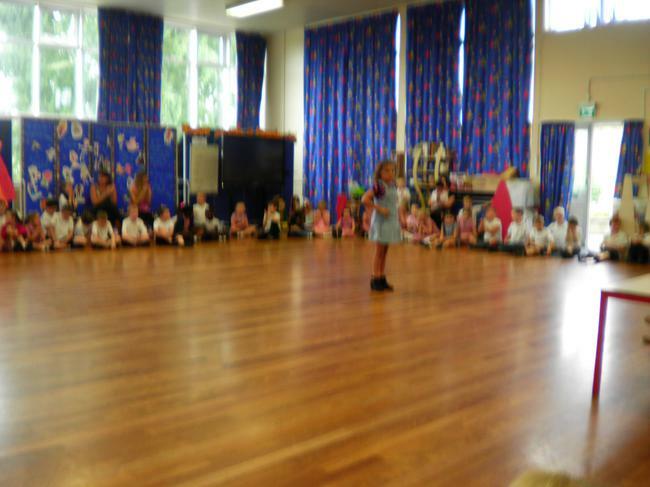 On the last day of term, we finished our space topic with a sixties disco. 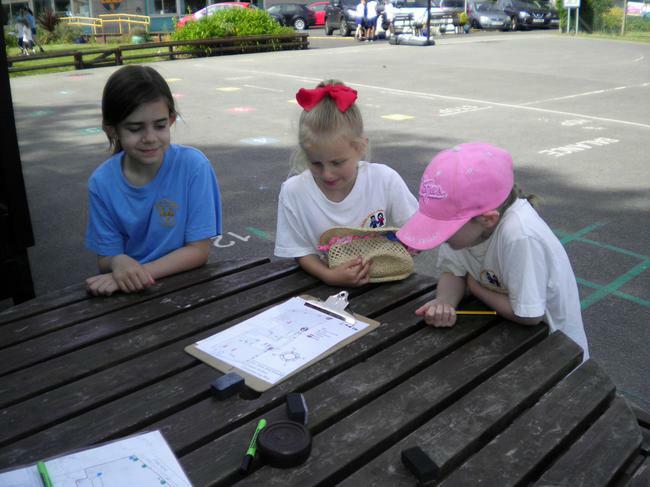 The children dressed up in sixties clothing and wore sixties accessories that they had researched and made in class. 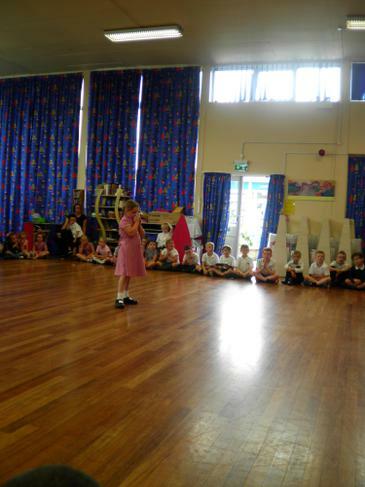 All the children also wore a piece of tie-dyed clothing that they had made. 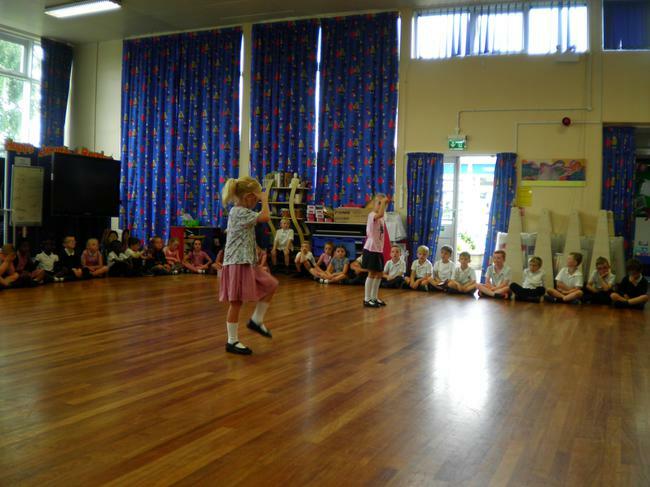 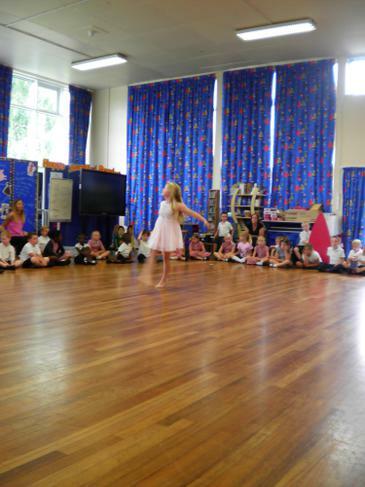 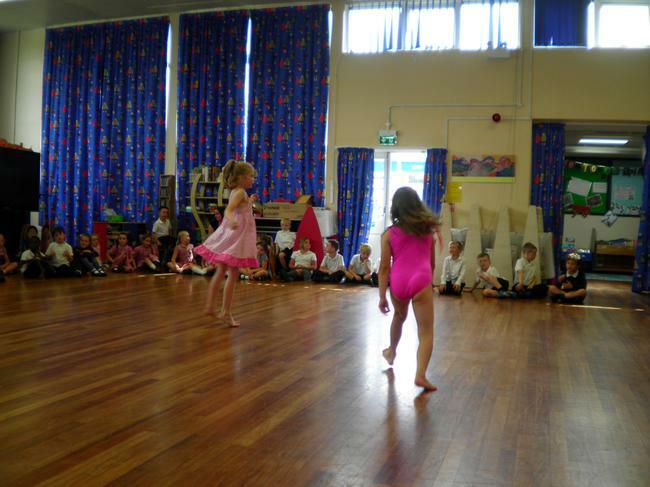 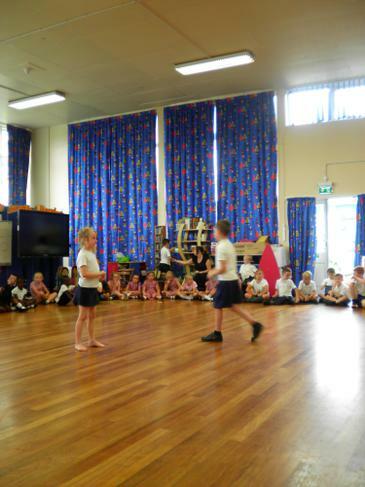 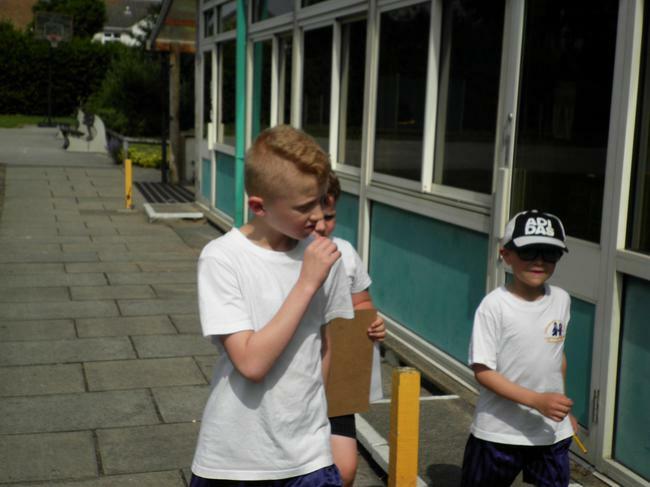 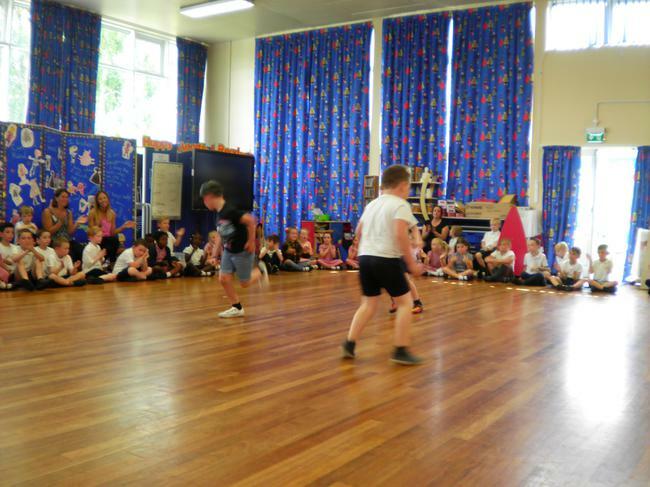 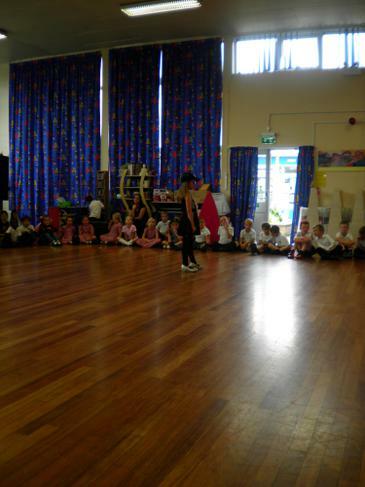 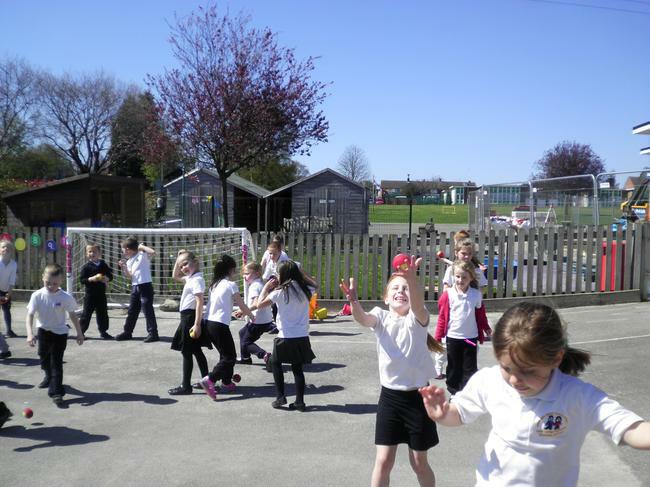 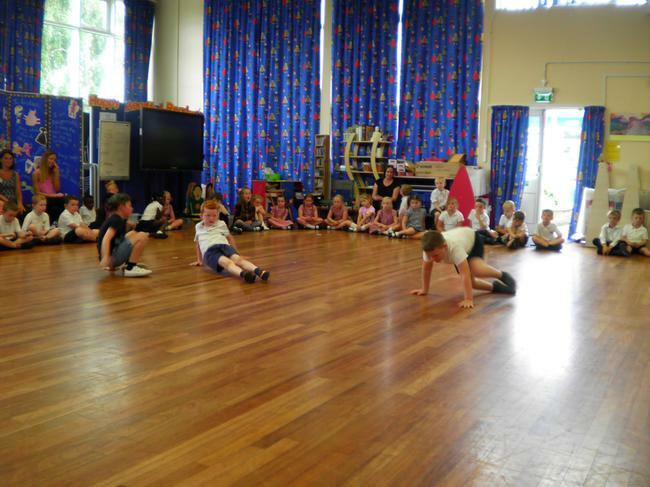 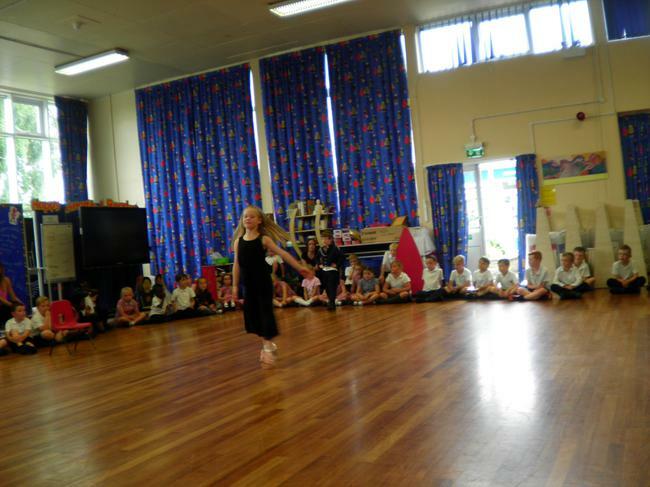 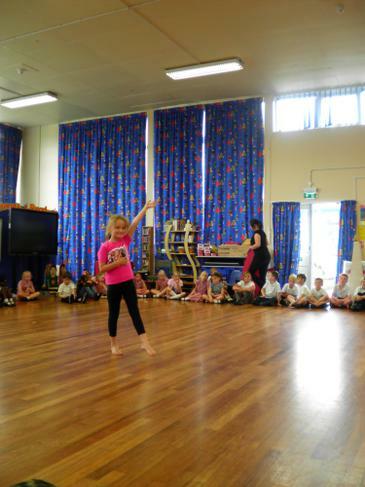 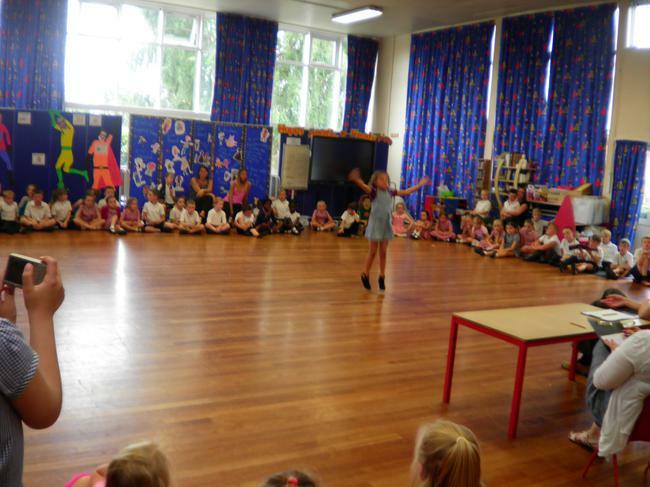 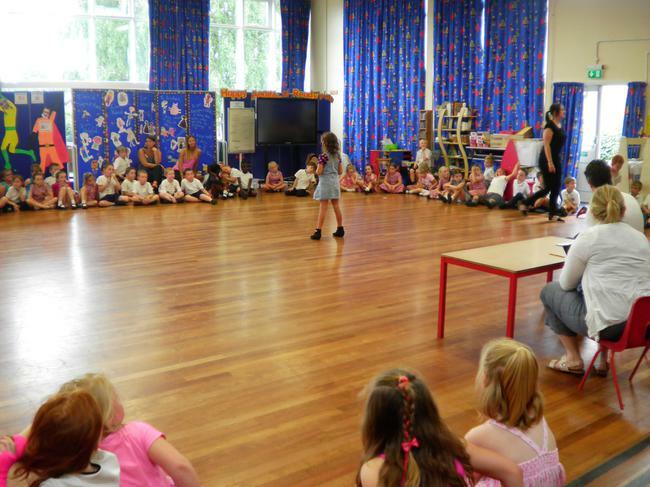 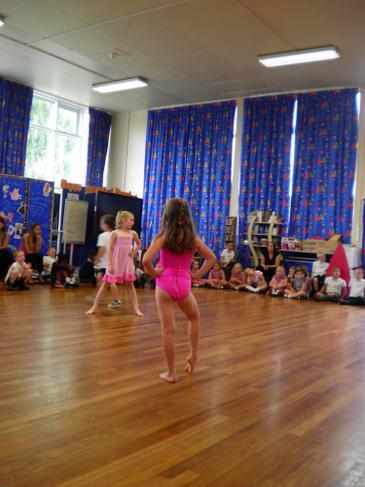 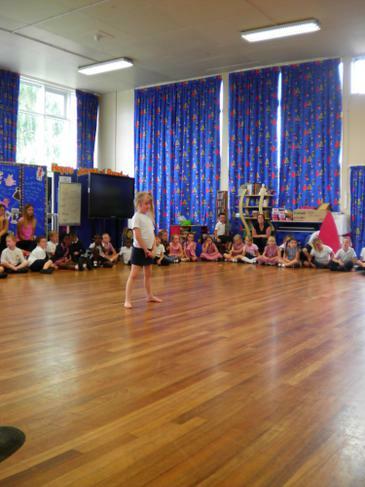 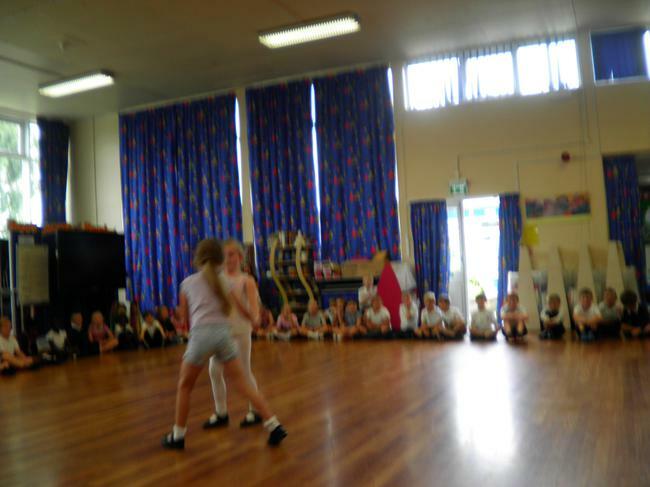 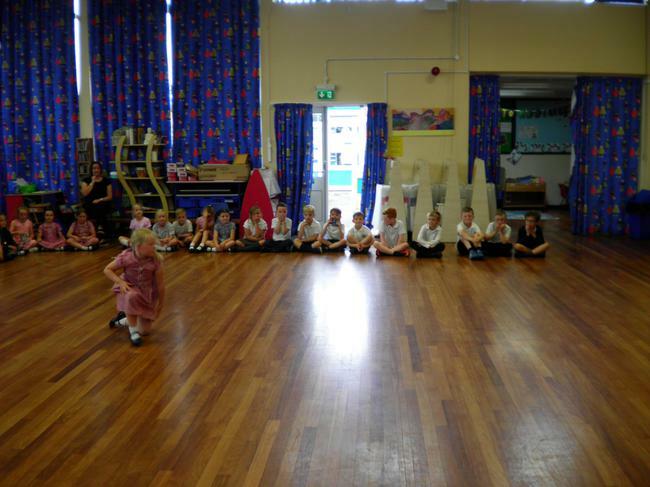 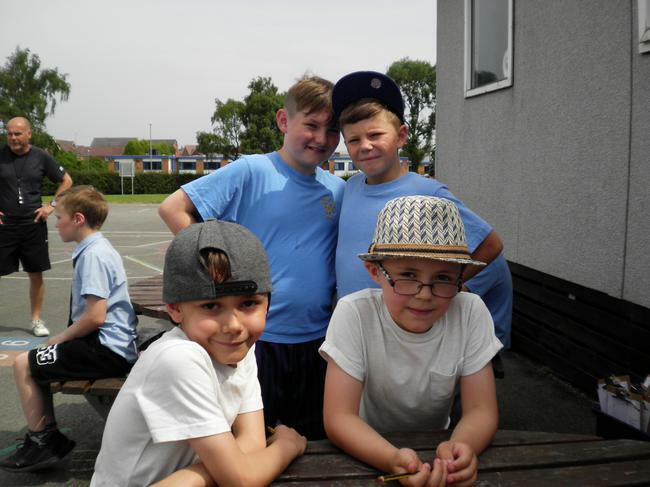 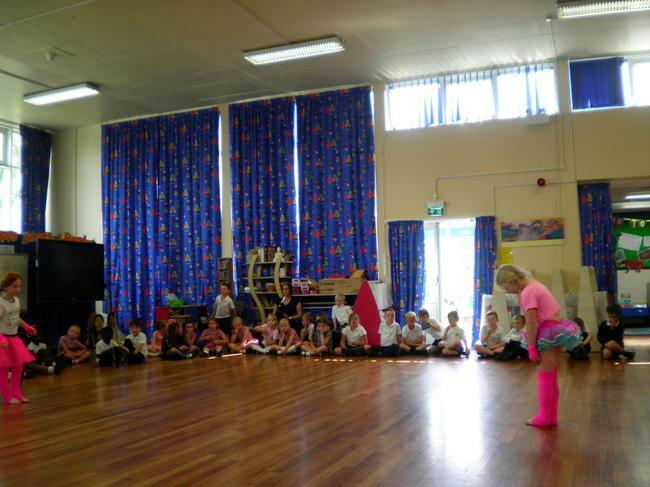 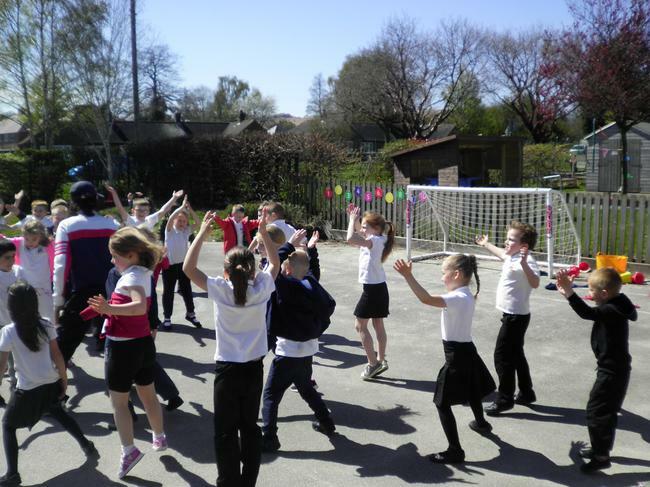 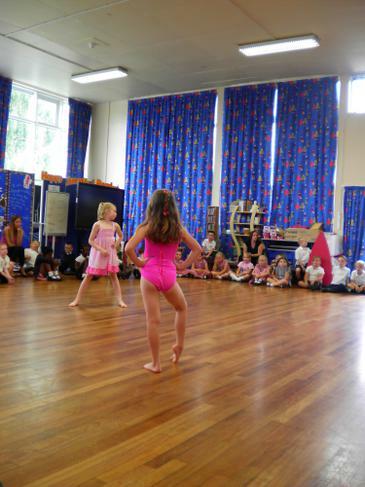 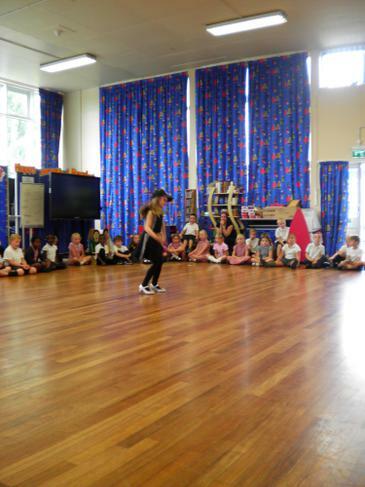 The children used some dance moves that they had learnt in P.E and danced around the hall to sixties music. 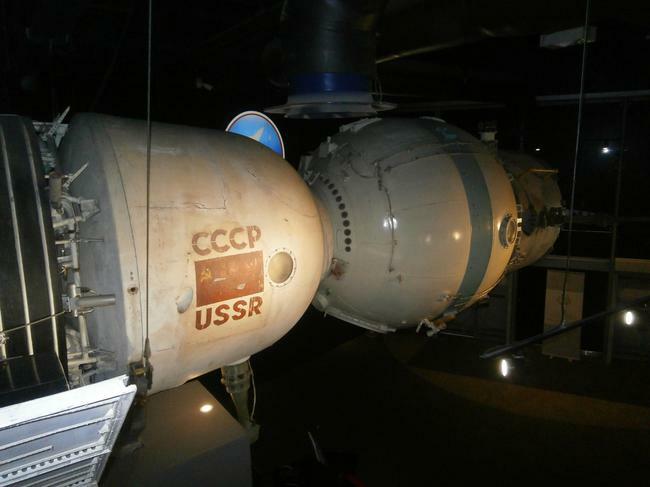 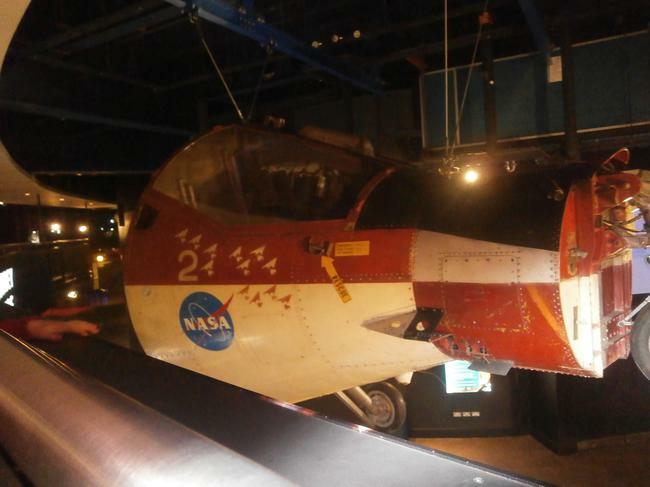 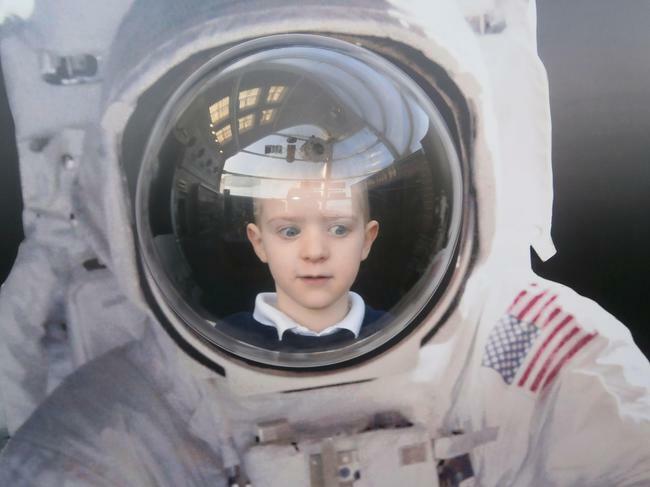 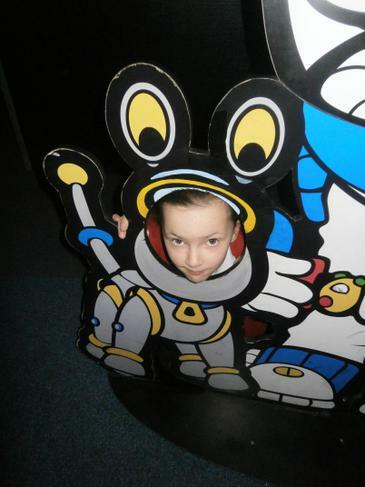 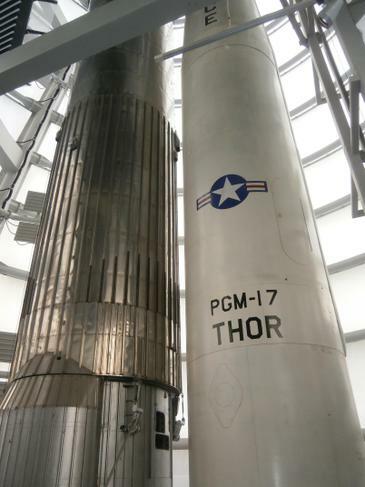 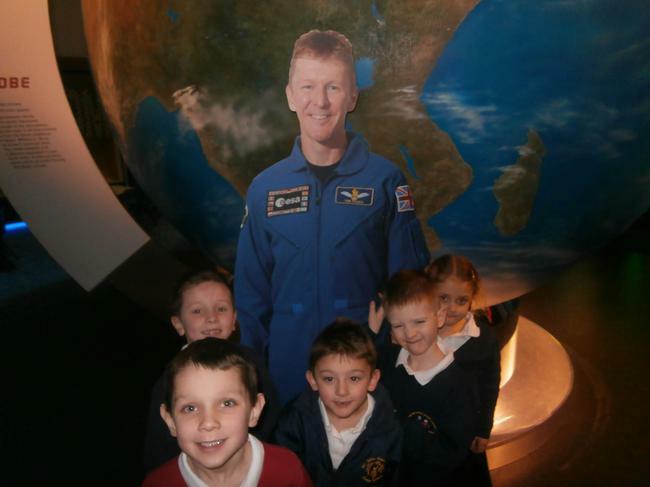 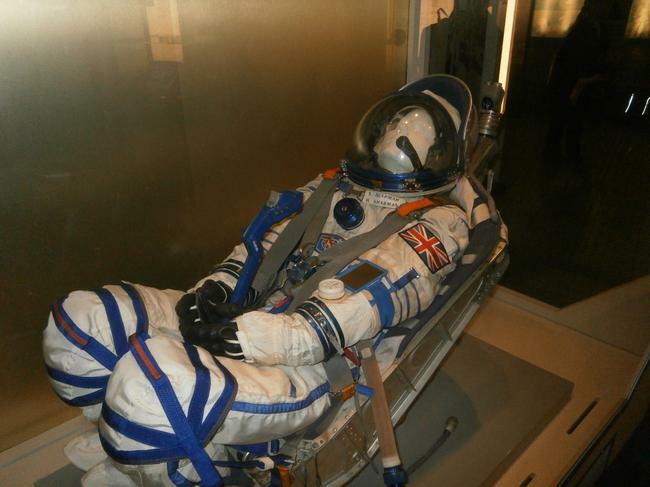 On the 2nd February 2016 year 1 and 2 went to the National Space Centre in Leicester. 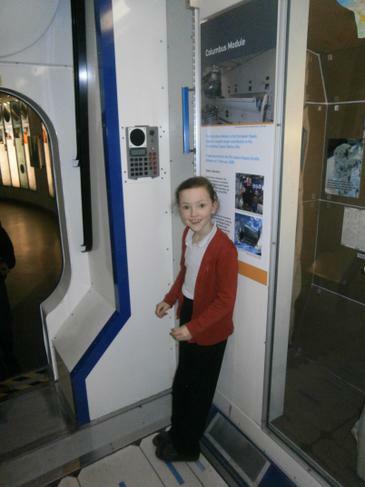 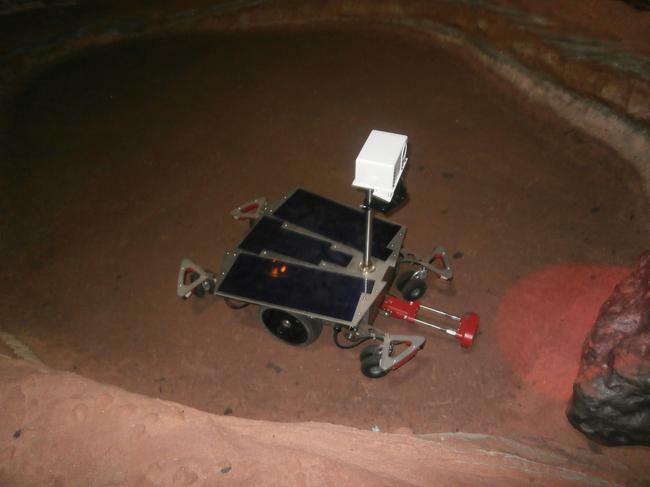 We learnt lots of information about space and even managed to steer space robots, mine for rocks and present the weather! 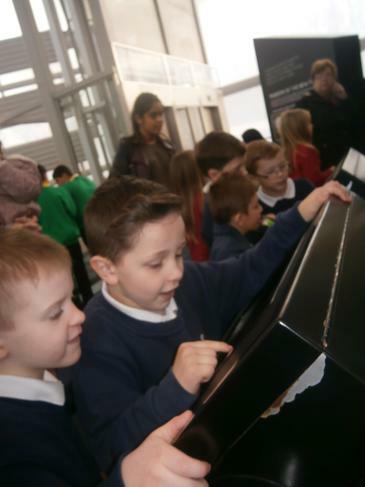 We loved learning about 'Night and Day' and the stars in the Planetarium. 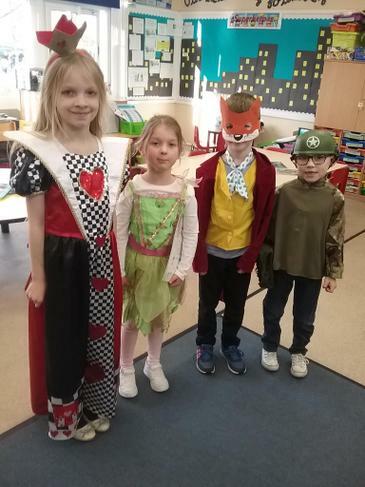 We even dressed up like astronauts! 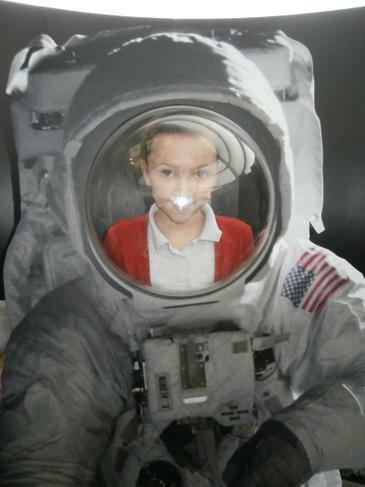 We love our space topic! 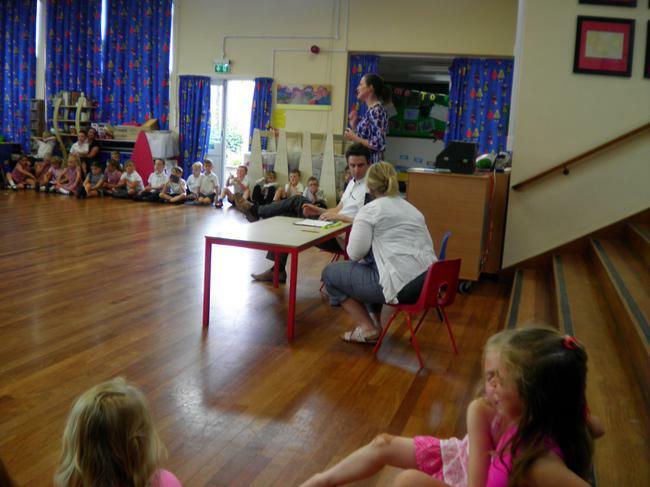 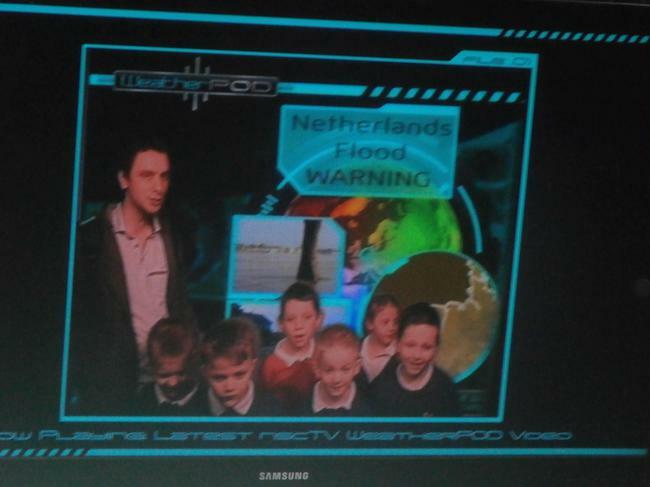 Since the space rocket landed in the school hall the children have been totally in grossed in the topic. 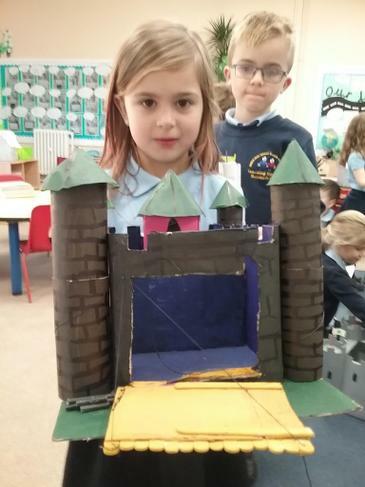 As part of our topic on materials and space we set the children a challenge to make a strong structure out of flimsy A3 paper. 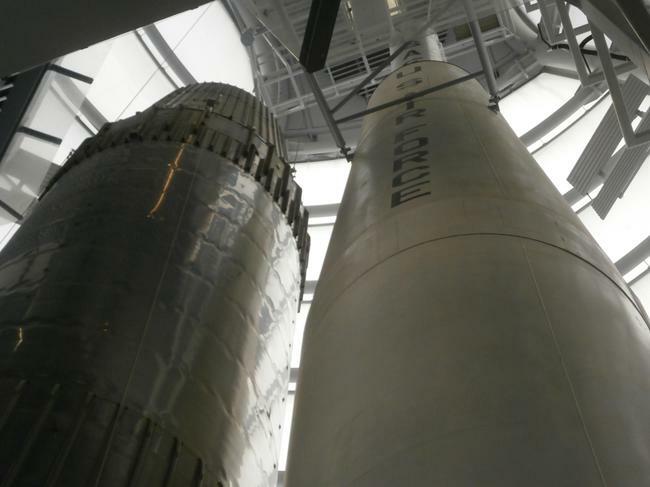 The structure will go into a rocket and then into space, so the structure had to be light weight and able to hold a heavy space manual. 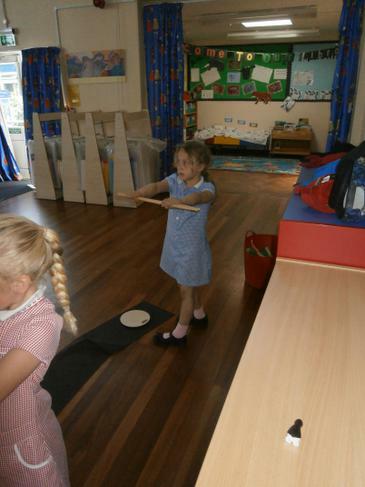 The children were allowed to bend, twist, squash, stretch and cut the paper to make their structures. 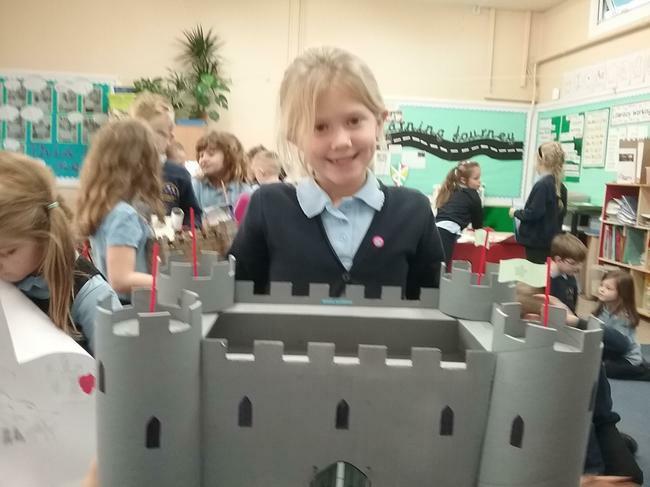 The children really rose to the challenge and many successful structures were made. 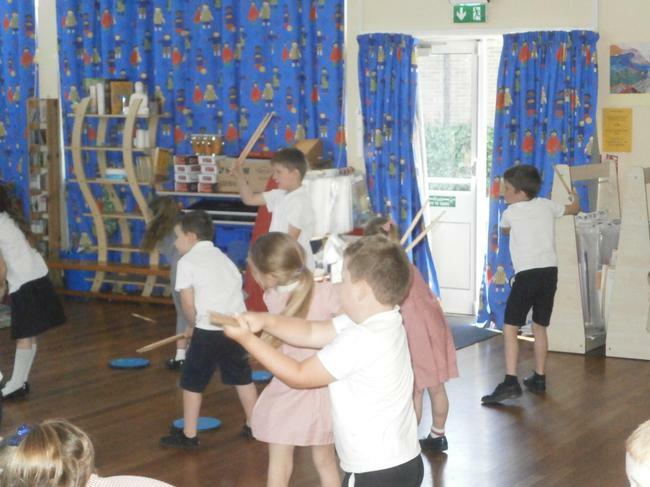 The children found out that by bending the paper and making columns or tubes they could make a really strong structure which could easily hold the weight of a space manual. 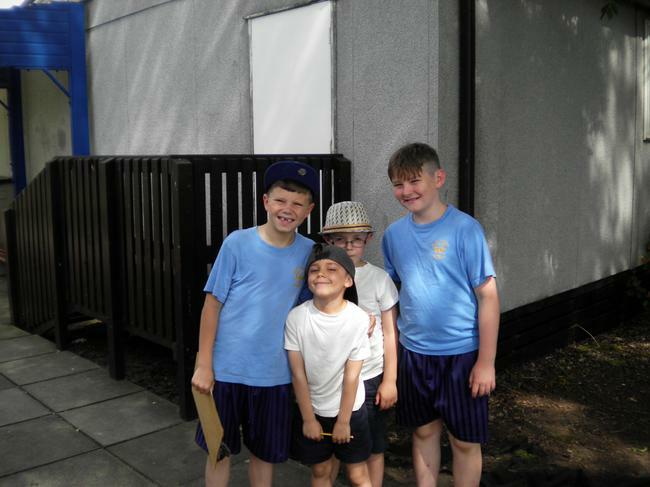 Look at the photos below! 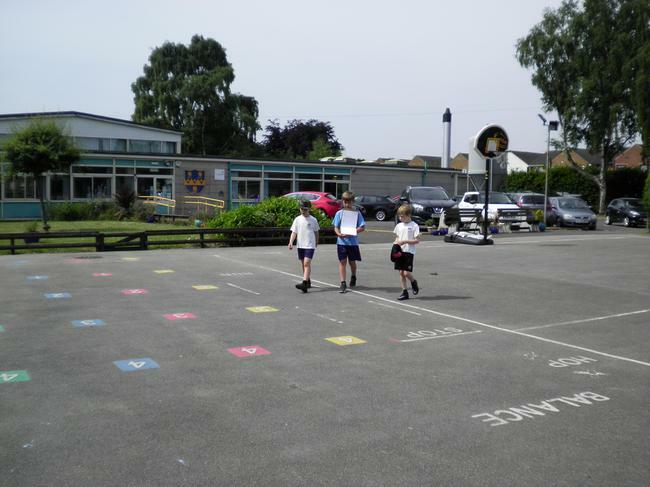 We have started our new topic, Space! 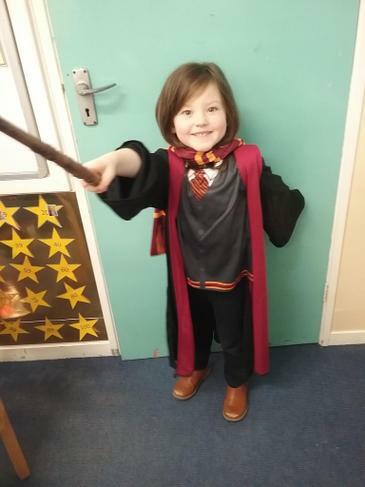 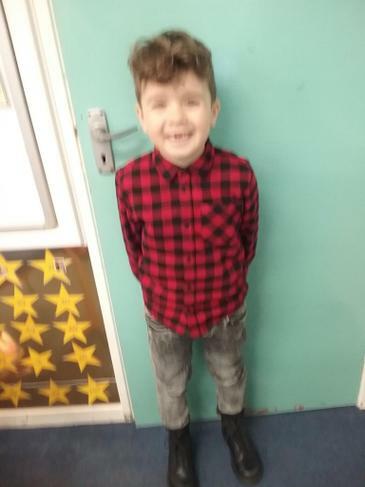 On Friday 8th January an amazing thing happened in the school hall. 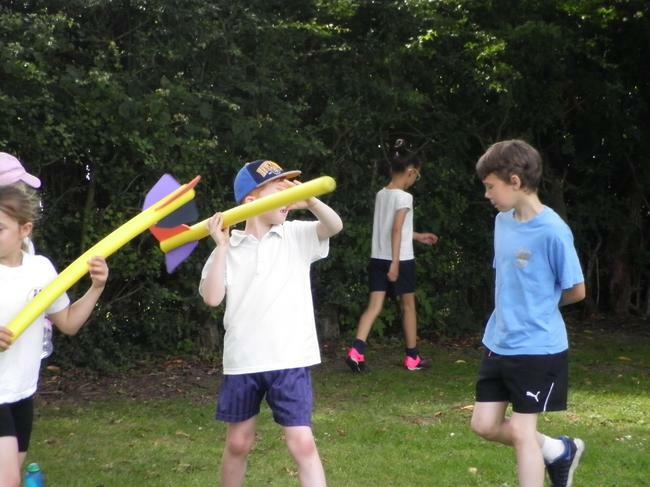 A massive space rocket arrived and none of the children knew where it had come from. 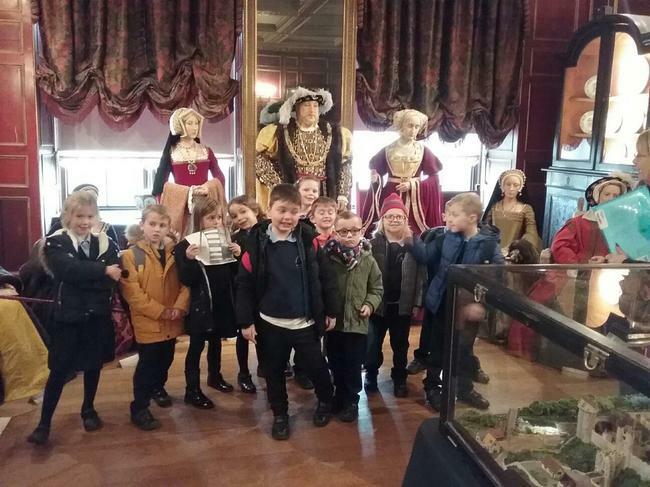 Lots of the children were asking questions like, What is it?, Where has it come from?, Who owns it? 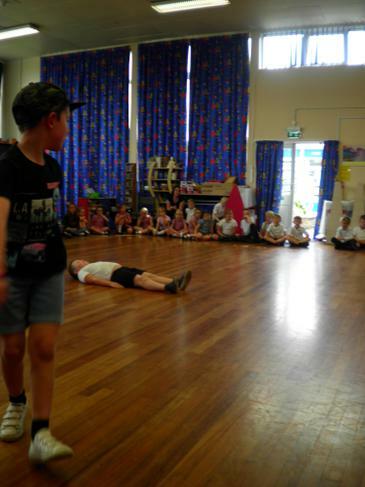 and how did it get into the hall? 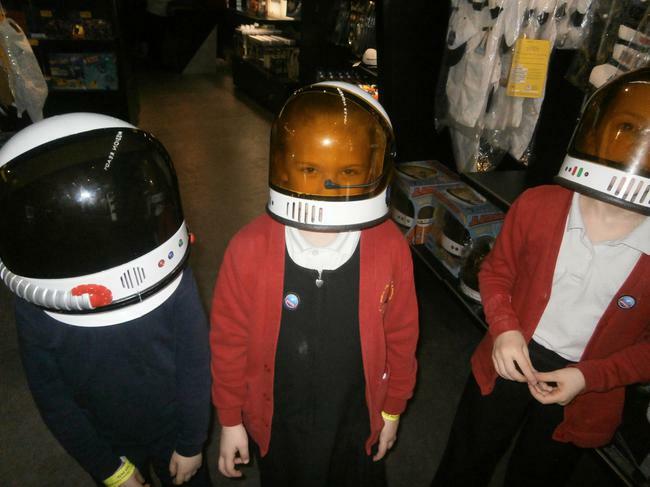 Around the rocket was lots of other things like a space suit, space helmet and a space manual. 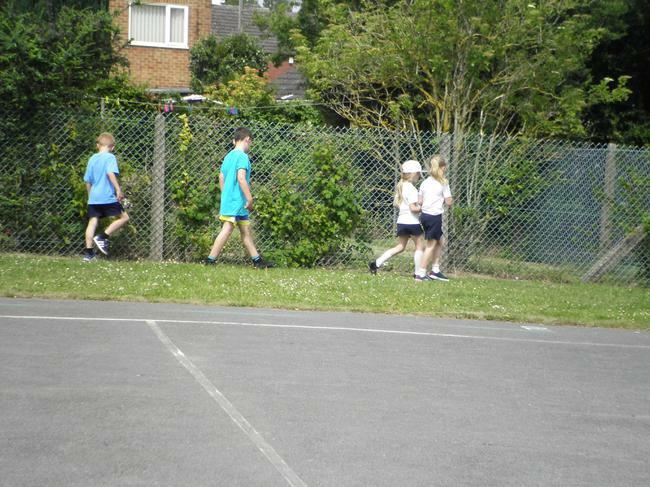 There was even a flashing yellow light. 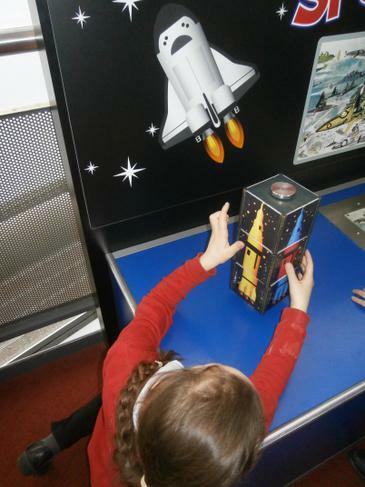 The children will find out more about the rocket and space and we will update this page when we know some more! 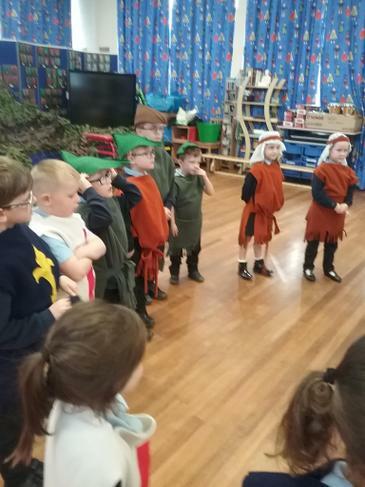 The shepherds searched for baby Jesus. 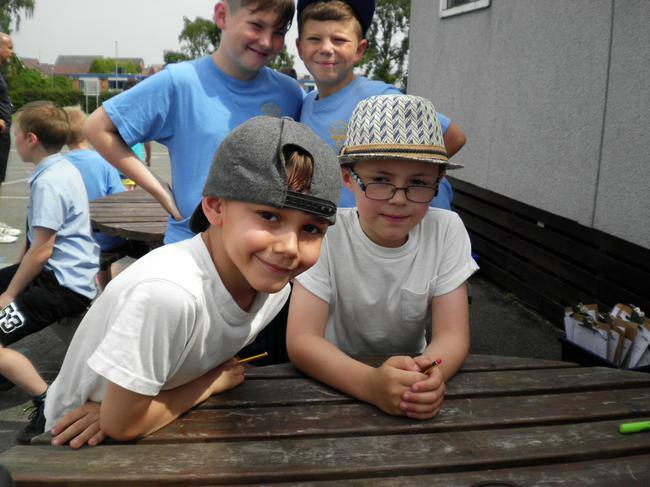 We continue to have a fantastic term. 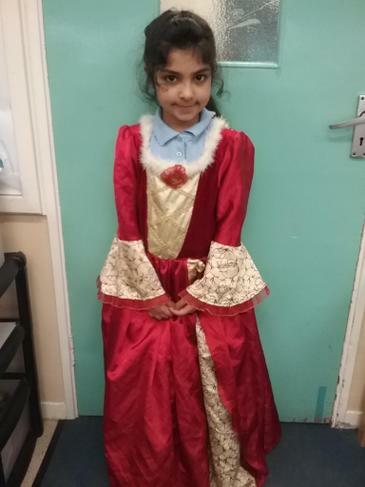 In Key Stage 1 we have been learning about Africa, Guy Fawkes and Diwali. 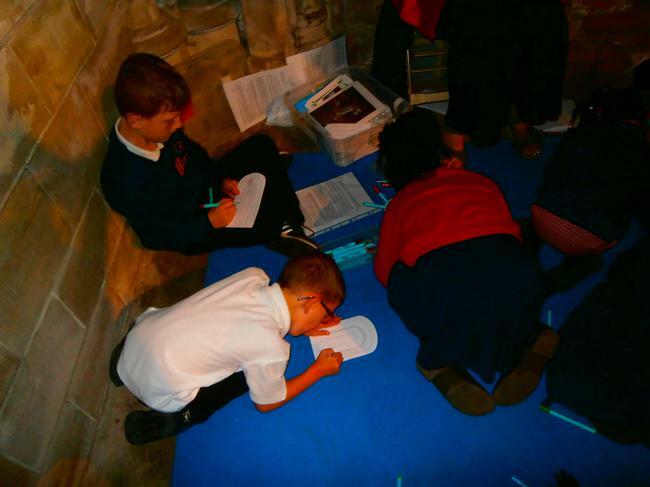 The children really enjoyed learning about Guy Fawkes and used secondary resources to research him. 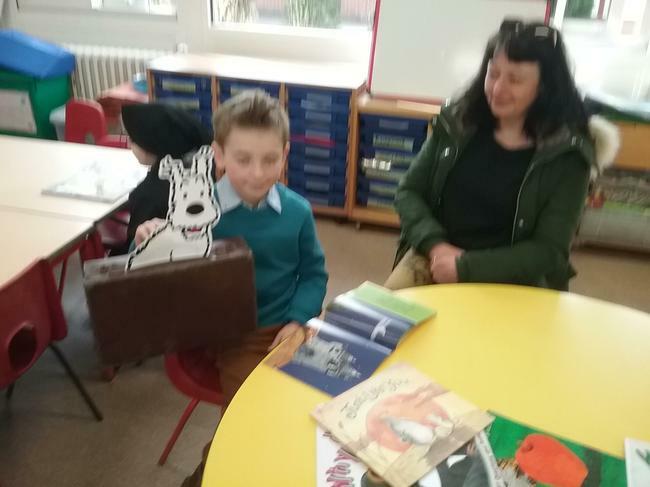 They even met him in real life and asked him some of their own questions. 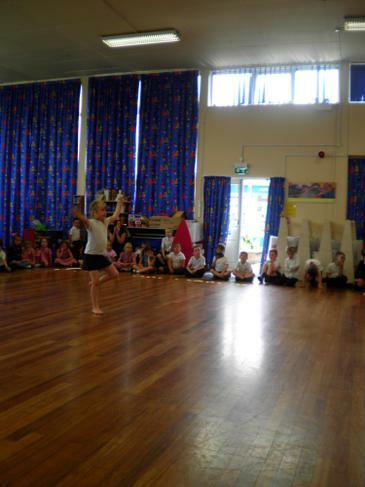 The children also learnt about Diwali; the festival of lights. 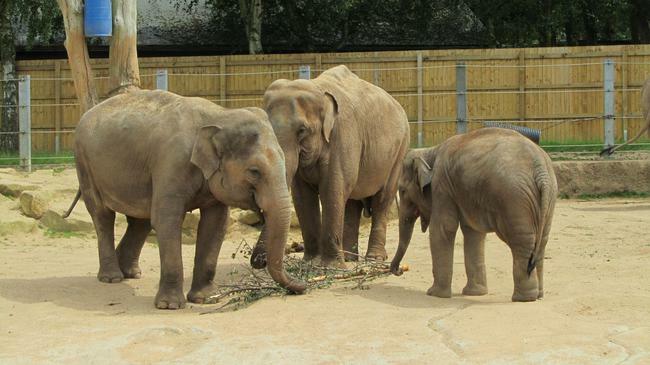 This is a very important Hindu festival celebrated all over the world and is India's most important holiday. 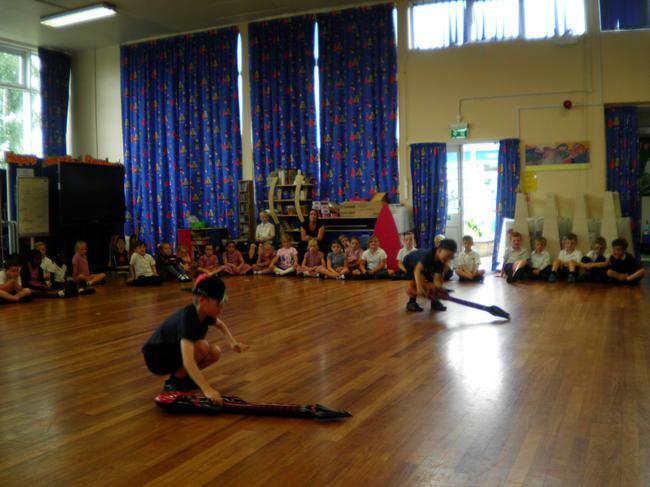 The festival celebrates the start of a New Year. 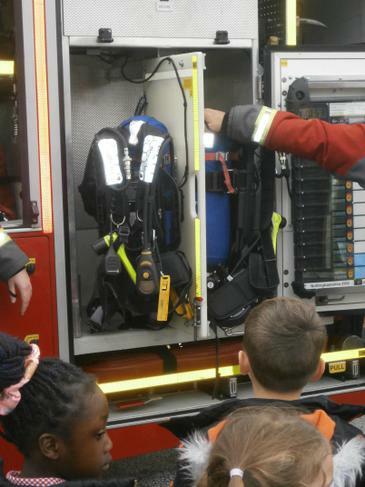 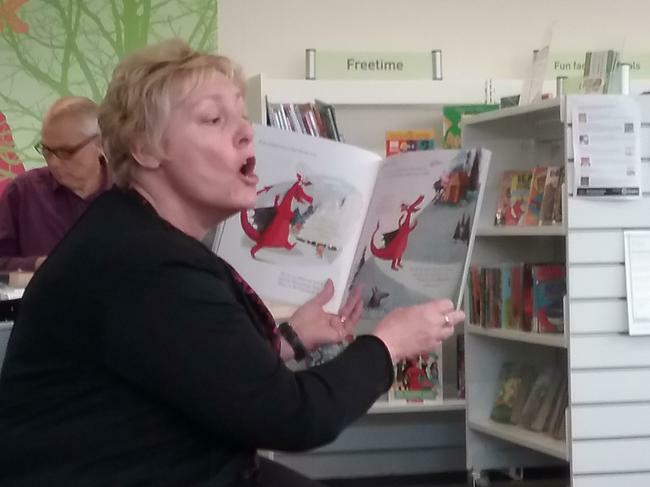 On Wednesday the 9th September 2015 Guy, Harold and the Life Education bus visited Manor Park. 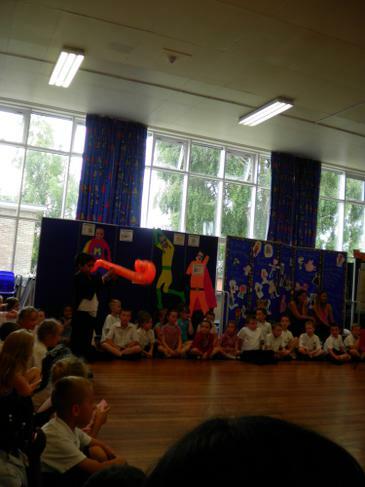 Harold, the giraffe, helped by Guy told us how to live happy healthy lives. 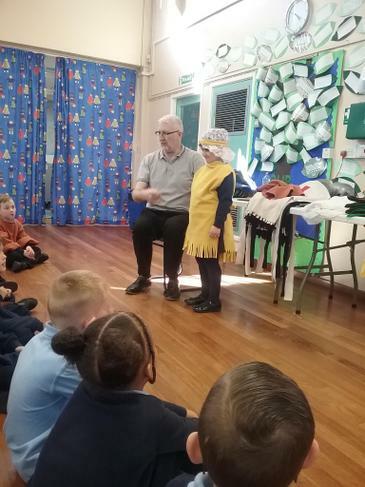 Harold taught us about our bodies and what food we can eat to stay healthy. 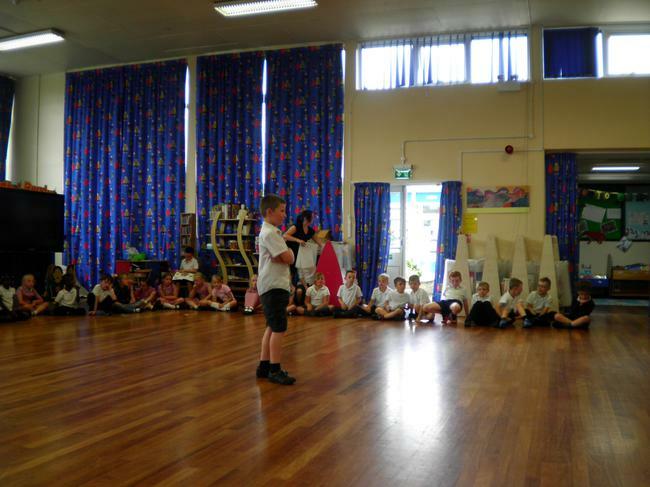 Harold also told us about how to make friends and manage our feelings. 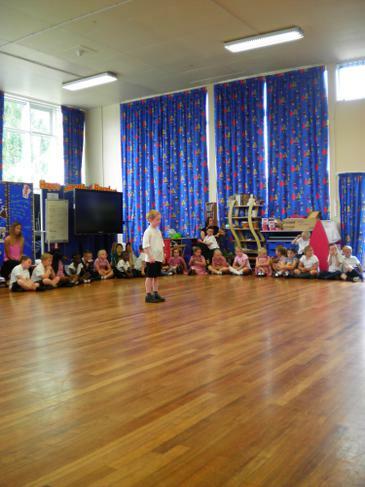 All the children really enjoyed meeting Harold and learning lots of new things. 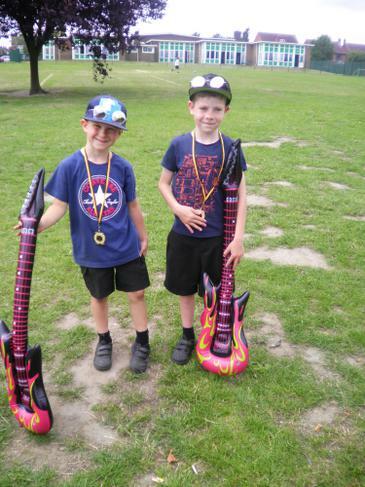 During the Summer Term, we teamed up with Taylor Wimpey to launch a competition to sing the praises of our town. 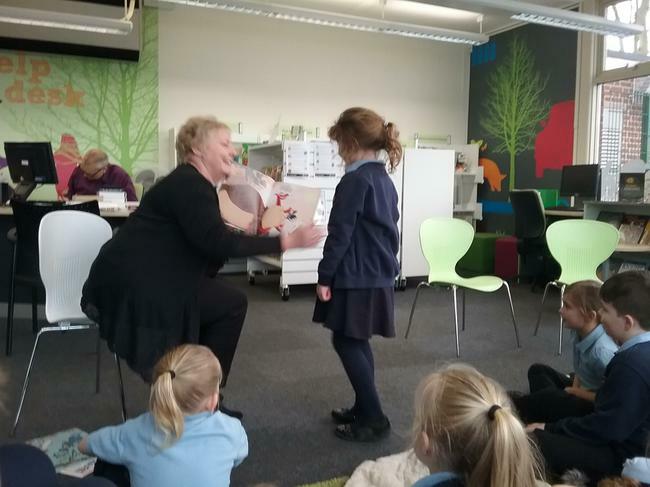 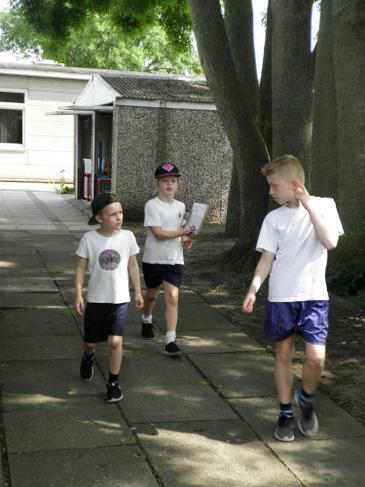 Pupils took part in the ‘What Calverton Means to Me’ challenge and were encouraged to design posters expressing their admiration for where they live and showing what makes the town great, with the winners being presented with book tokens for their efforts. 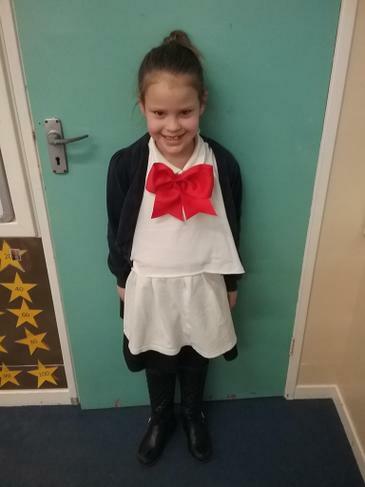 A creative entry by pupil Sienna Justice was chosen as the overall winning work of art, while the runners-up were Elliot Kincaid and Leo Green. 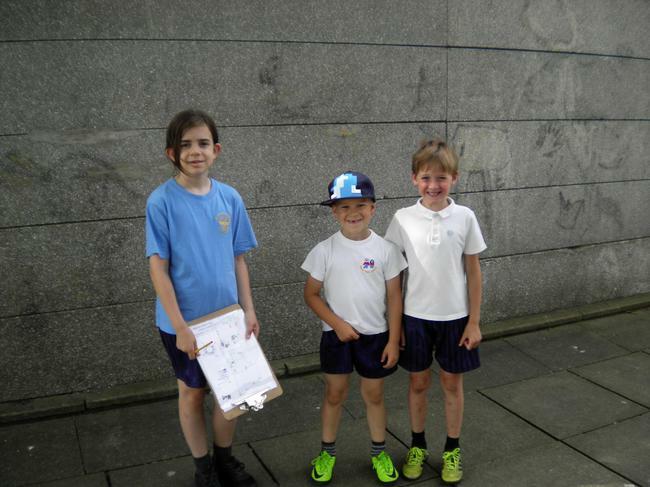 Sienna was presented with a £20 gift voucher, and runners up Elliot and Leo were awarded with £15 and £10 vouchers respectively. 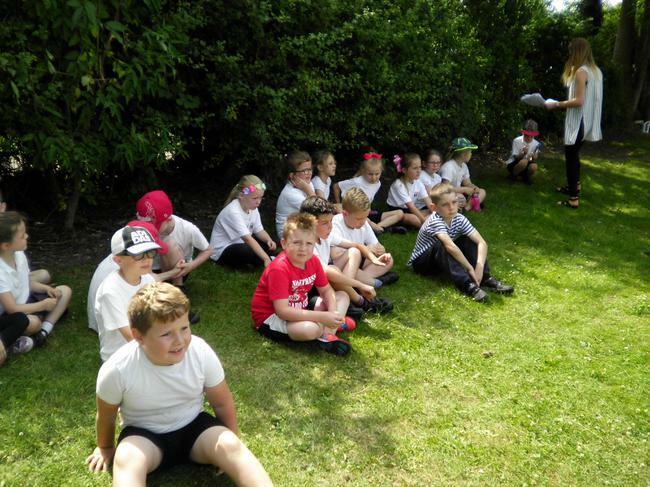 In addition to providing prizes for the winners, Taylor Wimpey also donated £300 to the School for an outside story telling area. 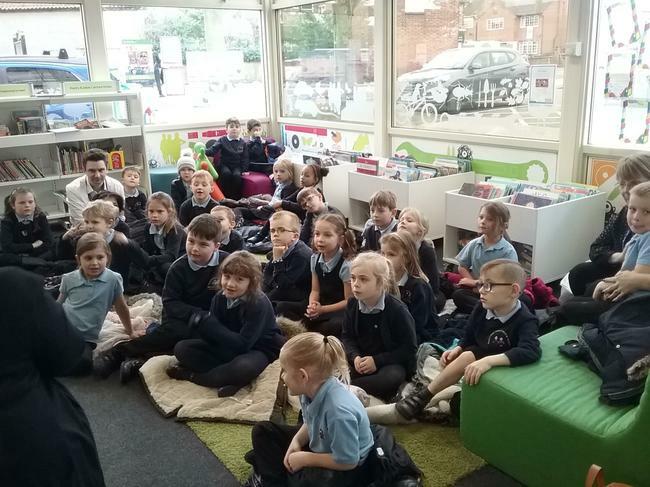 Lucie Grundy, Sales Manager for Taylor Wimpey East Midlands, said: “We already know that Calverton is a fantastic place to live – as the success of our nearby development The Brambles has shown – but the pupils from Manor Park Infant and Nursery School have really opened our eyes to even more things which make it such a great town". 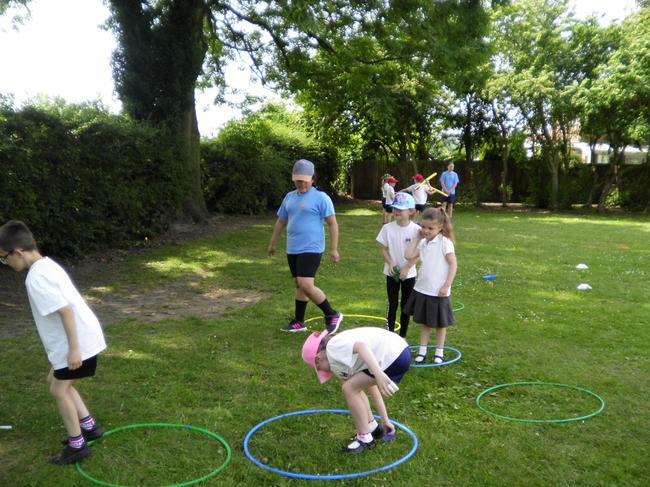 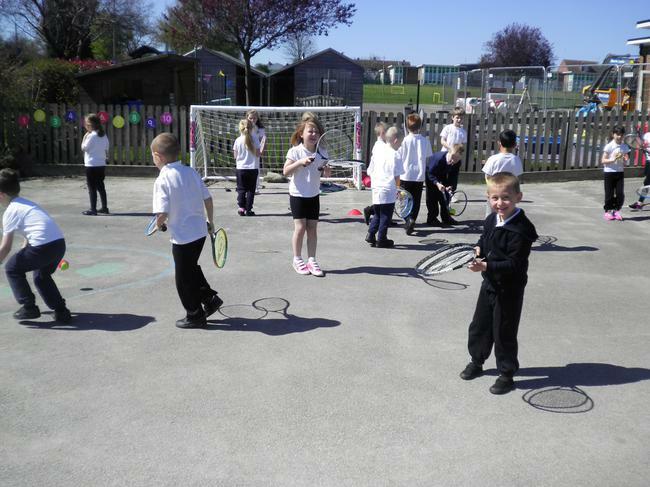 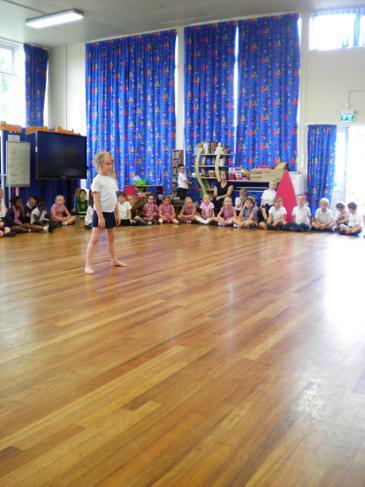 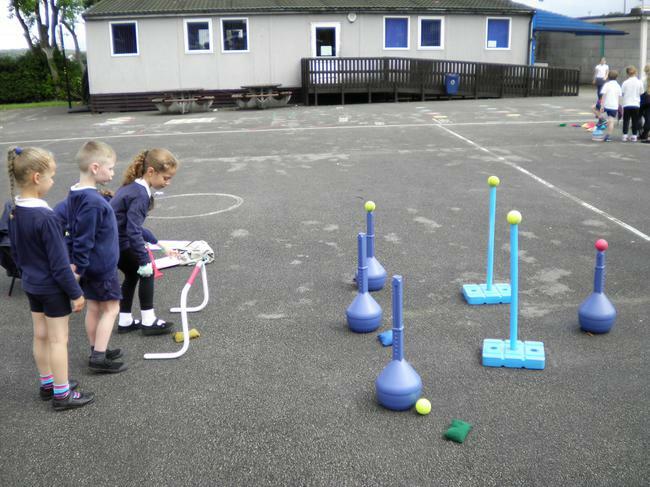 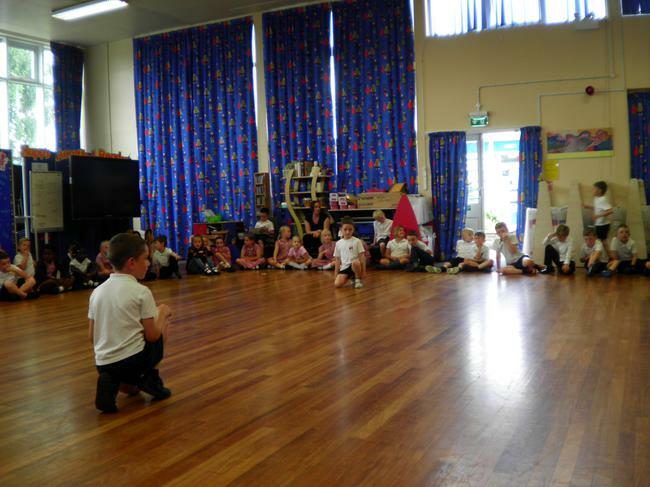 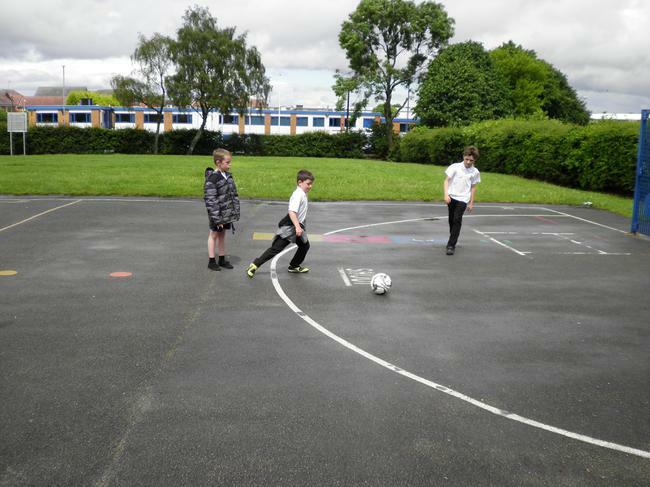 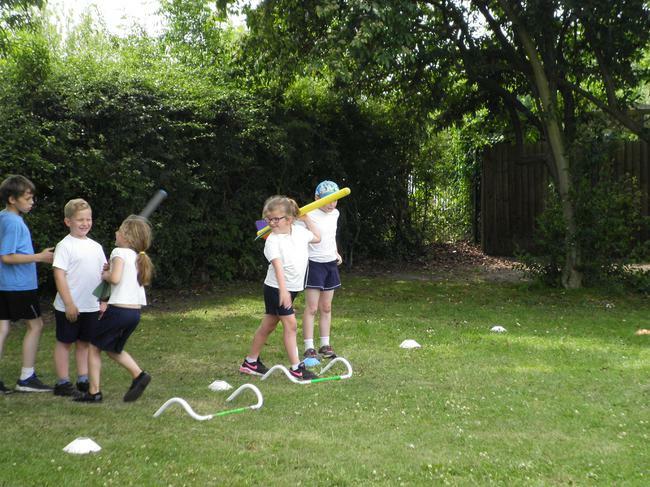 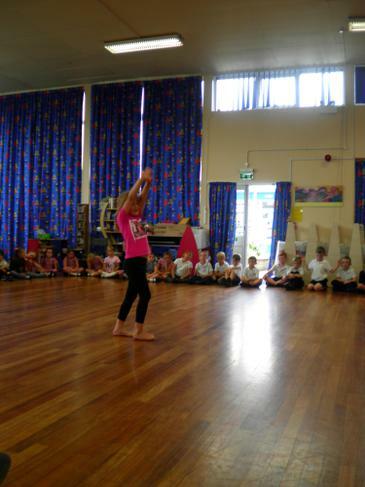 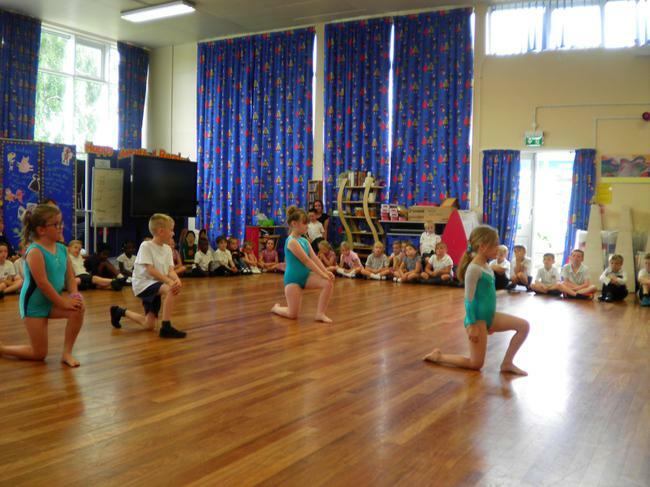 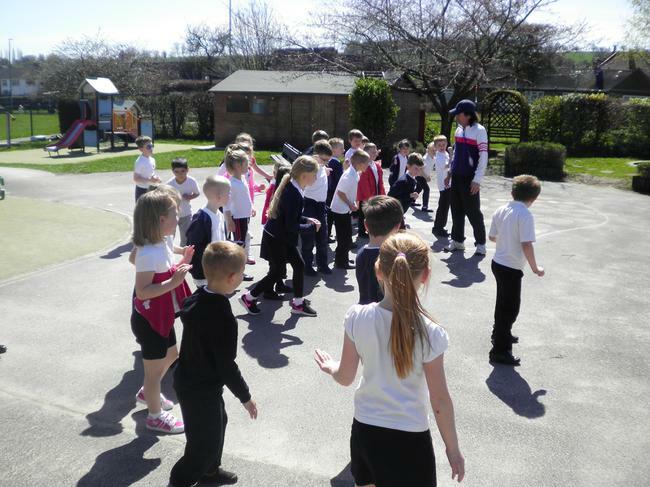 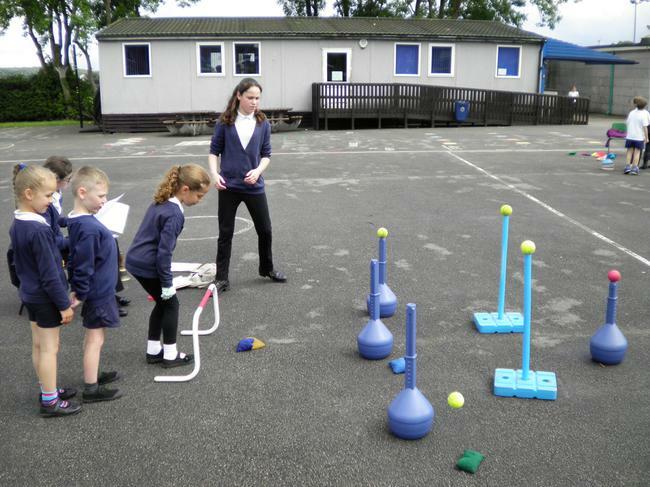 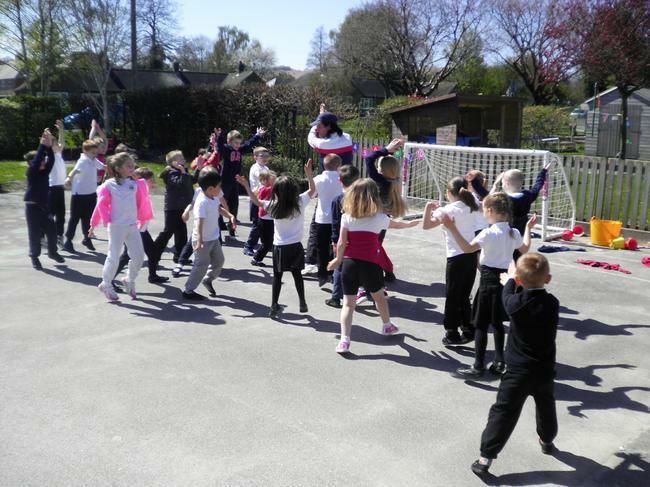 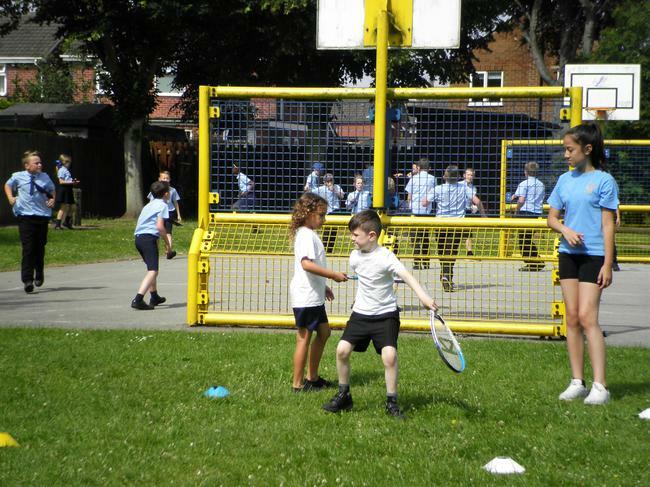 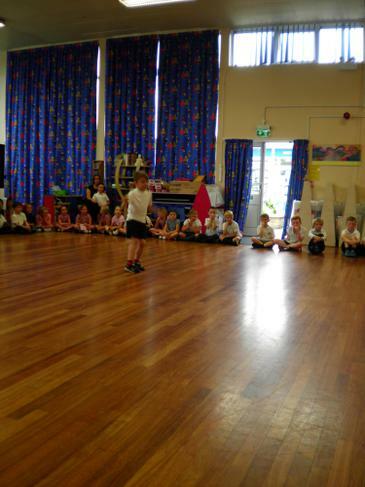 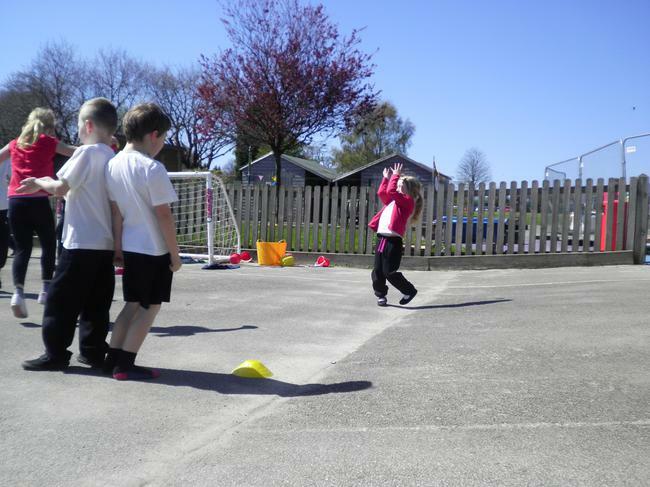 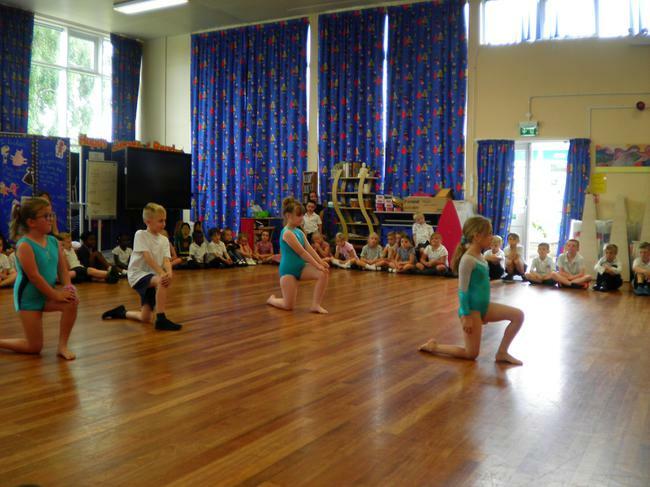 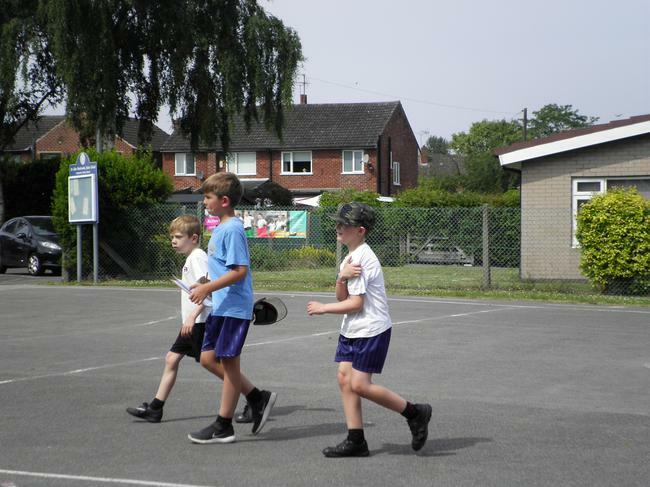 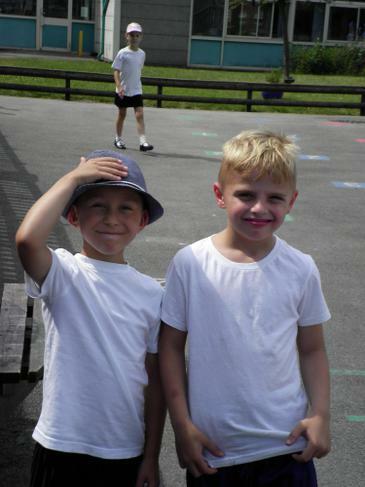 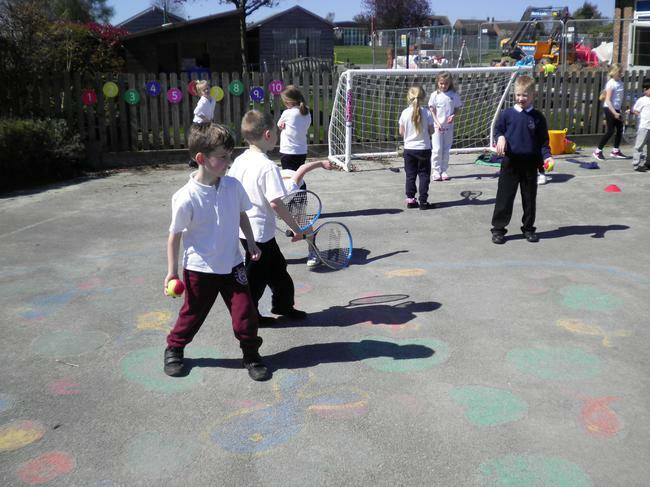 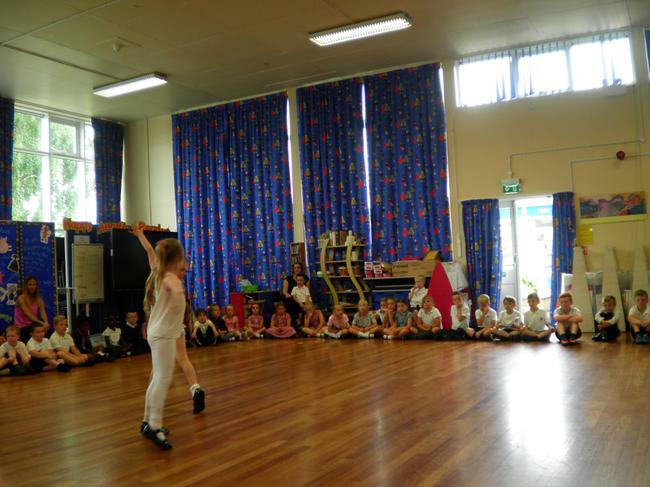 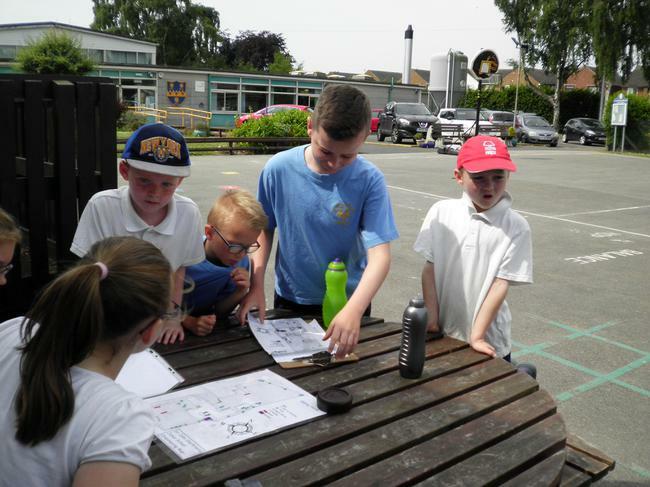 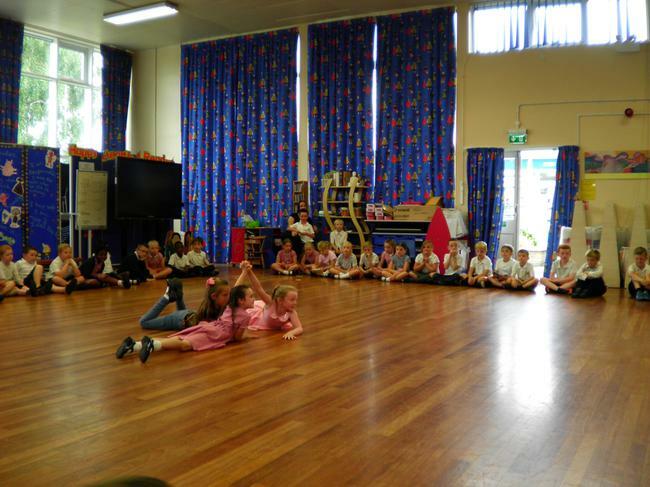 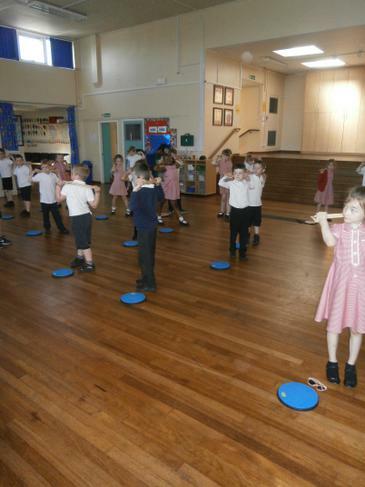 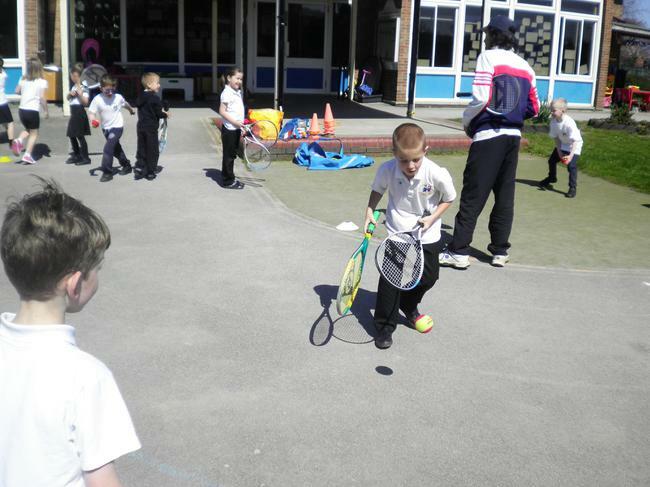 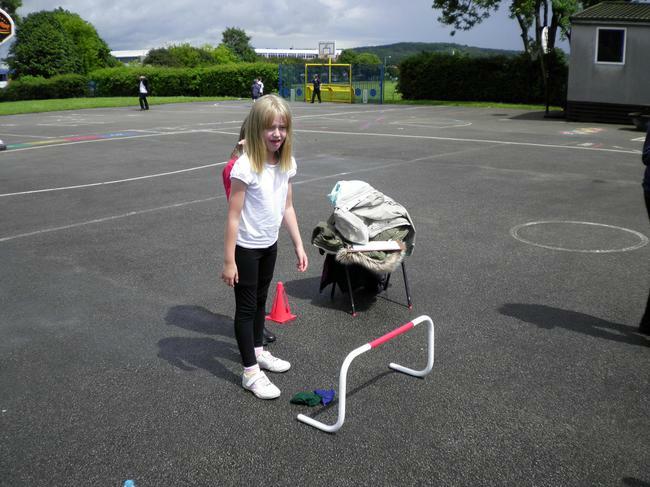 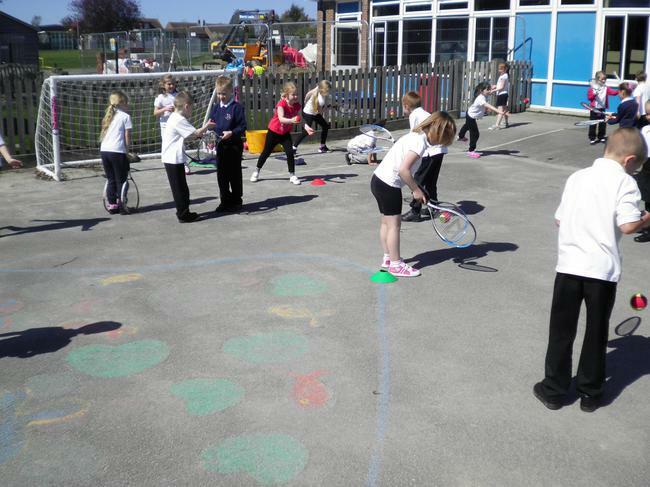 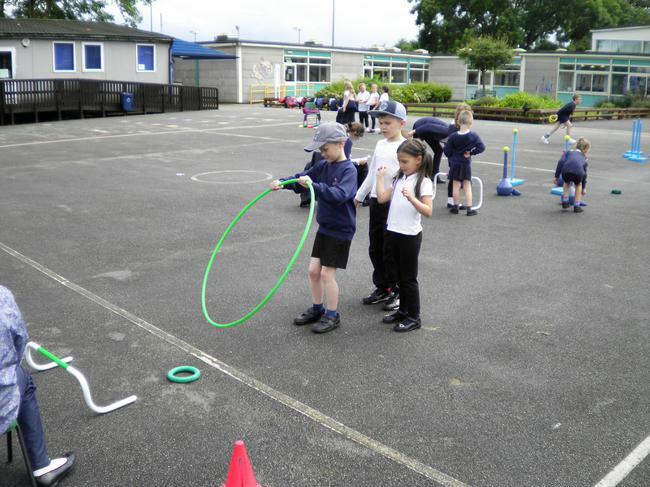 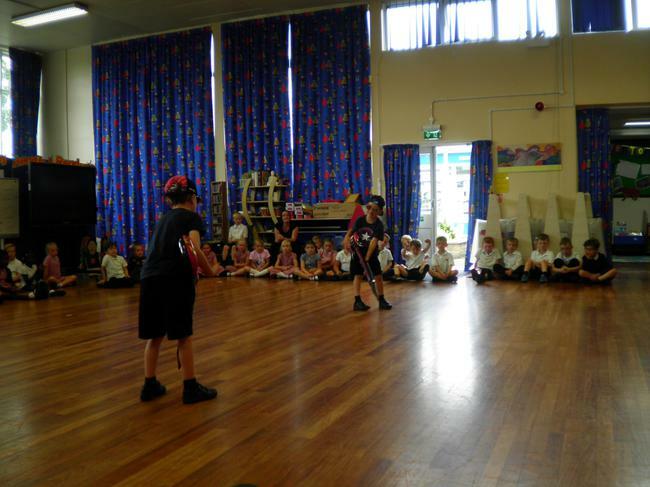 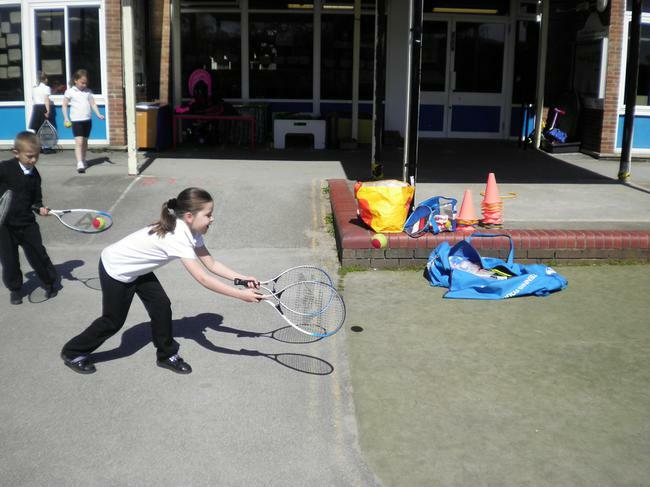 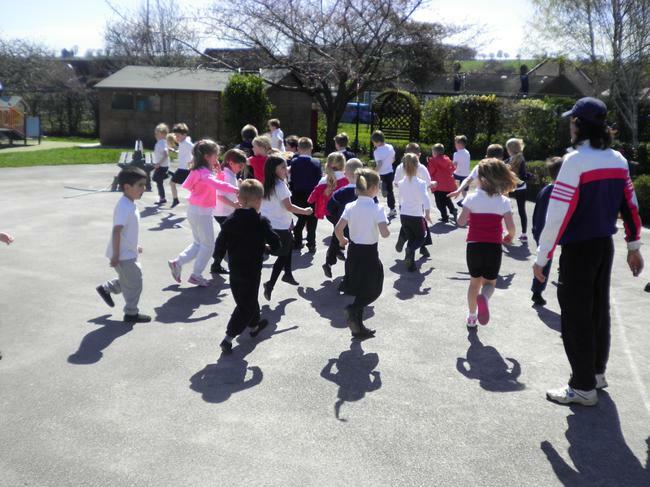 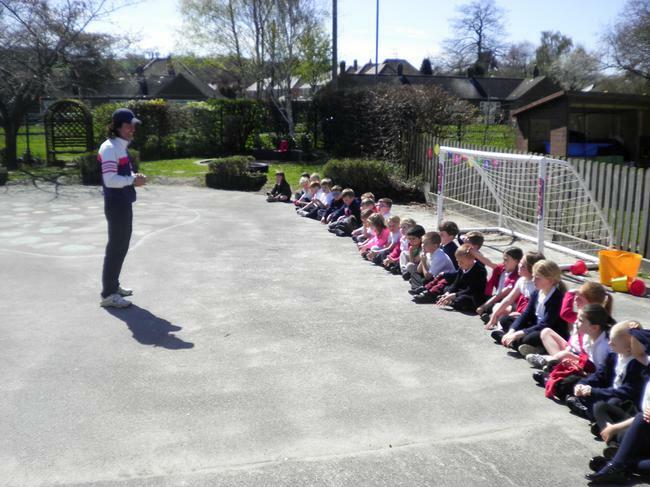 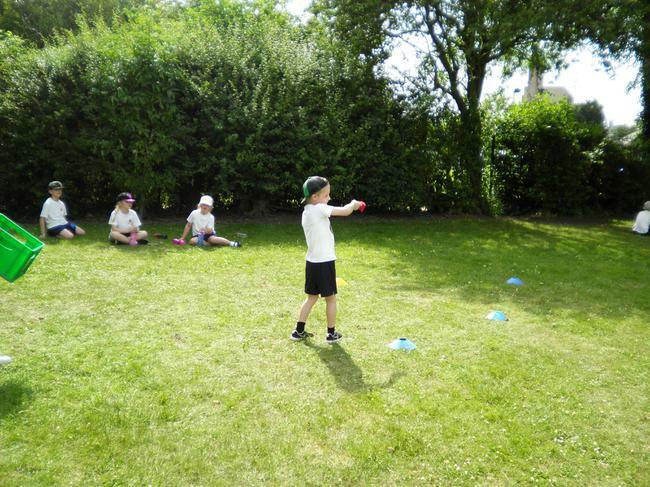 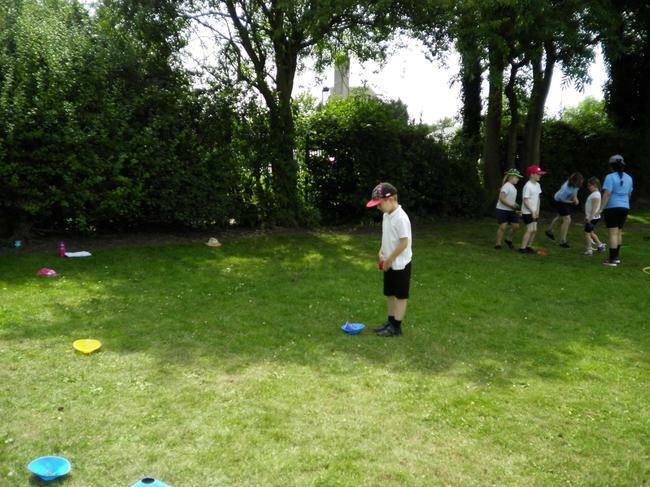 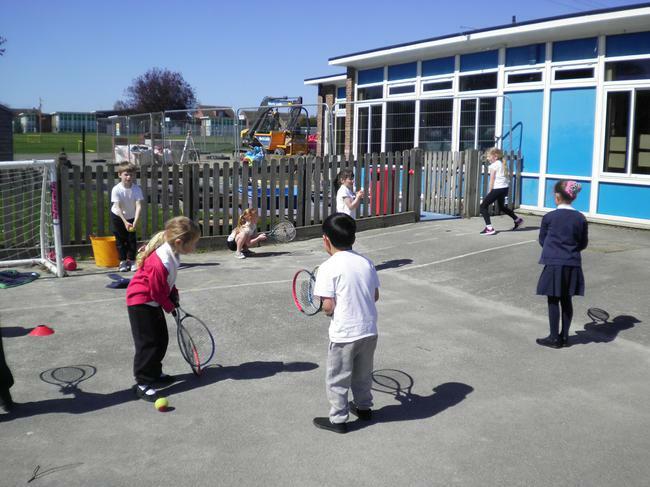 The year 1 children went to Lowdham Primary School for a morning of multi-skills. 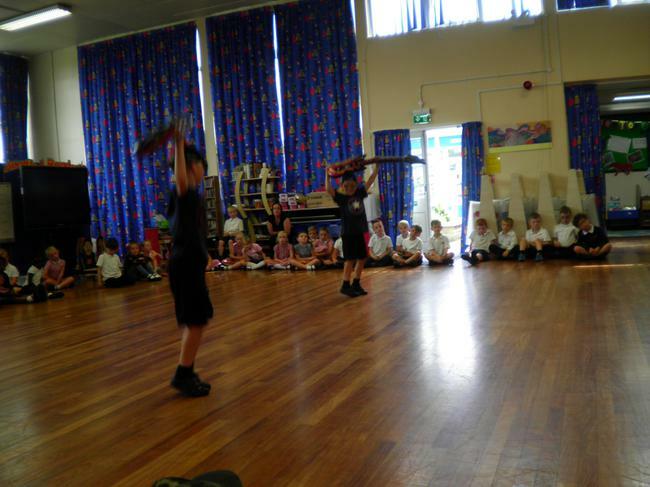 The children really enjoyed it, with one child saying: 'It was awesome!'. 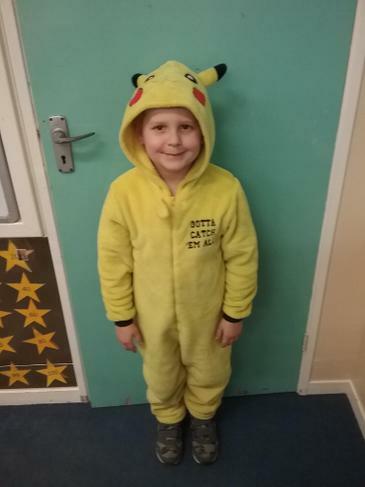 Looking forward to my go! 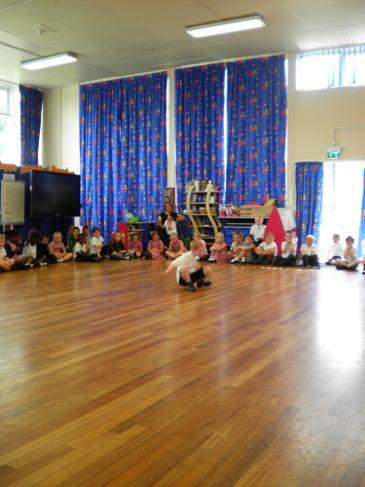 George, the 'Owl Man', brought his owls in to show us. 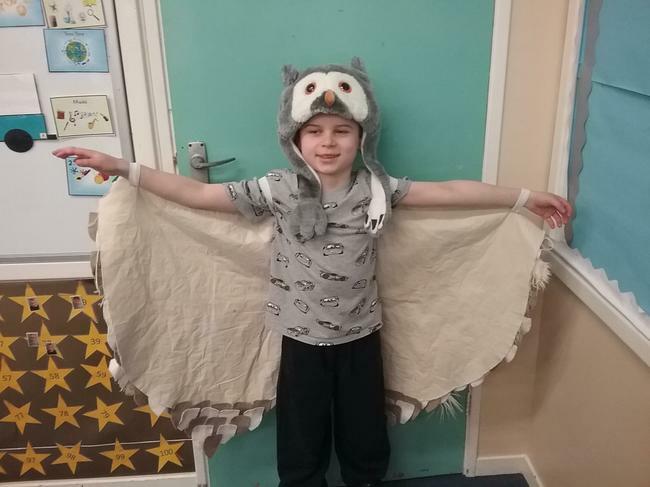 We learnt so much about all the different types of owls in the world. 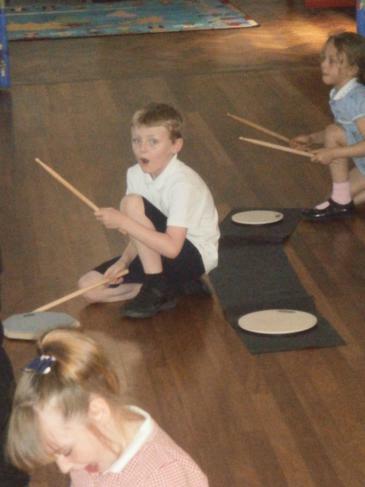 We thought they were AMAZING! 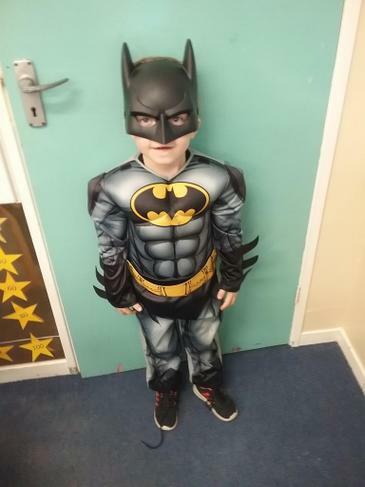 Anyone can be a Super Hero! 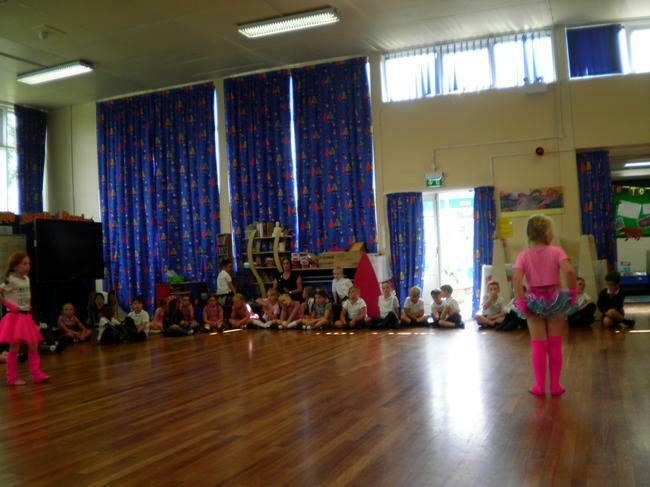 Our Superheroes! 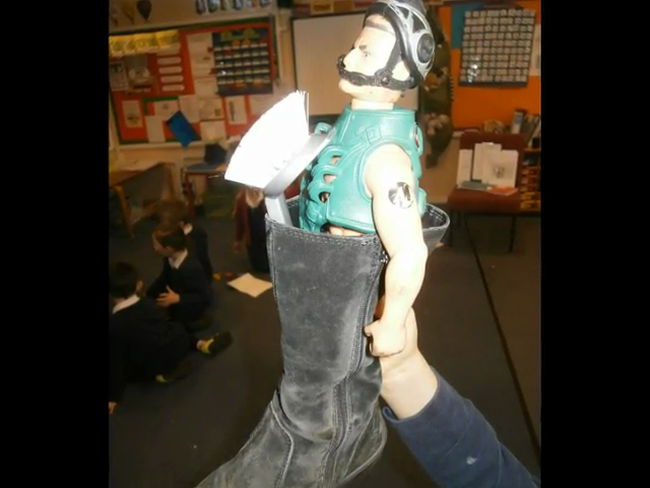 We learnt how to use Mod-Roc and we also used the internet to research superheroes from all around the world to help us create these figures. 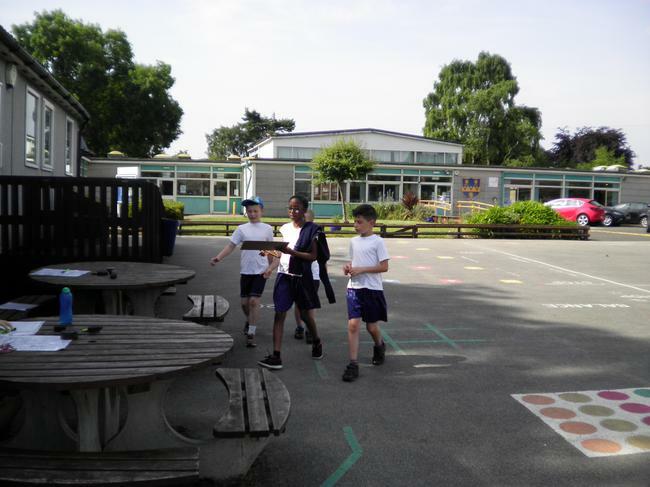 Sam from The Happy Puzzle Company challenged us! 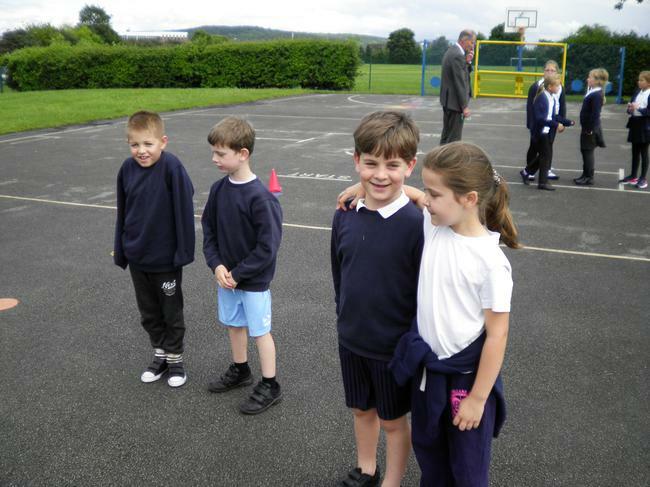 We worked as a team. 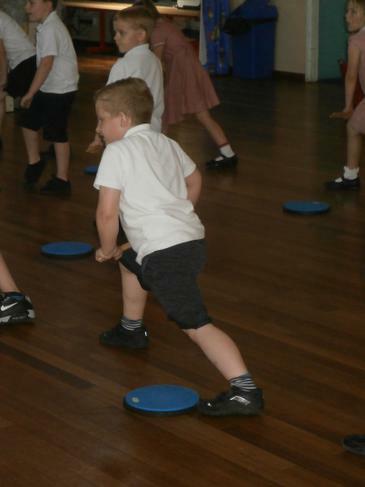 We never gave up! 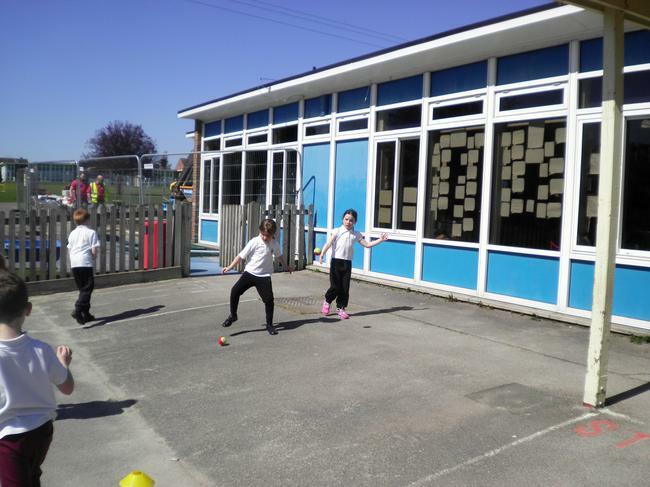 We persevered! 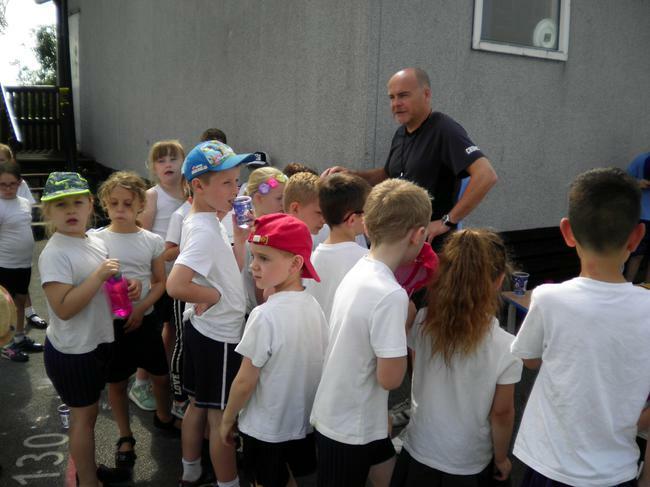 Paul, our local Police Officer, is our Superhero! 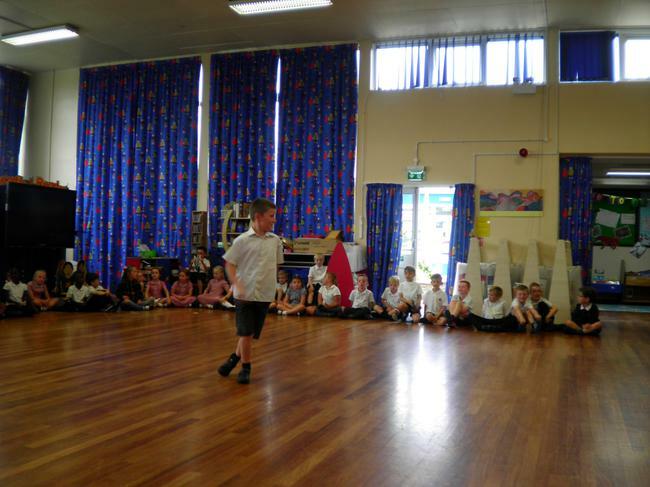 We learnt about his job and now many of us want to be police officers. 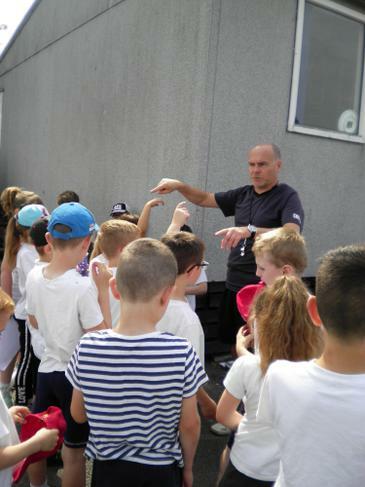 Paul showed us how he uses his handcuffs. 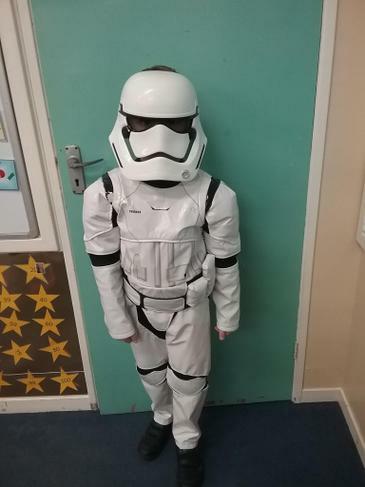 Sometimes they are worn at the front. 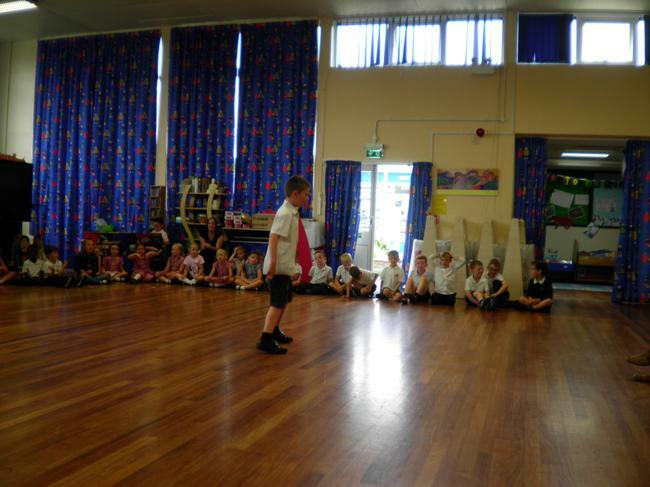 Paul showed us the handcuff dance. 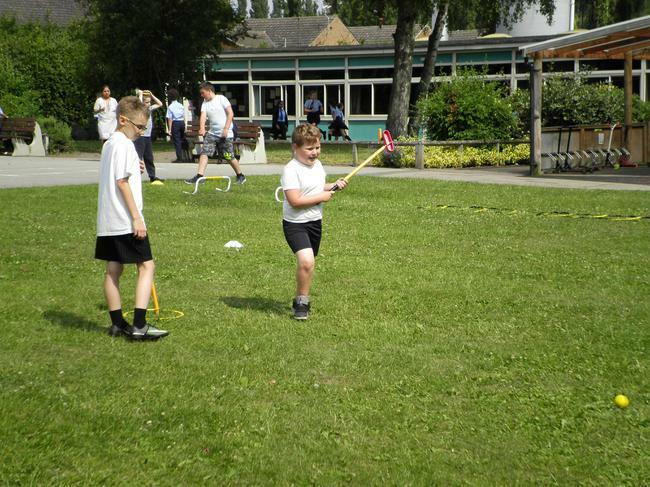 Paul sometimes has to use a baton! 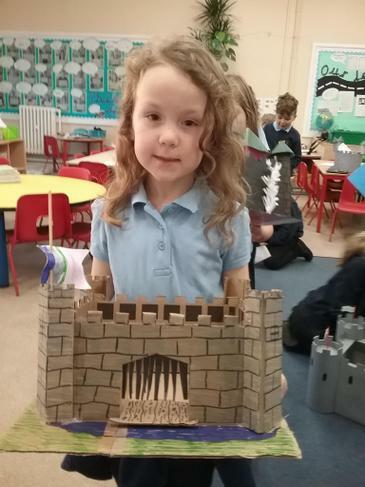 How did the people who lived in castles keep themselves safe? 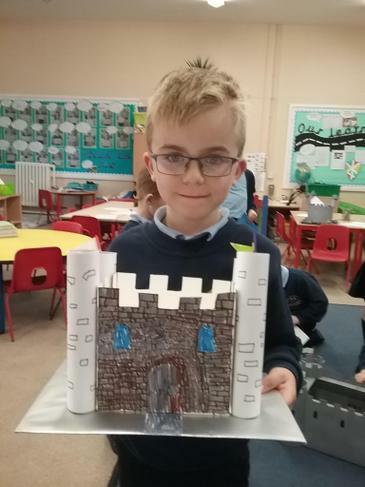 What materials were castles made from? 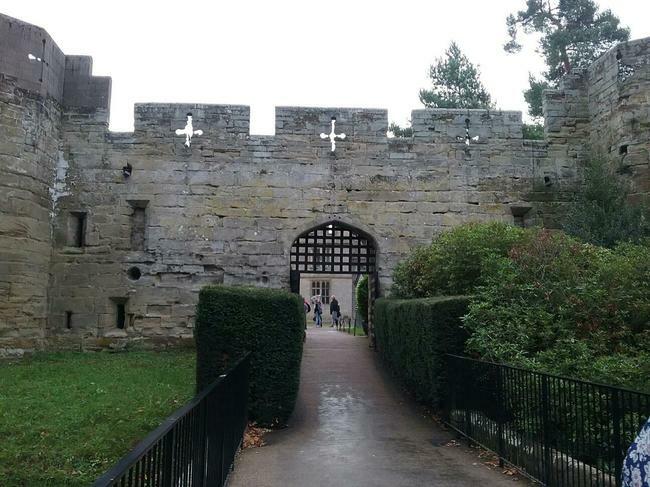 What did people in castles do to entertain themselves? 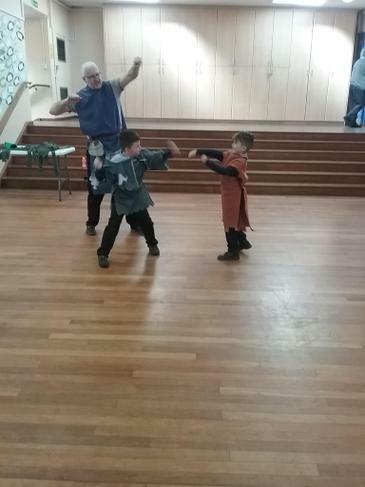 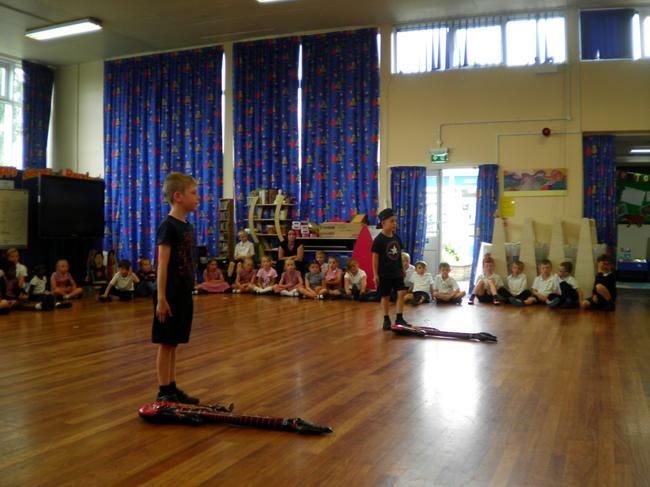 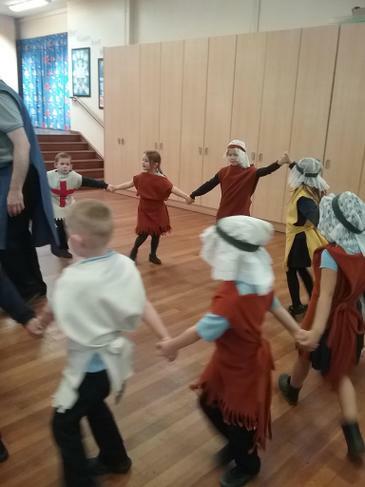 We enjoyed learning a medieval dance! 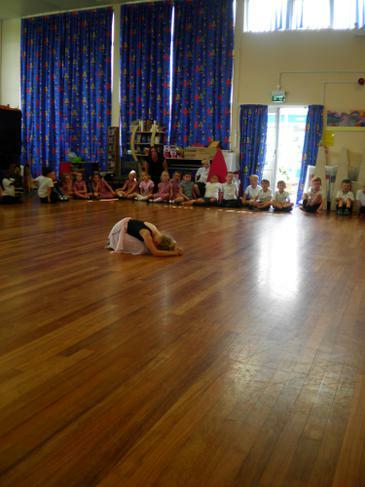 There was straw all over the floor! 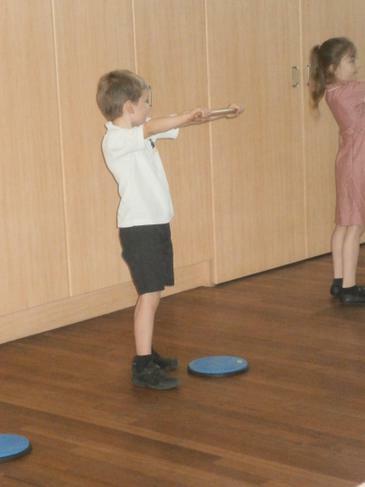 We used bread for a plate!